Real, Live and Relatable pretty much sums up AFO LIVE. From lifestyle to fashion, health and nutrition as well as humour and laughter, AFO LIVE will leave you entertained as you hit the grinds at work. MAG is focused on keeping the show light hearted, fun and full of good music; she keeps topics current, relatable and enjoyable for one and all. Playing you only the best music from yesterday, today and everyday of our lives, brunch time with MAG will leave you looking for more. So what are you waiting for? Mondays to Fridays, 11AM to 2PM, join MAG, as she keeps you entertained in the afternoons. A versatile talent, MAG is always on the ball in delivering only the best, on-air and in-person. From on-air music based shows, to serious talk interviews and live coverage, there was no stone unturned and no path undone in the life of this radio presenter. In fact, one can also say that MAG’s life completely revolved around radio. Having chosen this medium as her career path, MAG also found her true love in the form of her once upon a time “on-air husband”. MAG took a break from radio in 2009, however her passion lived on and when the opportunity came around to go digital, she couldn’t hesitate. So here she is, live and real, ready to woo the likes of the new and loyal listeners at a go. So come and experience for yourself a truly down to earth, relatable and fun show with MAG on AFO LIVE, Mondays to Fridays from 11AM to 2PM. Meet Jesse Ruben, a Philly born, Brooklyn-based singer-songwriter who first made waves with his inspirational anthem "We Can." A few years back, Ruben was diagnosed with Lyme Disease and despite the debilitating illness taking an immense toll on his day-to-day life and creativity, he bounced back after two years on the sidelines. After a rollercoaster journey of battling Lyme Disease, Ruben was determined to get back to music the moment he regained his health. And that led to the emotive track "This Is Why I Need You". It is the first song he wrote once he regained strength and it was his way to thank everyone who helped him when he was sick with Lyme disease. He recently released an EP titled “Hope” as it reflects most of his songs which convey positivity and believing in oneself and it contains five tracks, including three new tracks and two songs to be re-launched. Its carrier single is “This is Why I Need You,” which was produced by Kyle Patrick (from THE CLICK 5) and mixed by Grammy winner; Will Hensley. Watch “This is Why I Need You” music video here:Stream the EP “Hope” here: https://UMM.lnk.to/HopePROn Friday, listen to AFO LIVE with MAG to find out more about this very courages singer and how he relentlessly found a way to battle an illness which many don't know much about. 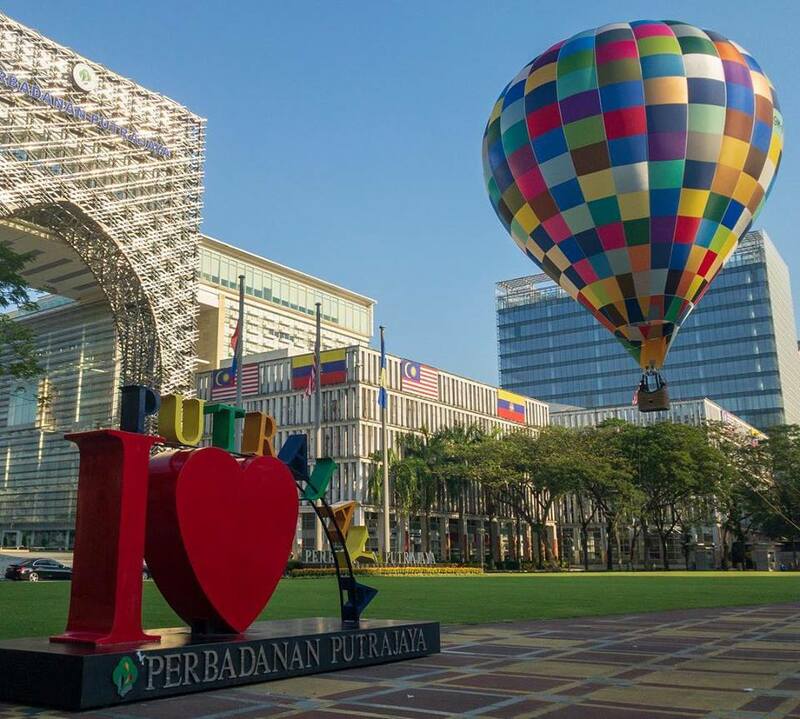 The Putrajaya International Hot Air Balloon Fiesta makes its return home to Precinct 2 in time to celebrate it’s 10th anniversary! Happening from the 28th - 31st March 2019, AKA Balloon Sdn Bhd, the nation’s pioneer of all things ballooning will again reprise their role as the organiser of this beloved free-for-all event.Undoubtedly famous for its mass balloon display and ascension, there are other balloon activities in-store such as the exclusive opportunity to go on a tethered balloon ride via the MyBalloonClub package, have breakfast with the best view for balloon watching at the Picnic Zone or enjoy the night sky come to live at the Night Glow.It's going to be an awesome weekend with fun filled activities for the family... so bring your family, friends and your power bank to enjoy every second of the festival!Find out more about the 10th Putrajaya International Hot Air Balloon Fiesta on Monday when MAG speaks to Atiqah Khairudin, the COO of AKA Balloon and the organiser of the MyBalloon Fiesta. Come listen in as she talks about the Fiesta and her life as a Hot Air Balloon Pilot. Tune in! 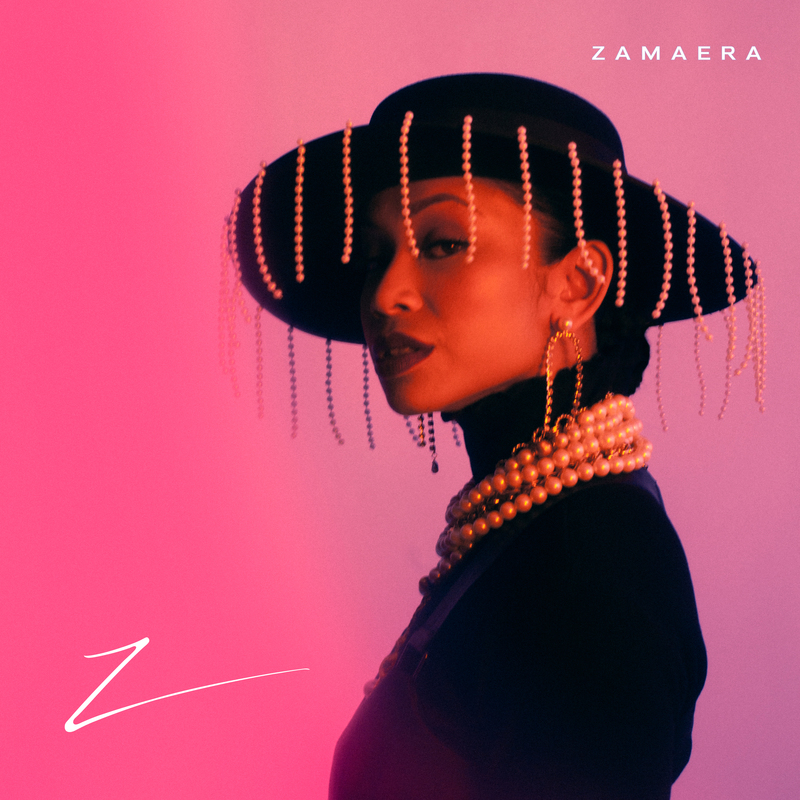 On the 1st March, Malaysian hip-hop sensation Zamaera, announced her first EP, “Z” with an intimate performance, live in surround sound and we were privileged to have been there, at TGV 1 Utama to witness this showcase in LFx (Lakefront Xperience). “Z” will make its worldwide debut on March 29th, with pre-orders available from March 15th. The EP displays her growth as an artist through four full length tracks, “Z vs Z”, “Truth”, “KMS” and “Almost”. Guided by her label, Lakefront Records, Zamaera was paired with award-winning, 14-time Billboard charting producer and pianist Floyd ‘Timeless’ Thomas.Zamaera is the first (ever in the world) to tour in a brand new format - LFx. Concerts in LFx features the artist in a perfectly calibrated environment, permitting the artist to perform live in 7.1 surround sound with visual accompaniment. The nationwide tour is made possible with the exclusive partnership between TGV Cinemas and Lakefront Records to bring LFx technology to life.Zamaera joins MAG on FRiday for an intimate, 1 on 1 to talk about her EP, as well as her career. Tune in to find out more about his young sensation and see her rise to the occasion when a challenge is thrown at her during the interview! So keep the date, Friday 15th March at 12noon only on aforadio.com! 2019 is the Year of the Pig according to Chinese zodiac. This is the year of the Earth Pig. The Pig is the twelfth in the 12-year cycle of Chinese zodiac sign. This year, like the past 4 years during Chinese New Year, MAG has her favourite Feng Shui Master, Master Kenny Hoo of GOOD FENG SHUI® Geomantic Research to talk about the predictions for the zodiac year of the PIG. Master Kenny Hoo is the first & only Good Feng Shui Master, researcher, author, speaker & consultant who applies the unique & International Award-winning GOOD FENG SHUI Converge Water Technique® in his consultation. With the pig making it's way in this Lunar New Year, Master Kenny says that it is going to be a year of integration. Integration will be the way to enhance and compliment one's life and Master Kenny calls on everyone to have a more positive outlook in life and step outside of our comfort zones to achieve more. 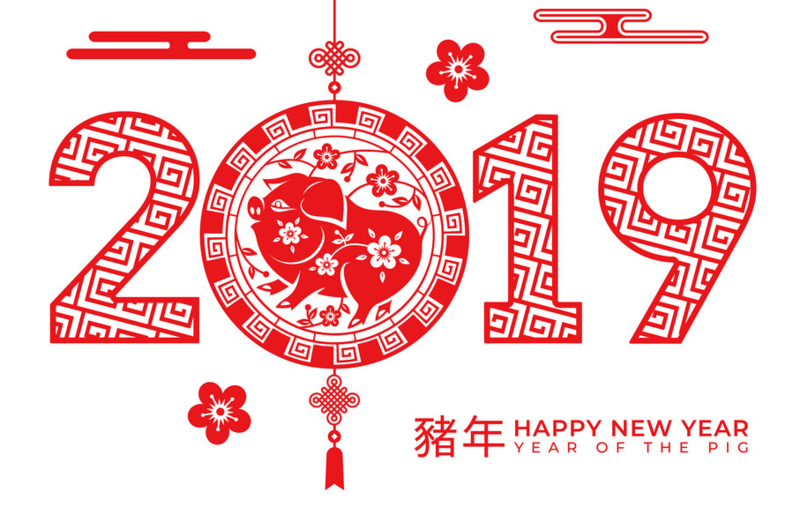 Join MAG and Master Kenny Hoo as they discuss the year of the PIG and what it brings for us all this year 2019 all through the week this week on AFO LIVE! Fondly known as “EVIE”, this feisty lass, born with a natural gift of song, is no stranger to the audience. Evelyn recently released her first original single featuring QSound titled “Close Your Eyes”. Singing professionally since 2013, the release of this first single brings a mixture of emotions for Evelyn. “People know me as a dynamic person. They know me as the girl who sings covers. Releasing my first original, it’s nerve-wracking because I do not want to disappoint those who have been supporting me from day one. I want them to see my versatility in terms of the songs I create, sing and write.”“Close Your Eyes” is produced by Bruce Leroy, mixed by Paul Morrison, published by MVQ MUSIC Sdn. Bhd. and is available on Spotify, Apple Music, Deezer, Joox and YouTube. On Wednesday, MAG speaks to Evie about Christmas, her career and her latest single "Close Your Eyes"! So don't forget, 26th Dec on AFO LIVE with MAG at 12noon! Sarawak born Pete Kallang, dubbed the vocal Prince of Borneo by many of his fans, is best known for his soulful voice and joyful persona and amazing live performances. Pete’s performances bring fun and a rainbow of color to the local music scene. Audiences appreciate his passion for music and are always emotionally engaged during his live performances as he takes them on a wondrous musical journey.On Monday, on Christmas Eve, Pete joins MAG as they speak about Christmas in his hometown Sarawak, family, food and fun... basically everything Christmas and everything you need to know about this bubbly character, Pete! Don't forget... Monday, 24th December on AFO LIVE with MAG at 12noon! Pete Kallang celebrates Christmas on AFO Radio! 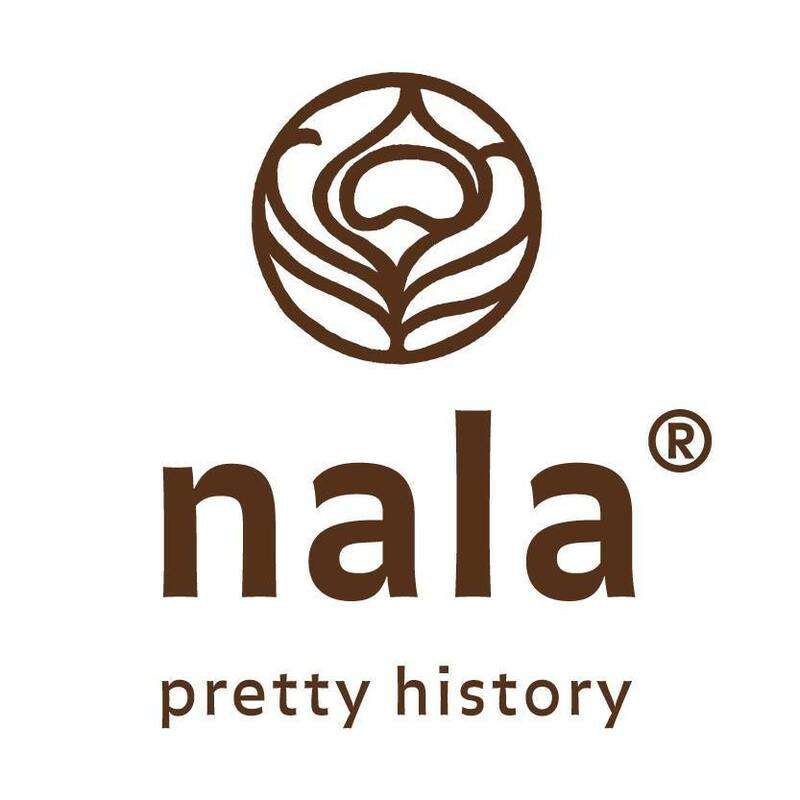 Since its inception in 2008, Nala has become a recognisable homegrown brand known for its vibrant, hand-designed patterns with spins on classic Malaysian motifs. From its beginnings offering paper craft products and fabrics, the brand has evolved to include a range of apparel, fashion accessories and household furnishing. Today, the brand has expanded its presence to France, Belgium, Italy, Switzerland, Hong Kong, Cambodia and opened 10 stores in Thailand just last month.This Christmas, Nala brings a splash of colour with its Winter 2018 ‘Over The Moon’ collection, where its signature hand-designed patterns borrow inspiration from the traditional Chinese mooncake and further enhanced with the intricacy of vintage Malaysian jewellery.Duly committed to its Malaysian heritage, the patterns – each meticulously hand-drawn by Nala founder and creative director, Lisette Scheers – pays homage to not only the country’s varied cultural backgrounds but also flaunts elements inspired by local flora, fauna and vintage motifs and the latest collection is no different. The patterns cut a striking image with their vivid shades and ornate scalloped shapes detailed with embossed reliefs and floral motifs.MAG who was at the launch of Over The Moon Collection by Nala, spoke to its founder and creative director Lisette Scheers about the brand and it's story. Tune in on Friday for the whole story and stand to win some pretty Nala goodies this Christmas as well! 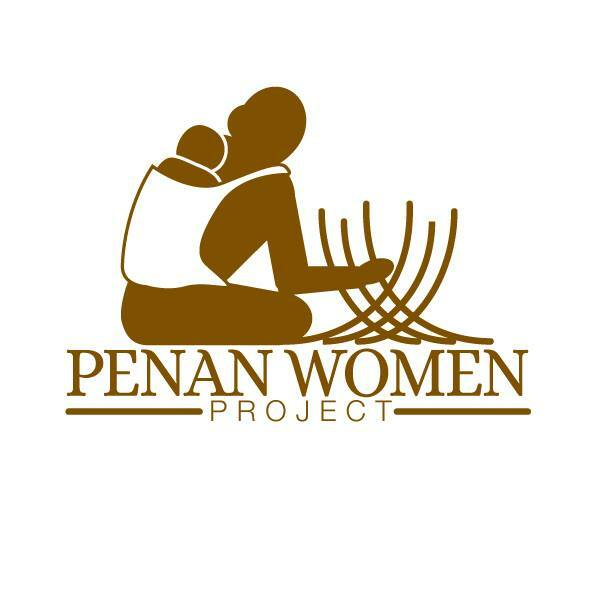 The Penan Women Project is a project initiated by the Miri Women Weaving Association (MWWA) in Sarawak. Officially registered on 14 March 2016, MWWA was set up to help needy nomadic and semi-nomadic Penans in Limbang and Miri divisions of Sarawak. The association is founded by Shida Mojet with Ann Wong as its current chairperson.From left : Karen Ho (AJK member), Ann Wong (Chairperson) , Gunaimah (PWP Weaver), Shida Mojet (Founder)MWWA helps the Penan learn about income generation while tapping into their resources and knowledge about traditional crafts like weaving. Their mission is to help the Penan women get out of poverty by making and selling handwoven products such as affordably priced and contemporary tote bags and laundry baskets.Their masterpieces are beautiful and practical and you can shop through their website here http://penanwomenproject.org/products/On Tuesday, MAG speaks to Ann Wong, the Chairperson of the Penan Women Project. This year-end, to celebrate the season of tradition and togetherness, The Coffee Bean & Tea Leaf® (CB&TL) welcomes everyone as a guest to their home away from home, at every CB&TL store in Malaysia.Brand-new food items on the festive menu include:•Velvet Cookie Cheesecake•Raspberry Dream Log•Spice Kissed Cupcake•Snow Frost Kraffin•Exciting new cookie variants which are great as gifts too: Choc Mint Frost Cookie (melt-in-your-mouth goodness filled with chopped pecans, mint and dark chocolate), Lemon Snowflake Cookie (a zesty treat for the holidays lovingly made with lemons and cranberries) and Winter Night Cookie (crunchy, divine and truly a treat for the chocolate lover, made with dark chocolate and cocoa powder).•Grandpa’s Turkey SandwichFor beverages to warm the tummy or provide a cool relaxing vibe, enjoy the new Midnight Cookies & Cream Ice Blended® (made with dark chocolate and melt-in-your-mouth cookie bits), returning favourite Peppermint Nitro Latte (coffee steeped for 20 hours and infused with nitrogen for an ultra-silky finish with a dash of mint to brighten up one’s taste buds), Double Chocolate Peppermint series (rich chocolate and mint flavours available as an Ice Blended®, hot/iced latte or hot/iced cocoa), and Red Velvet series (deliciously pink and decadent non-coffee beverages available as an Ice Blended® or hot/iced cocoa).Besides that, CB&TL is also welcoming guests to share the festive feelings of the holidays with beautiful gift tags available at all CB&TL stores. Proceeds of the gift tags will go towards CB&TL’s Caring Cup pro-social initiatives as well as local emergency relief where needed, right here at home in Malaysia.On Monday, MAG speaks to Fiona Rodrigues, Director of Marketing & Development, The Coffee Bean & Tea Leaf® Malaysia about their Festive promotions. Located at Genting Highlands, approximately 6,000 feet above sea level and surrounded by one of the world’s oldest rainforests, the Gloria Residences, is only 9 minutes away to the 20th Century Fox World Theme Park and First World Plaza. Approximately 90 minutes from the Kuala Lumpur International Airport and 45 minutes from Kuala Lumpur City Center by car, Gloria Residences is your ultimate gateway to a land where the air is fresher and the weather cool, perfect for anyone looking for a break from the hustle and bustle of the city! With 332 elegantly decorated serviced residences, from Studio to four bedrooms penthouse and individual balconies, Gloria Residences is your answer to a family and friends getaway, promising you a view of rainforests and mountains. 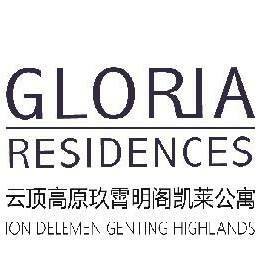 On Wednesday, MAG speaks to Kim Lee the Marketing and Communications Manager of Gloria Residences, Ion Delement about this brand new holiday accomodation up in the highlands. MAKERS OF THE FINEST AUSTRALIAN OLIVE LEAF TEASGrowing Olive GoodnessStone & Grove is the latest brand from Boundary Bend Wellness, a subsidiary of Boundary Bend Limited, Australia’s biggest olive farmers and owners of Australia's leading Extra Virgin Olive Oil Brand Red Island. So, you could say that they know a thing or two about olives and their goodness.Stone & Grove has a range of six brand new olive leaf tea blends. Something they’ve been working on for a while. They include a traditional Olive Leaf Tea, an Olive Leaf and Green Tea Sencha blend, Energy, Immunity, Women’s Health, and Detox - perfect for this time of year (after indulging in too much food and beverage). This isn’t just another Instagram tea. 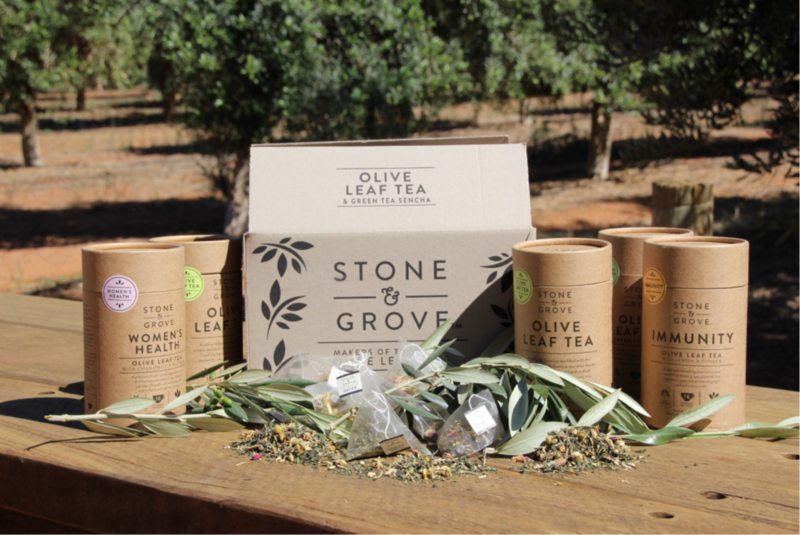 Stone & Grove is made using fresh leaves from their estate grown olive trees in North-West Victoria, picked and handcrafted from tree to tea in 12 hours, and is specifically designed to promote general wellbeing. Now, not everyone may know what antioxidants actually do, but they can safely say that they do good, and these teas contain a lot of potent antioxidants that are anti free radicals! Stone & Grove Olive Leaf Tea was officially launched in Malaysia last week and is now available at all your major grocers together with its Olive partner, the Red Island Australian Extra Virgin Olive Oil. On Monday, MAG speaks to Andrew Burgessan, the Business Development Manager of Boundary Bend Wellness, and also an experienced olive oil taster and competition judge who is currently the Director and Vice President of the Australian Olive Association. 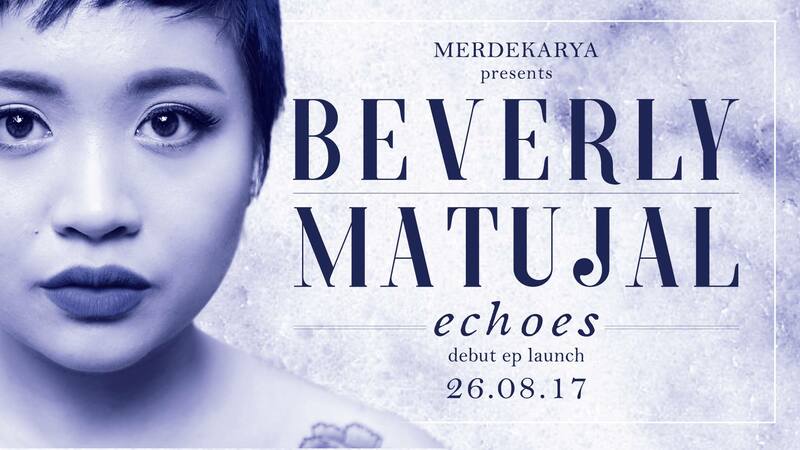 Beverly Matujal is a singer-songwriter born and raised in Kota Kinabalu, Sabah. She began her foray into songwriting when she was 11 and has been writing ever since. Influenced by the stylings of female songwriters from the 70s, her voice has been able to captivate audiences alike from the Penang Island Jazz Festival, to private events such as the Sabah Tourism Awards and the Shell Malaysia Safety Awards, and most recently the Borneo Rhythm of Rimba (RoR) Festival. 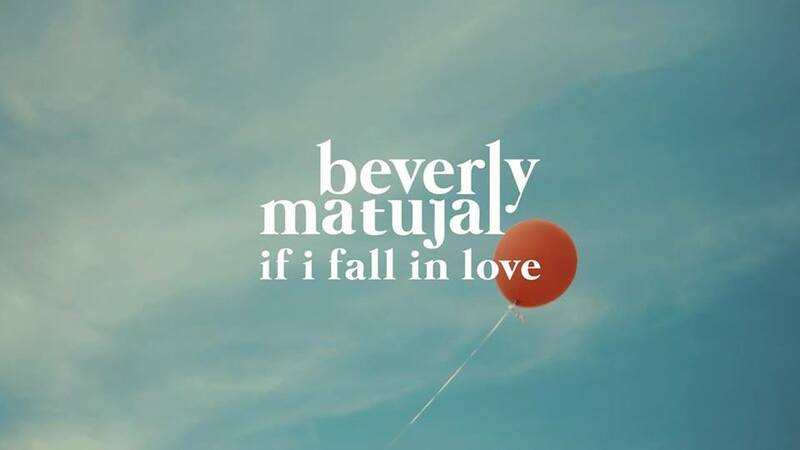 Beverly is currently based in Kuala Lumpur and is working on her first full-length album slated for release in 2019 but has since released her first single from that album called If I Fall In Love. Beverly drops by for a chat with MAG about her latest song on AFO LIVE! 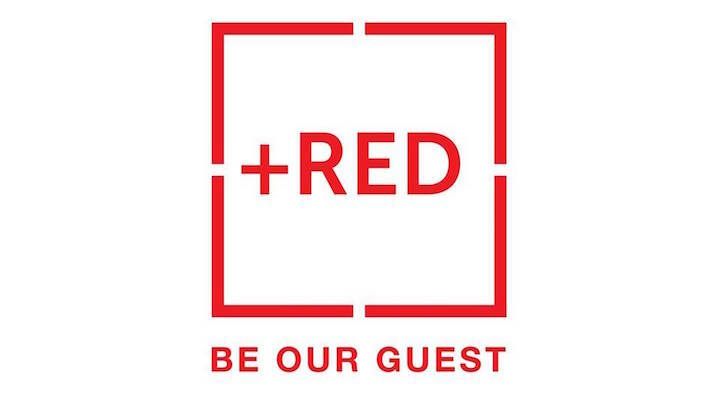 TouristGuide.Asia is a network centred travel company which specializes in catering for tours at a fraction of the cost with the intention of providing better travel prices for everyone. 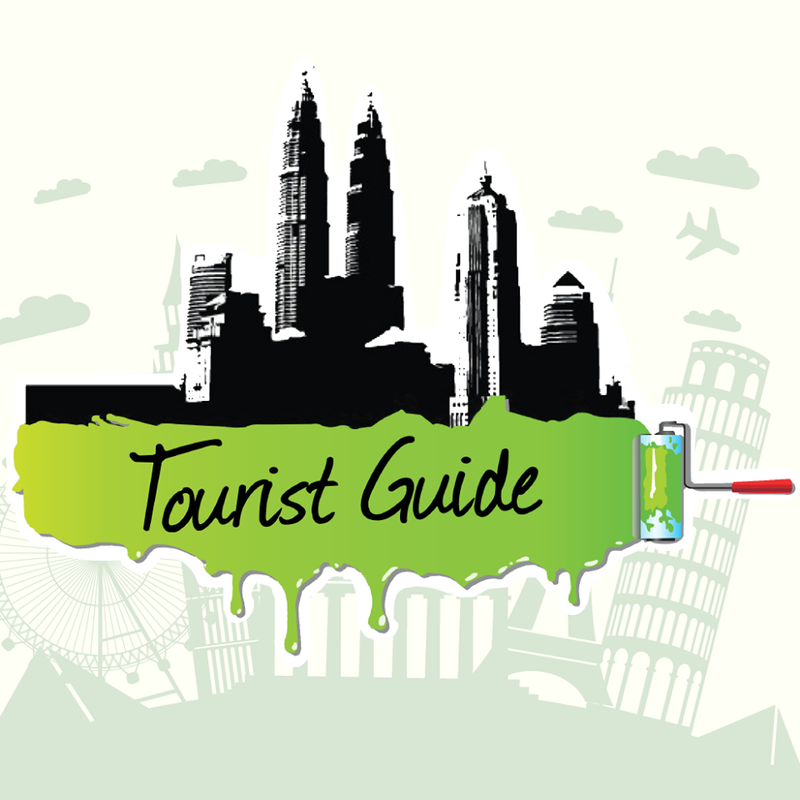 TouristGuide.Asia is passionate towards realising everyone's travel dreams with incomparable packages and flash deals. The networking which they have fostered with the various airlines, hotels and local travel operators within the country and worldwide allows them to provide their travellers with an incredible experience to cherish at all time.On Wednesday, MAG speaks to the CEO of TouristGuide.Asia, Devan Kumar Somalu about Tourist Guide.Asia for more information about the best deals available for Malaysians looking to book a holiday! SOLS Health is a behavioural health centre that connects clients to accessible individual, family and community mental health and nutritional services with an emphasis on combating the stigma of mental health in Malaysia. 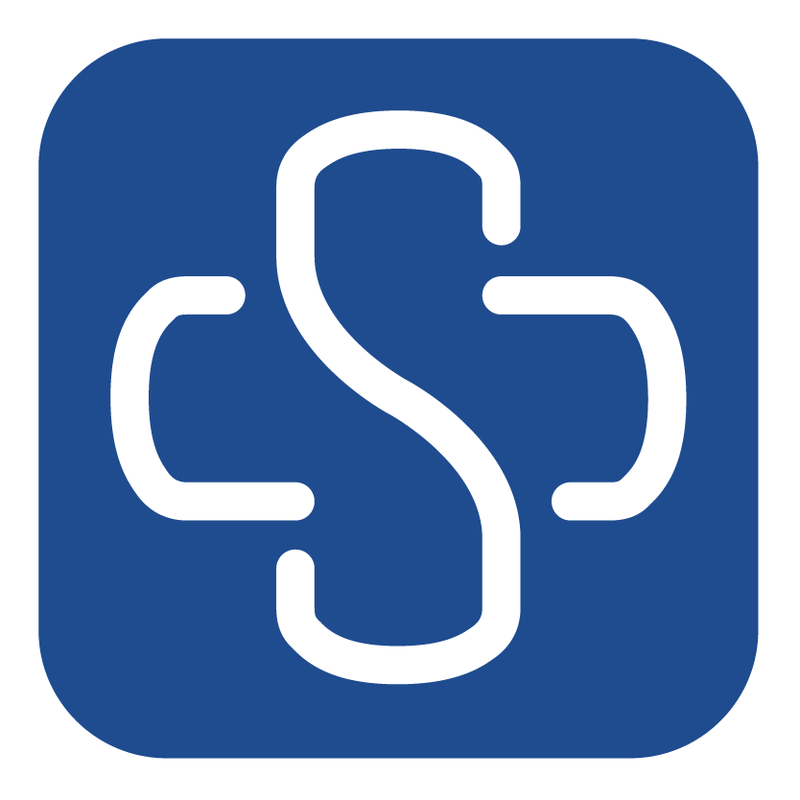 SOLS health is a non-profit organisation that provides a range of psychotherapies (eg: CBT, psychodynamic, existential therapy) to our different clients. All therapy is conducted by qualified and registered professionals. At SOLS Health, they believe that behavioural health is one of the most critical determinants to physical health, personal wellness and good quality of life and on Wednesday join MAG as she speak to Ellisha Othman the Director & Clinical Psychologist of SOLS Health. When you need a convenient, yet exciting lunch, which fuels your afternoon, you don't need to look any further than The Sandwich Hub.The Sandwich Hub is the stop and go fuel kiosk for the body. Packing all the body needs in a quick to go sandwich, the Sandwich Hub has created 12 tasty and uniquely Malaysian sandwiches. 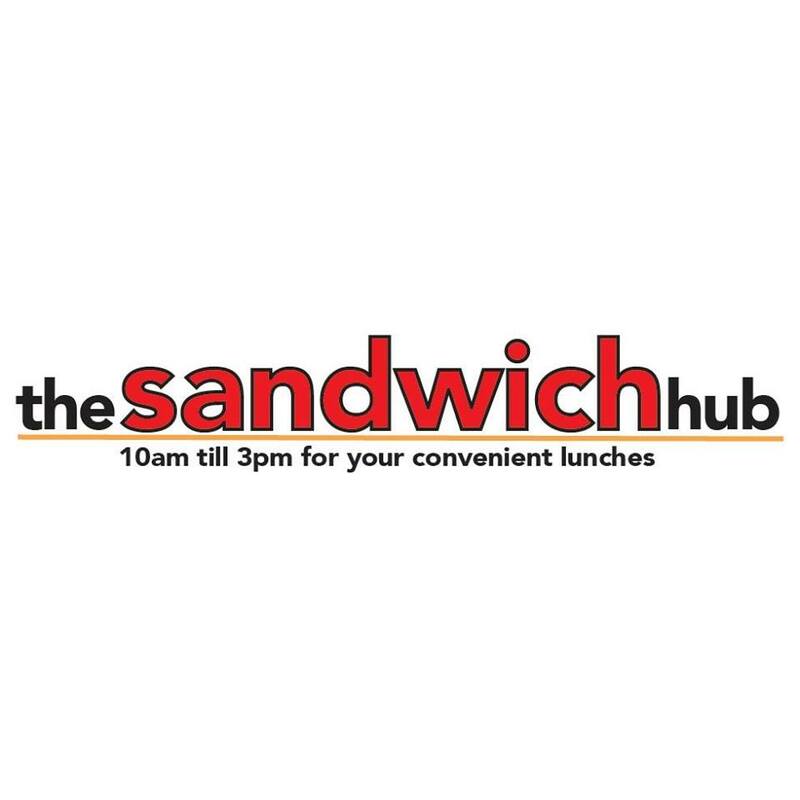 When you crave for a tasty, yet convenient lunch that will fuel your work-days, you need not look any further than The Sandwich Hub.Their sandwiches are made with the highest quality ingredients, and use only house-made sauces. The fillings are enveloped in fresh, and crispy ciabatta bread. They give you only the best 12 choices and believes that they their flavours will satisfy all your needs.Tune in this afternoon as founder of The Sandwich Hub, SHANKAR R. SANTHIRAM speak to MAG about The Sandwich Hub. Spike Dawbarn - UK’s foremost and biggest live show producer and promoter will be in Malaysia and at the AFO Radio studio this Friday. 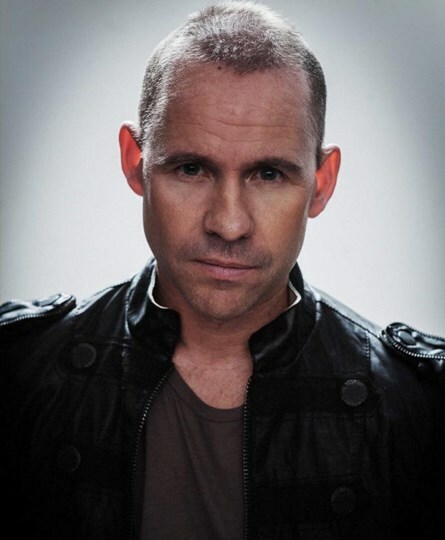 James "Spike" Dawbarn is an English singer and dancer. Those of you who grew up in the 90s would have remembered him from the boy band 911. Dawbarn choreographed a number of the band's dance routines. In their 5 years together, 911 scored ten UK top 10 singles. They sold over 10 million singles & 6 million albums around the world, and had a huge success in the South East Asia where their first two albums went to #1. Since 911's split in 2000, Dawbarn has made a career joining the other band members in reunion tours. He is also director of a pop academy youth programme, PopSkool where he trained many acts that appeared in Britain’s Got Talent and X Factor. In 2012, 911 reformed for the ITV2 documentary series The Big Reunion, along with other bands from their time including 5ive, B*Witched and Atomic Kitten. Besides running his company, Alstar Music, Spike continues to perform with 911 till today.Alstar Music was founded in 2015 by Simon who was wanting to put together a tour promotion company that took both established & up & coming artists to the fans across the UK & Ireland, in a safe environment where it was all about the music & the fans. In over 2 years, Alstar Music has put on more than 20 tours, with another three tours currently on sale & two more tours in the process of being finalised & announced. Dawbarn who still performs with his mates, Lee Brennan and Jimmy Constable as 911 was in Singapore last March for a concert. While he hopes to return to Malaysia to perform with 911 (the band holds Malaysia deep in their hearts as Malaysia was where they had their first #1 in SEA) – he looks forward to his trip here to Kuala Lumpur this November from 20th – 26th, looking to set up Alstar Music Asia with intention to produce live gigs and providing a platform to both signed and unsigned artists across SEA as he did in the UK. Join Spike on AFO LIVE with MAG on Friday as he talks about everything from 911 to Alstar Music LIVE on AFO Radio.com! 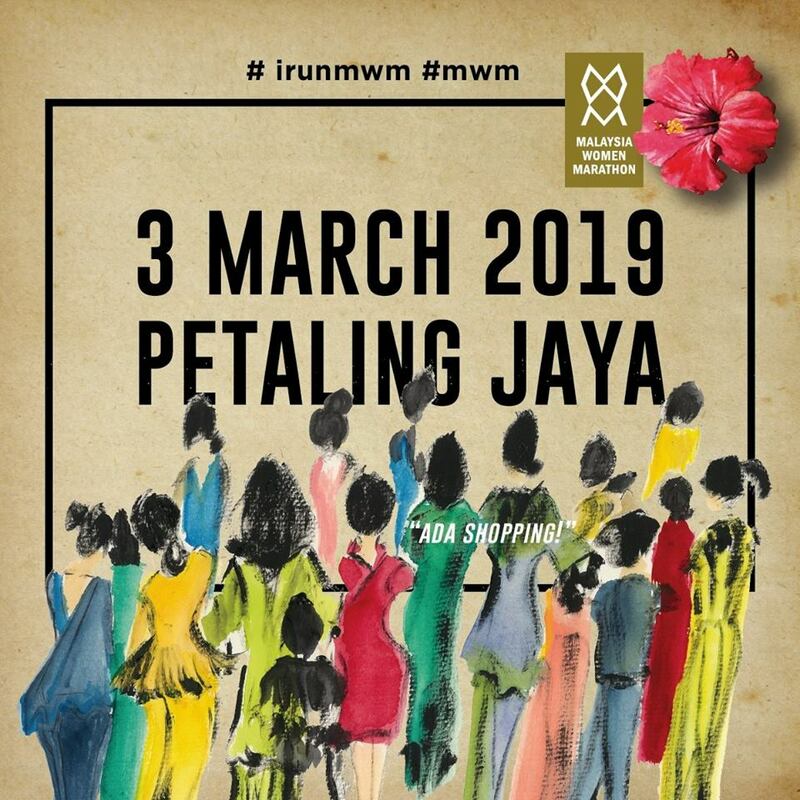 The Malaysia Women Marathon is one of the biggest event that celebrates International Women's Day in Malaysia every year! Back for it's 7th year, the Malaysian Women Marathon is a WOMEN ONLY marathon event with 4 categories, the 5km fun run, the 10km, the 21km and the full 42km run.Unlike any other marathons, the Malaysia Women Marathon incorporates dialogue sessions, workshops and bazaars at its event, making it a 3 day fun and interactive weekend focused on women empowerment.On Wednesday, join MAG as she speak to Karen Loh, the managing director of Irongirl Malaysia Sdn Bhd and the Race Director of the Malaysia Women Marathon.To sign up : Please click at :http://checkpointspot.asia/Event/EventInfo-MWM19.aspxAnd stay tuned to aforadio, for promo codes which will give you a free entry to the Malaysia Women Marathon 2019. Known for her catchy tunes, Sophia Fredskild is back with another hit, her first ever Malay single, Menanti Cinta. Sophia who says that she writes songs from her heart expresses that the single speaks about her own intention in looking for love.Sophia Fredskild speaks to MAG about her song and her preferences of guys on AFO LIVE, Friday at noon. 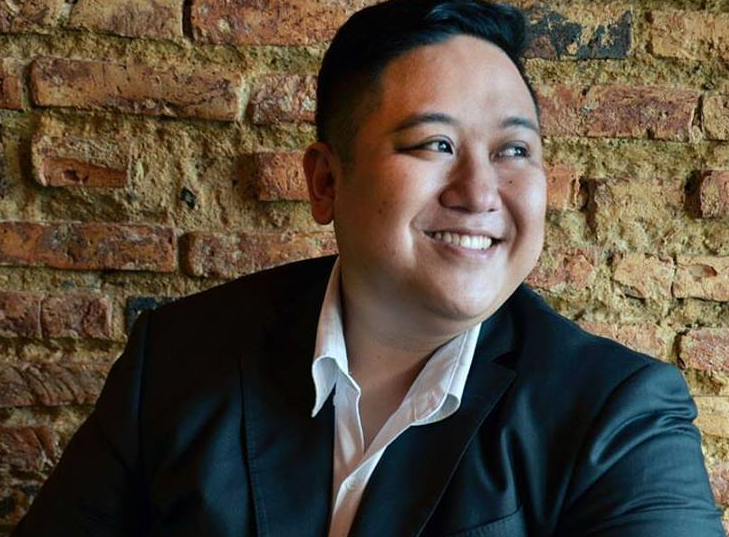 Johan Ooi, the founder of Johan Speaking Academy with its Signature Kids Public Speaking program, has trained more than 1000 kids to speak on stage since 2014. Based in TTDI, he currently has another 10 locations running this program too namely Bangsar, Puchong, Shah Alam, Ampang, Seremban, Mont Kiara, Kajang, Subang, Ipoh, and PJ SS2.Besides training kids to speak in public, Johan Speaking Academy has also begun to offer a new and exciting program called Kids YouTubing.On Wednesday, Johan joins MAG on AFO LIVE to share his insights on helping children to believe in their dreams and passion and his take on managing a kid-orientated business. 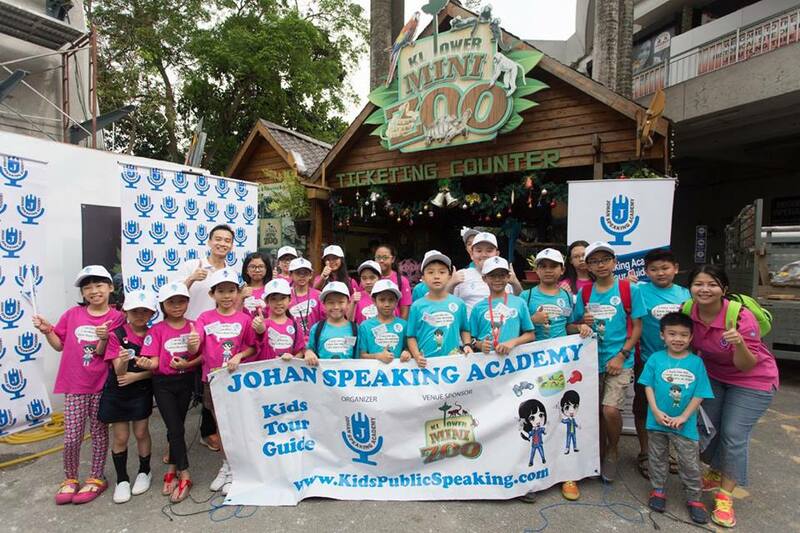 For more information about the Johan Speaking Academy, check out http://www.kidspublicspeaking.com/. Andrew Tan is a serial entrepreneur. He is the founding partner in TinkBig Venture Capital firms, CEO of a crowd-funding platform, and has managed pool of funds totalling USD50 million.In the past, he founded businesses such as AppShack, a platform bridge for mobile apps and businesses, Luxury Boutique Accommodation, AirBnB management company, and others prior to TinkBig.Andrew is one of the 26 licensed venture capital firms, and also holds a license for a crowd funding platform among the 6 in Malaysia certified by the Securities Commission. He is the only one in Malaysia to hold these 2 licenses from the Securities Commission for alternative financing.With impeccable knowledge on business and entrepreneurship, Andrew lives to inspire, educate and motivate others to chase after their dreams of becoming entrepreneurs and continues to help them on their journey. However, is Entrepreneurship really for everyone? MAG discovers more with Andrew Tan this afternoon. Zafigo is an online platform which uncovers women's potential through informed travel. 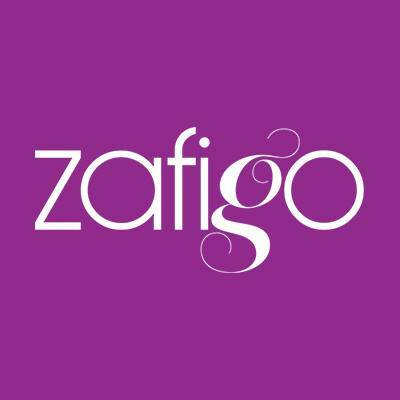 Founded by Dato' Paduka Marina Mahathir, Zafigo aims to empower women to realise their true potential through travel. Providing guides, ideas, tips & stories to travel better, easier, safer and discover more.Bringing their presence on-ground, and leaving a more lasting impression, they've kicked off ZafigoX. ZafigoX, an event dedicated to women empowerment and travel will be happening in KL for the first time this weekend and it will showcase some very interesting speakers sharing their insights in talks and workshops. On Friday, MAG speaks to James Chong the Director of Strategy and Development of Zafigo and Khairun Nisa Zabidi, a supermom and experienced traveller who will be speaking at ZafigoX 2018 on Travelling Independently With Children - How To Do It And Why. Tune in to find out more and check out https://www.facebook.com/zafigo/ for more information. 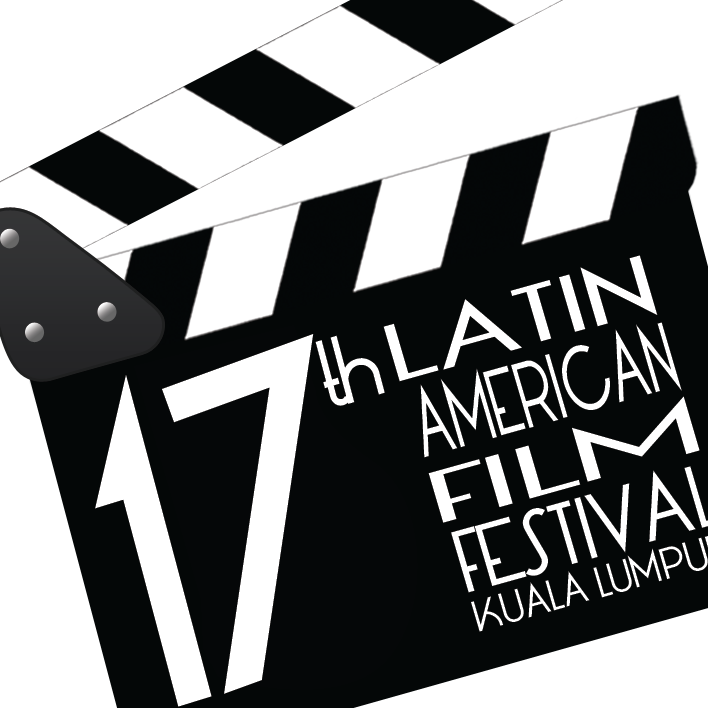 The Latin American Film Festival is back again for it's 17th edition and it's getting better every year! Movie lovers are in for a treat as there will be 10 movies to be screened all through the week from the 7th - 11th November 2018 at GSC Pavillion KL and admissions are FREE!Today MAG speaks to His Excellency Manuel Jose Balaguer, the ambassador of Argentina to Malaysia about the 17th Latin American Film Festival. The schedule of the movies are as below. The revolution of GRISSE (#Grisse @HBOAsia) begins this Sunday, November 4 at 9pm exclusively on HBO (Astro Ch 411/431). The series will also be available on HBO On Demand (via Astro GO).Grisse takes you on a journey with Kalia and an unlikely group of heroes, as they lead a rebellion against the brutal Dutch colonial rulers over the garrison town of Grisse and suddenly find themselves in control. The story of GRISSE revolves around a number of unique characters, each from diverse backgrounds and creeds who unite for the chance to break the yoke of tyranny and write their own destiny.Grisse also features Joanne Kam (Malaysia's Queen of Comedy) as the ONLY Malaysian cast member. And Joanne joins MAG on FRiday to talk about Grisse on AFO LIVE! 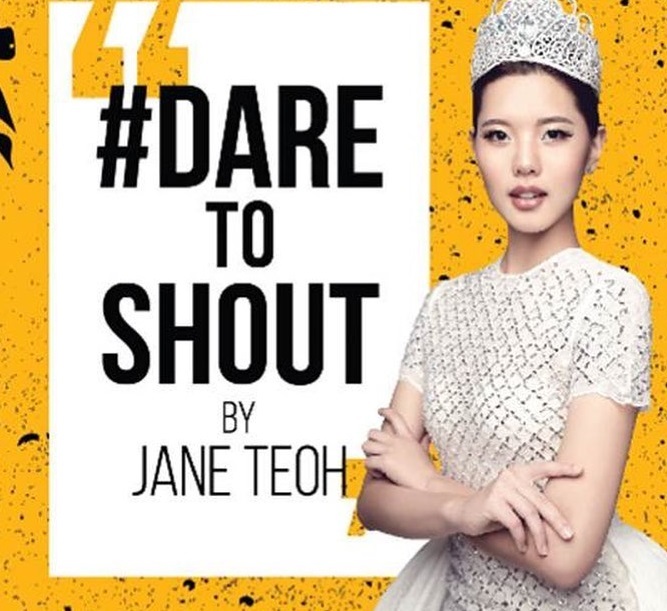 Reigning Miss Universe Malaysia 2018, Jane Teoh kicked off an awareness campaign on cyberbullying, #DareToShout which she founded and initiated based on her personal experience. The #DareToShout initiative was launched at HELP University in conjunction with World Mental Health Day on 10 October 2018. The #DareToShout awareness campaign is held in collaboration with HELP University, and is supported by the Miss Universe Malaysia Organization (MUMO) and Salad Atelier. Jane drops by to the studio today to speak about DareToShout initiative. 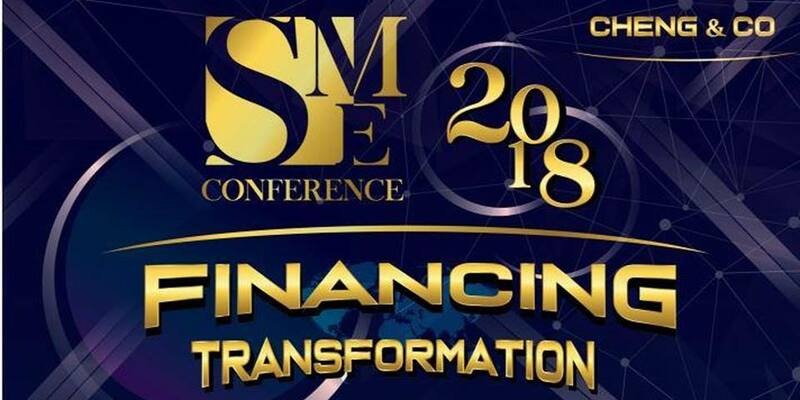 Cheng & Co SME Conference 2018 is a platform for Small and Medium Enterprises (SME)s, relevant industrial players and experts to gather and have in-depth discussions and gain thorough understanding of developments and specific current business challenges, opportunities and trends.Happening at The Vertical, Bangsar South on the 30th November, the Conference will bring together notable speakers to tackle topics that will future proof your business. Cheng & Co, one of Malaysia's largest home grown accounting firm who will be celebrating their 25th anniversary this year, has come in to be the title sponsor for the SME Conference 2018 because they believe in helping the SMEs in any which way they can. To find out more about Cheng & Co and the SME Conference, join MAG as she speaks to Mr Lam Kwai Soon, a Tax Director and Partner at Cheng & Co Chartered Accountants on Wednesday. Vinda Deluxe continues to celebrate strength in various forms with the unveiling of “Stay Strong, Malaysia: Bersama Kita Bersihkan Tanahair Kita” campaign, held in conjunction with Malaysia Day at Sunway Pyramid from 14-17 September. Working with Malaysian cartoonist Zunar, the event spotlights a first-of-its-kind largest comic artwork drawn on Vinda Deluxe tissues, reflecting the rise of a ‘new’ Malaysia and Malaysians’ strong passion for a bright future. This innovative use of tissue highlights the Extra Strong feature of Vinda Deluxe tissues.A cartoonist who has been drawing editorial cartoons for over 20 years and known among many as an advocate for truth and transparency in the country, Zunar’s original creation is hand-drawn on Vinda Deluxe tissues measuring 16 feet by eight feet, making it the nation’s largest comic art on tissue.“Malaysia is going through an unprecedented chapter in our nation’s history; we stood strong and played our part, but what comes next? We have achieved a ‘new’ Malaysia but it’s now time for Malaysians to look deep inside and think about what else needs to be done. My artwork reflects the urgent need for us to tackle the root of our problems, cutting them off if necessary, so that we can grow new shoots that are strong and positive. I hope this campaign serves as an inspiration for all Malaysians to uproot all our bad habits so we can remain strong and united, and create a country that is cleaner and better for all,” said Zunar.Speaking on his experience drawing on Vinda Deluxe tissues, Zunar said, “I was truly surprised that a tissue could be this strong, but Vinda Deluxe certainly lives up to its promise. Together, we have played a small part in celebrating Malaysia’s strength and resilience, and it’s a privilege to work with a like-minded partner like Vinda Deluxe. This is my first major piece of work for public exhibition since the dawn of our new Malaysia and it’s a great way to celebrate Malaysia Day!”If you missed the exhibition, you can check it out here www.facebook.com/vindatissuemalaysia. But in the meantime, catch Zunar on the show with MAG on FRiday as he speaks about his artwork collaboration with Vinda Deluxe Tissue and his stand as a political cartoonist. If you can't feed a hundred people, then just feed one. 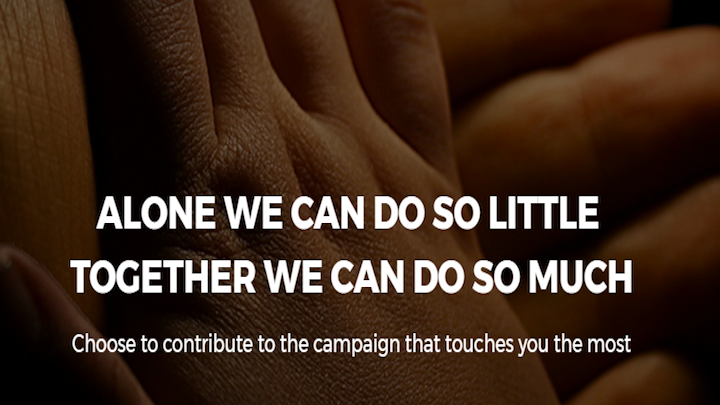 - Mother TeresaAnd that is the main mission at The Giving Bank Organisation. With the aim to lead the society to actively participate in charities and make it a daily routine, The Giving Bank leverages on the power of technology to connect people and charities.Having been around for close to 2 years, The Giving Bank has helped the society in many ways and continues to encourage the public help in any which way they can, even through the smallest of donation, to help make an impact on thousands of lives.The Giving Bank aims to extend their reach, both locally and internationally for humanitarian causes and relief.The team behind the organization is fully dedicated to working with children, adults and families to overcome extreme poverty and injustice. They work to promote human transformation, seek justice for the oppressed and assist in post-disaster recovery for people across all religions, races, ethnicities and genders. On Wednesday, join MAG as she speak to Dr Janson Ang, the founder of The Giving Bank Organisation. 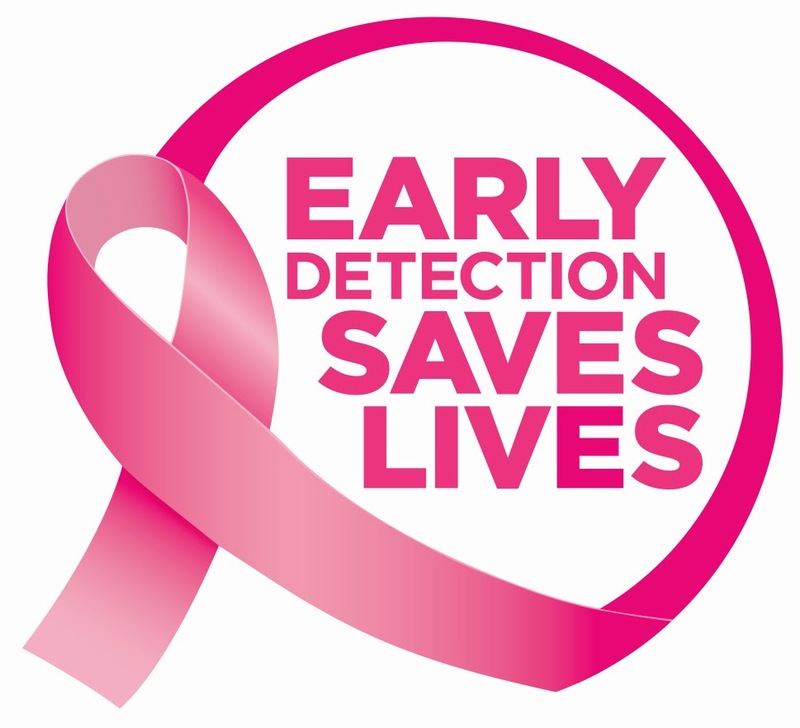 October is Breast Cancer Awareness Month, a worldwide annual campaign involving thousands of organisations, to highlight the importance of breast awareness, education and research.So in conjuction with Pink October, we too are doing our part in spreading the awareness about breast cancer. To make things more interesting, we will be looking at 2 very different angles of breast cancer - Hereditary Breast Cancer and Breast Cancer in Pregnancy. On the show today, MAG will speak to 2 good doctors from Pantai Hospital Cheras.Dr. Suziah Mokhtar, a General, Breast and Endocrine Surgeon. Although a General Surgeon, she had special interest in managing breast and thyroid diseases, both benign and malignant and decided subspecialize in Breast and Endocrine Surgery in 2010. Her passion and interest in General, Breast and Endocrine Surgery, has improved the quality of many lives and provide the necessary solutions to many medical complications.Dr Ida Lilywaty is a Consultant Obstetrician & Gynaecologist specialising in the area of Urogynaecology including Pelvic Organ Prolapse, Urinary Incontinence and Obstetrics Perineal Trauma. She performs abdominal well as vaginal surgeries for gynaecology and urogynaecology cases. She is also a trained Laparoscopist and performs procedures such as Laparoscopic Hysterectomy, Myomectomy as well as Sacrocolpopexy.While these doctors talk about the topics, don't forget to get yourself checked at Pantai Hospital Cheras as they have special promotions all through to December 2018. 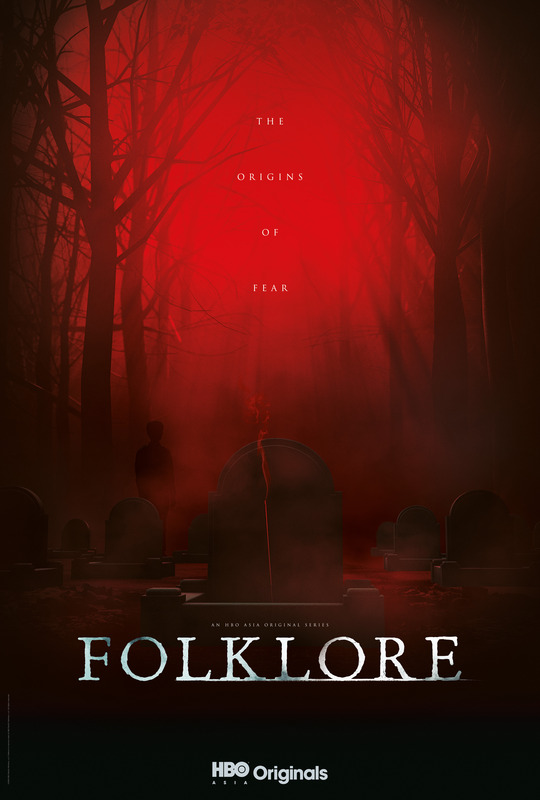 HBO Asia’s very first horror anthology original series, FOLKLORE (#FolkloreHBO), is a six-episode hour-long horror series that takes place across six Asian countries - Indonesia, Japan, Korea, Malaysia, Singapore and Thailand – with each episode based on each country’s deeply-rooted myths and folklore, featuring supernatural beings and occult beliefs. Helmed by different directors from various countries in Asia, each episode was filmed in the local language of the country that the episode is based in. FOLKLORE seeks to modernise or update Asian horror, showcasing the brand of horror that each country is characteristic of and exploring societal dysfunctions in a manner that is specific to the country but possessing themes that will resonate across the continent. Ho Yuhang from MalaysiaThe HBO Asia Original series produced and created by award-winning Singaporean film maker, Eric Khoo. The six directors involved in FOLKLORE are Joko Anwar (HBO Asia’s “Halfworlds”, “Satan’s Slave”) from Indonesia, Takumi Saitoh (“Blank 13”, “Ramen Teh”) from Japan, Lee Sang-Woo (“Barbie”, “Fire In Hell”, “Dirty Romance”) from Korea, Ho Yuhang (“Rain Dogs”, “Mrs. K”) from Malaysia, Eric Khoo (“Ramen Teh”, “12 Storeys”) from Singapore and Pen-Ek Ratanaruang (“Samui Song”, “Last Life in the Universe”) from Thailand.FOLKLORE’s Malaysian-based episode entitled, FOLKLORE: TOYOL, features a tale that is commonplace in Malay folklore, the Toyol. Using black magic, a Toyolmay be summoned from a dead foetus and is often used for selfish or petty gains, exacting the mischief of its owner. However, the summoning of a Toyol can extract a terrible cost and should not be trifled with. Directed by Malaysian Ho Yuhang (“Rain Dogs”, “Mrs. K”) and starring Malaysian actors Bront Palarae (HBO Asia’s “Halfworlds”, “Satan’s Slaves”) and Nabila Huda (“Munafik”, “Tombiruo: Penunggu Rimba”), the episode tells the story of a politician desperate to revive his town’s economy. When he turns to a mysterious woman with shamanistic powers, his troubles are solved but their eventual romantic involvement soon gives way to her dark and troubling secret.The cast of Toyol - Nabila Huda and Bront Palare together with Award Winning Singaporean Eric Khoo and Malaysian Director Ho Yuhang On Friday MAG speaks to Ho Yuhang the Malaysian Director about his episode Toyol staring Bront Palare and Nabila Huda. Plus, tune in to find out about some strange happenings on set and more! Stay tuned to the show on the 5th Oct at 12noon. FOLKLORE premieres on Sunday, October 7 at 10pm exclusively on HBO (Astro Ch 411 / 431 HD). New episodes will debut at the same time every Sunday. The series will also be available on HBO On Demand (via Astro Go). 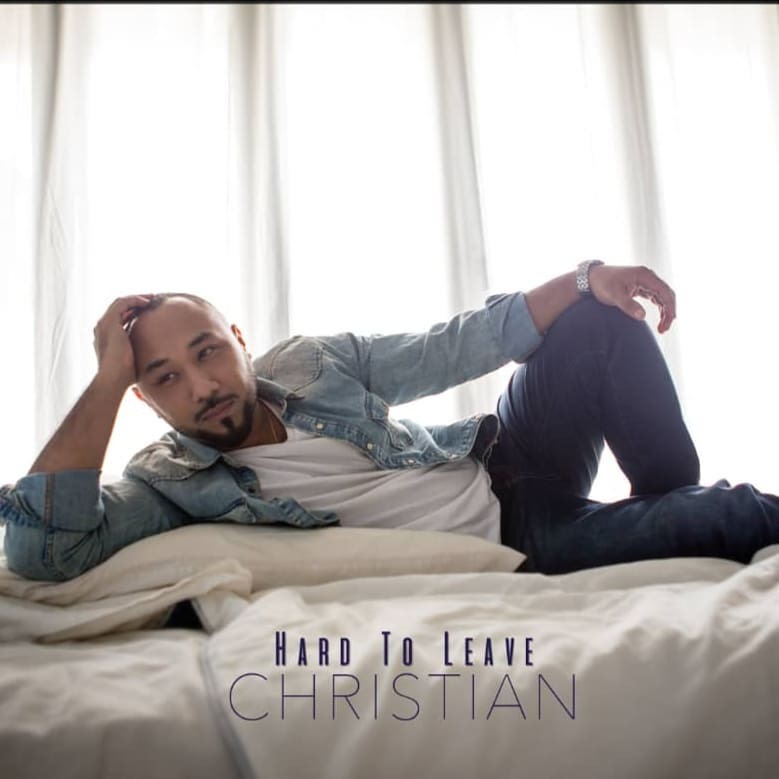 Christian Theseira, from the vocal harmony pop sensation band Back2Basixx have just released his single “Hard to Leave” and NO! He's not left the band! Browsing through social media one day led Christian to a post which spoke to him about the difficulty of leaving a loved one at home to head to work, and that sparked an instant connection which he used to pen down his single. One can say that the song is inspired by the infatuation phase of a new romance, and you will definitely find yourself humming along to the tune. The song is now available on all digital platforms and you can also check out his music video on youtube! But in the meantime, join MAG on Friday as she speaks to Christian about the song Hard To Leave, his solo career, his band and the Hard To Leave For Work Challenge which he just kicked off in conjunction with the release of his song. So listen LIVE to AFO LIVE this Friday, at noon! R U Tough Enough? is Back, But This Time, Searching for Southeast Asia’s Toughest!Are Malaysians the toughest in Southeast Asia? Well, that is what Fisherman’s Friend and KIX HD are trying to find out. With the support of Fisherman’s Friend, KIX HD (Astro Ch 729), is bringing back its annual R U Tough Enough? competition on an even bigger scale this year. 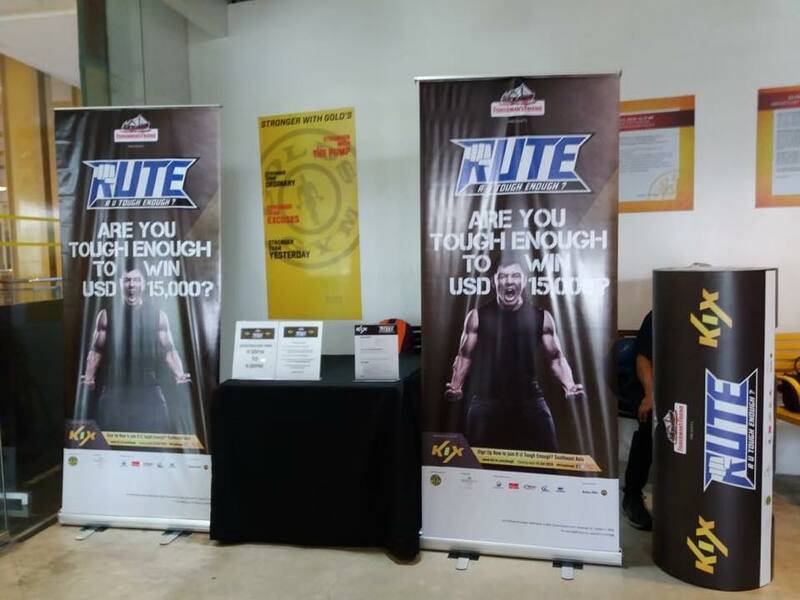 Finalists from six countries in Southeast Asia - namely Indonesia, Malaysia, the Philippines, Singapore, Thailand and Vietnam - will be competing for the title of “Southeast Asia’s Toughest” and a grand prize of US$15,000 (RM61,900)!This year’s R U Tough Enough? 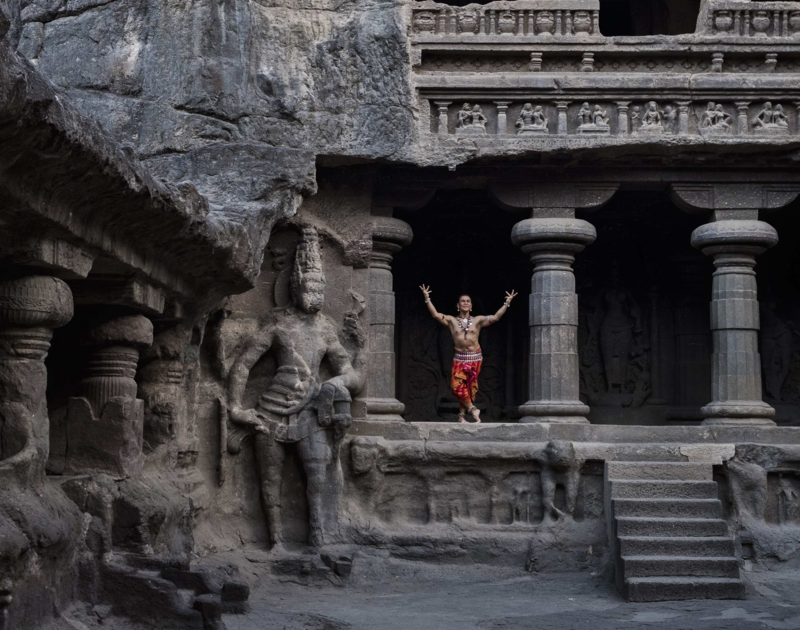 Southeast Asia Advocate is none other than dynamic Malaysian fitness instructor Ishaq Vadillo. As a young man trying to support his family through financial difficulties, he was repeatedly told he was too young and wasn’t taken seriously. However, he persisted and took on various jobs before discovering fitness as a passion. To all aspiring R U Tough Enough? participants, he says “Challenge yourself; you never know what you are capable of until you push yourself to achieve something great. It all starts with determination and perseverance.”MAG speaks to Ishaq on Wednesday to find out more about R U Tough Enough? Southeast Asia. This year, True Complexion is taking their platform offline for their very first onground festival, ALIVE! This truly unique event will bring together the beautifully diversed community sharing their personal stories of overcoming some of the hardest challenges of life. The Festival will be in 2 parts: Day and Night. The Day event will include a huge range of fun, thought-provoking and engaging activities, including: - Inspirational talks by individuals featured on True Complexion- Educational and creative workshops- Therapeutic music and art activities- Crafts and wellness bazaar- Beginner's sign language class- Tools for managing anxiety- Community yoga- Meditation sessions- Group support for caregivers- Raffles, with a chance to win some amazing prizes- ... and so much more!And when the sun goes down, get ready to dance the night away with range of musical performances by Impatient Sisters, Ryot Jones, Fazz, Bihzhu, Battle Bloom and Gabriel Lynch. On Friday, MAG speaks to Rozella, the founder of True Complexion about the ALIVE! Festival 2018! 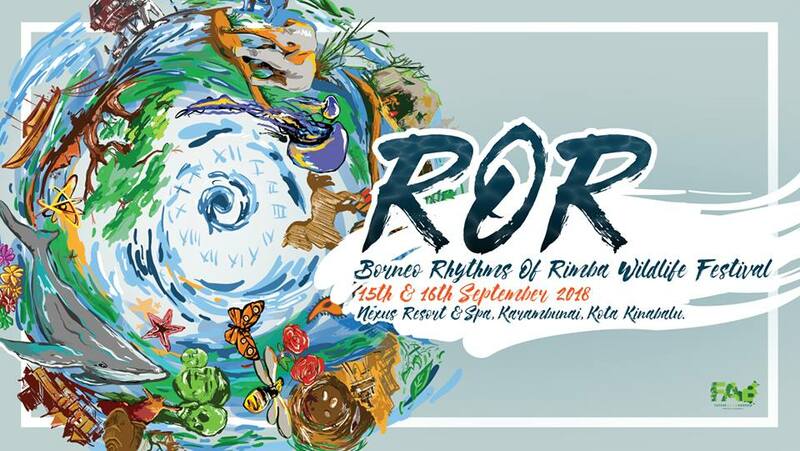 The 4th Borneo Rhythms of Rimba (ROR) Wildlife Festival returns on the 15th & 16th SEPT 2018 after a year's hiatus; moving from the steamy rainforests in Sandakan to the long white beaches of Nexus Karambunai in Kota Kinabalu.The not-for-profit, experiential education platform brings together environmental content to the public through interactive and fun exchanges.Future Alam Borneo (FAB) the organisers of ROR festival will explore the issues of Marine Conservation and Sustainability this year through large scale art & design installations, and the collaboration of scientists, creatives and local communities.International guests from United States such as Kimi Werner (of NatGeo and Discovery Channel fame) will share her concepts of sustainable living and Sky Tribe (extreme sports athletes) installing their space net at sea. Gary Stokes, director of Sea Shepherd Asia, seaweed-based packaging from Evoware Indonesia, Love Wildlife Foundation Thailand, VSS story from Singapore and many more international friends will be landing in Borneo to share their experiences.FAB will also be hosting for the very first time, an exposition on oil palm. Looking at the industry and gathering various stakeholders for an overview of the crop on Borneo's economic and cultural future.Each evening will feature musical celebrations featuring artistes such as Ning Baizura, Alena Murang, Sada Borneo and many more performers with a passion for the planet.The 2 days will feature an amazing kaleidoscope of content in Conservation, Creativity, Adventure, Music and Sustainability zones; from street art to yoga, nature inspired jewelry to camping out in the trees.ROR festival will see children, youths, families as well as environmentally-conscious adults come together in a celebration of Borneo's biodiversity.On Wednesday, listen in as MAG speak to Anton Ngui and Gina Yap about the upcoming Borneo Rhythms of Rimba (ROR) Wildlife Festival. Henry Crew, 22 from the south of England has always been obsessed with motorcycles. In early 2018 he decided to embark on a journey around the world on his trusty motorcyle. In doing so, Crew hopes to not only break the Guinness World Record to be the youngest person to circumnavigate the world on a motorcycle but also to collect funds which will be channelled to The Movember Foundation, a charity which focuses on men's health issues; specifically prostate cancer and mental health. 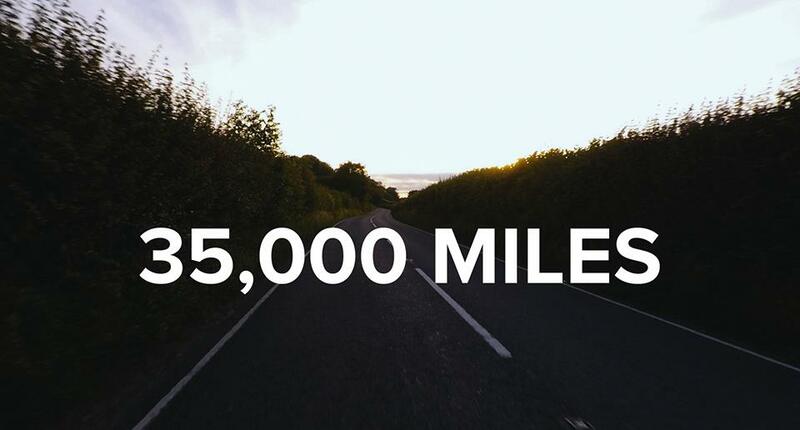 All in all, Crew's journey will take him riding 35,000 miles through 35 countries to raise 35,000 pounds and in August, Crew passed through Kuala Lumpur from Thailand en-route to Australia. Taking this opportunit to meet up with him was MAG who spoke to him about everything from his journey to motorcycle safety and the Movember Movement. So tune in to AFO LIVE on Wednesday to find out more about Henry Crew and his mission only on aforadio. There are tons of food varieties out there which are really accessible to most of us. But why hassle ourselves to step out our comfort zone, if there is a way where good home cooked food can be delivered straight to our homes? 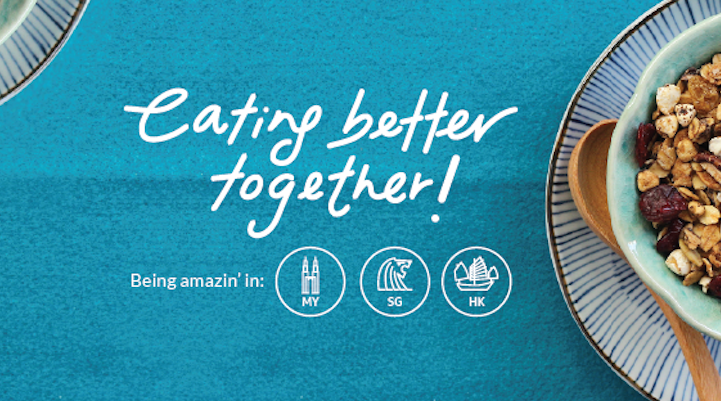 Introducing B'Eats Malaysia, an online food marketplace that serves as a bridge between food lovers and homechefs. B'Eats is committed to satisfy our home-cook meal cravings and many other desirable home-serving cuisines. 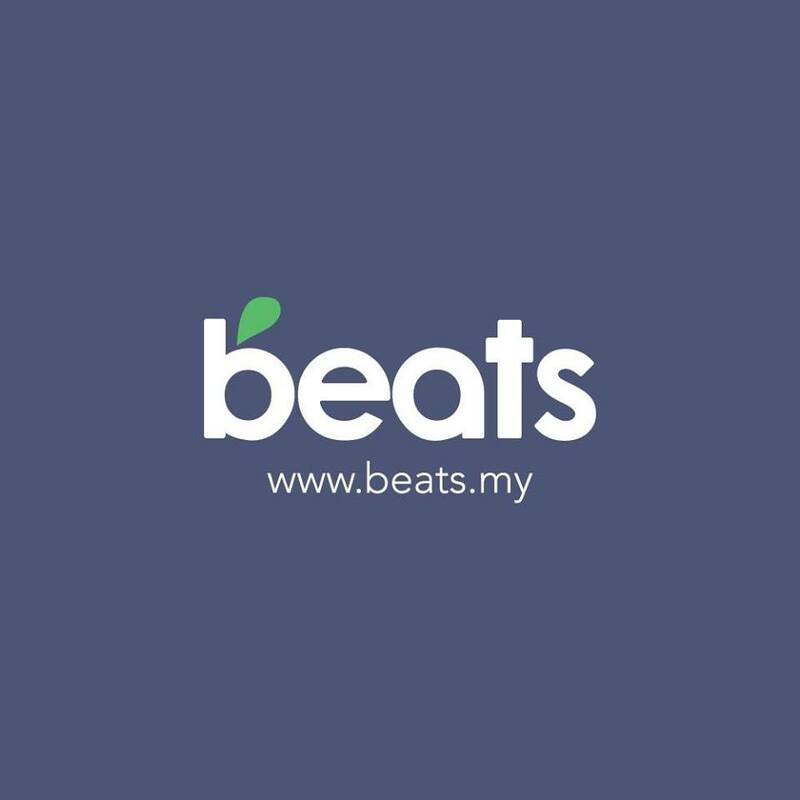 Based in Klang Valley, B’Eats does not only deliver great home-cooked meals, but they also create a working opportunity for home cooks to make some income. With over 50 homechefs already on their platform, B'Eats invites you to be a part of their platform! So what are you waiting for? Listen in to MAG on AFO LIVE this Tuesday to find out more from CY Lai, the founder and CEO of B'Eats Malaysia and John Lim, the CTO of B'Eats Malaysia! 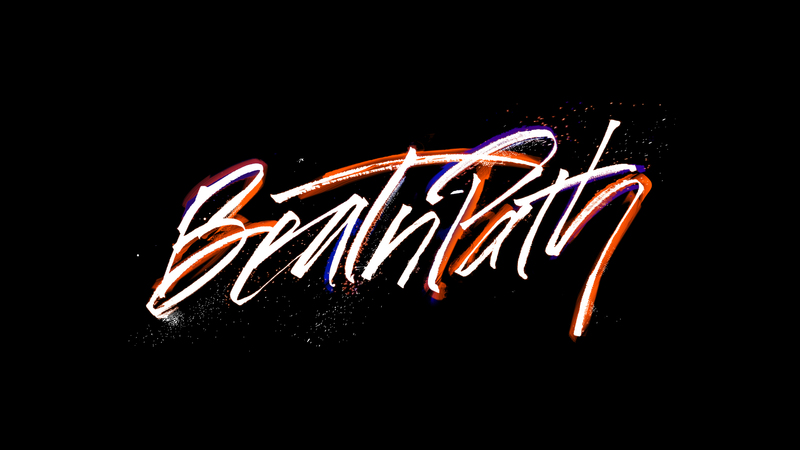 For more info, head out to www.beats.my. So hurry.... Get clicking and start Eating! Club Mickey Mouse made its debut in Southeast Asia in September 2017. 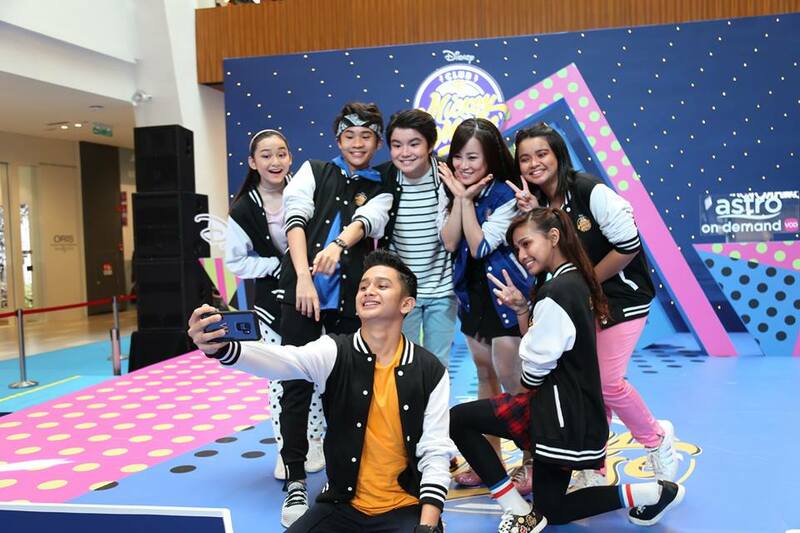 The first season was a huge success, becoming the #1 show on Disney Channel with 2.7 million on-air viewers, 11 million visitors across digital platforms, and 14 million video views on the Disney Channel Facebook Page.Back for the 2nd Season, Malaysian audiences can look forward to new original songs composed by renowned local music producers, and even more comedy, games and celebrity guest appearances, including popular singer-songwriters Hael Husaini, Haqiem Rusli, and actress Diana Danielle.Reprising their roles are Head Mouseketeer Charis, and fellow Mouseketeers Dheena, Erissa, Faiz, Gabriel and Wafiy. As Mouseketeer Natasya graduates from Club Mickey Mouse, the talented 14 year-old Ellya will join the family as a new Mouseketeer this season. Together, the Mouseketeers will continue to entertain kids and families in this contemporary and uniquely Malaysian show. Season 2 gets more exciting with brand new original numbers. The Mouseketeers got to work with Audi Mok, the man behind various award-winning songs by top Malaysian artists, including Faizal Tahir, Joe Flizzow and Siti Nurhaliza, and composers Aizat Amdan, Anas Amdan and Mia Palencia. Season 2 kicks off with a heart-pumping brand new orignal song “Start Me Up”.To celebrate the launch of the new season, the Mouseketeers took Club Mickey Mouse on the road in the first-ever “Club Mickey Mouse: LIVE!” road show with live music and dance performances, a sneak peek of what’s to come in the new season and a Meet & Greet with the Mouseketeers themselves. Their final show will be at IPC on the 1st and 2nd Sept! On Wednesday, MAG speaks to the Mouseketeers on AFO Radio. Listen in for more! 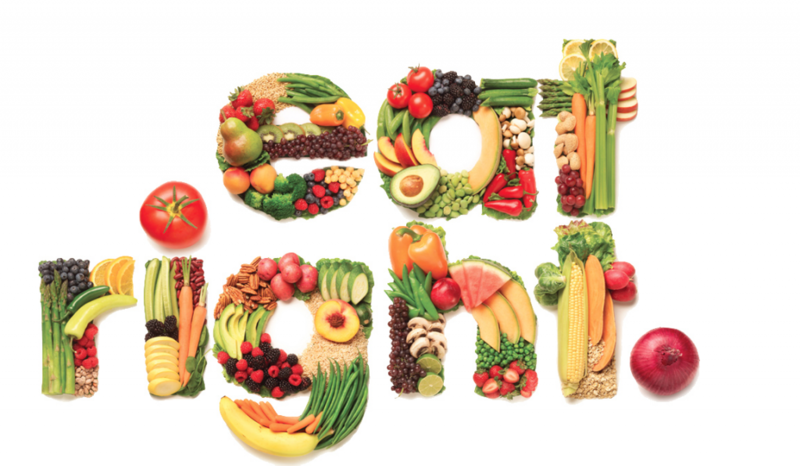 A diet is best described as a fixed plan of eating and drinking where the type and amount of food are planned out in order to achieve weight loss or follow a particular lifestyle. Over the years, there have been thousands of diets available. Some are for losing weight, some for gaining weight, while others may lower cholesterol, help you live a long and healthful life, and many other reasons.On Monday, MAG speaks to Nurul Aziah Musa, the Manager of Dietitic & Food Services at Subang Jaya Medical Centre who has 18 years of experience in providing high quality nutrition, dietitic and food services. Nurul takes her responsibility of attending to the medical nutrition needs of patients in the hospital, very seriously and she oversees the provision of normal and special diets for patients on admission, as well as nutrition counseling to help prevent and manage diet-related diseases. A strong advocate for a healthy and balanced diet, the way it was always meant to be, Nurul emphasizes the fact that FAD DIETS are not the best to follow! Listen in as MAG and Nurul discuss Diets and more on AFO Radio! 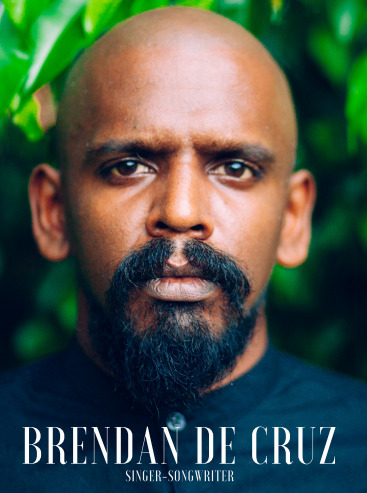 Passion and persistence without exception are the two key things that would best describe Brendan de Cruz as a person, and most of all, as a musician. His strong vocals make up for his seemingly reserved personality, but stay a little longer and you’ll learn that this talented musician is so much more than meets the eye. After the success of his debut EP, Even So, released in September 2016, de Cruz barely took a moment's breath before hitting the independent the scene with his second record, a 4-track EP titled , Black, which was launched in August 2017, and was mastered by internationally renowned mastering engineer, Pete Maher, who has worked with names such as Damien Rice, The Rolling Stones, U2, and The Killers, just to name a few. Having also shared stages with local acts such as Gabriel Lynch, Bihzhu, Bil Musa, and Talitha Tan, Brendan de Cruz has surely seemed to have made an impression with his melodramatic take on a variety of relationships, through his heart-tugging tunes.With a heart made for music & a voice that leaves quite an impression, Brendan James best defines who he is & what he does when he says, “As long as I’m making music, I’m happy.”Catch Brendan on AFO LIVE with MAG on Friday, as he talks about his latest album III, his musical journey and the album launch happening at the Bee, Publika! THE GREAT CIRCUSES OF RUSSIAIn Russia, the circus is known as the ‘people’s art form’. Blending the great Russian traditions of gymnastics, theatre, opera and ballet, it is a form of entertainment that has survived through the decades: through war and peace, democracy and dictatorship, ups and down, bringing joy to young and old across this vast nation.Two circuses in particular stand for the very best in artistry and athleticism: the Bolshoi Circus (or “The Moscow State Circus at Vernadsky Prospekt”) and the Nikulin Moscow Circus. Universally acknowledged to be at the pinnacle of circus arts in the world, acts from these esteemed circuses have long been thrilling audiences across the globe with their truly one-of-a-kind skills.Now, Malaysians from all walks of life will have the opportunity to catch these world-class circus acts right here in their own backyard! The Moscow Circus Tour of Malaysia 2018/19 will be embarking on a mammoth and unprecedented 10-city journey across the country covering Petaling Jaya, Penang, Prai, Melaka, Kuala Lumpur, Johor Bahru, Batu Pahat, Ipoh, Kuantan and Klang.You will be witness to a two-hour programme featuring nearly 40 performers, starting off with a visually stunning cavalcade of the entire cast, followed by presentations of dangerous and thrilling acts by aerialists, high wire walkers, trapeze artists, acrobats, a juggler, roller-skaters, diabolo spinners and illusionists, all held together by one of Russia’s most well-known clowns and ringmasters, Armen Asiryants.To cap off an unforgettable circus experience, the entire performance will be held under a 2,700 seater fully air-conditioned circus ‘Big Top’. 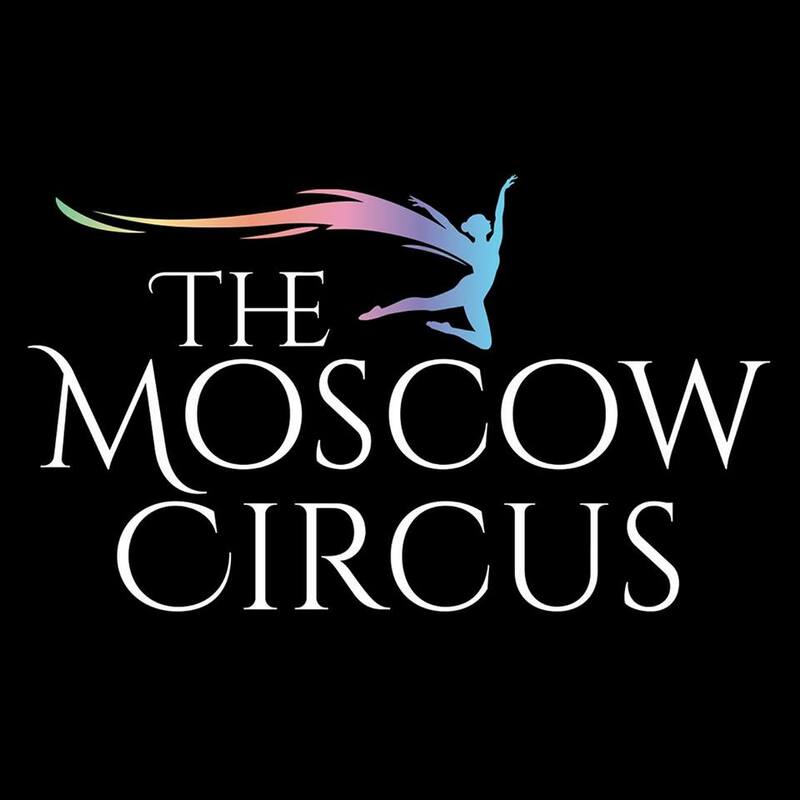 The Moscow Circus tent will be the largest circus tent in Malaysia!So join MAG on Wednesday the 15th August as she speak to Kenneth Lee, the Producer of The Moscow Circus & Karina Peace, the Ringmistress of The Moscow Circus. A Garden in the CityKL City Walk is a the first and only stand alone pedestrian-friendly community walk which features a blend of storefronts & grab-n-go services for the busy urban inhabitants of KL City Centre. #KLCW is a refreshing green lane (many featurettes were re-purposed from upcycled materials) that is well-connected to neighbouring offices, tourist accommodations, & is a critical pedestrian gateway to the rest of the Golden Triangle’s highlights. 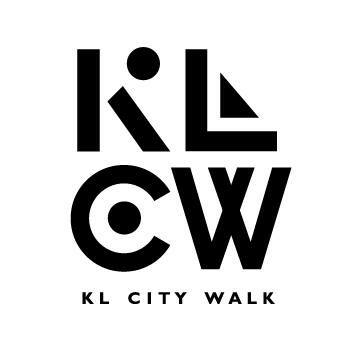 On the 8th August at 8am, KLCW will receive a host of VVIPs and guests alike to the pedestrian walk as they officially launch the walk and Datuk Judy Ng, the owner of KL City Walk speaks to MAG about this amazing place. Hot Wheels has been the go-to brand for toy cars for decades. There have been many other options, but everyone eventually comes back to the brand. 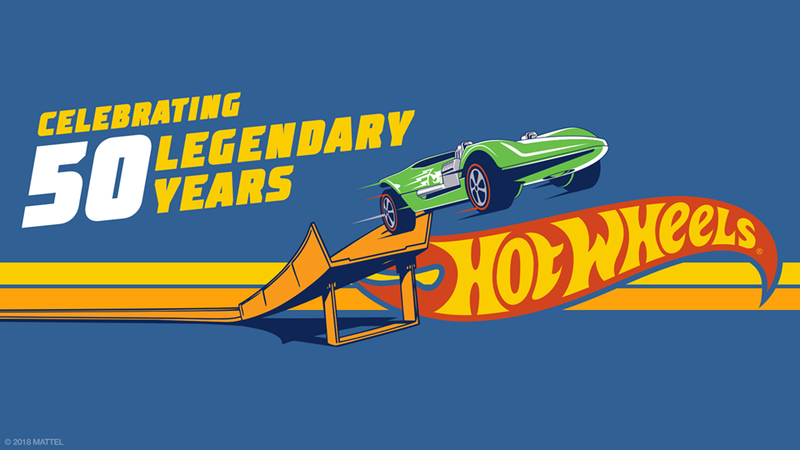 This year, Hot Wheels celebrates a huge milestone, it's 50th Anniversary. Being around for half a century, Hot Wheels has added colour and character to many peoples lives, regardless of age, culture or gender. Today MAG speaks to one of the great minds behind the brand: Dmitriy Shakhmatov, the Product Design Manager at Hot Wheels to find out what sets the brand apart, even now as they celebrate their 50th Anniversary. 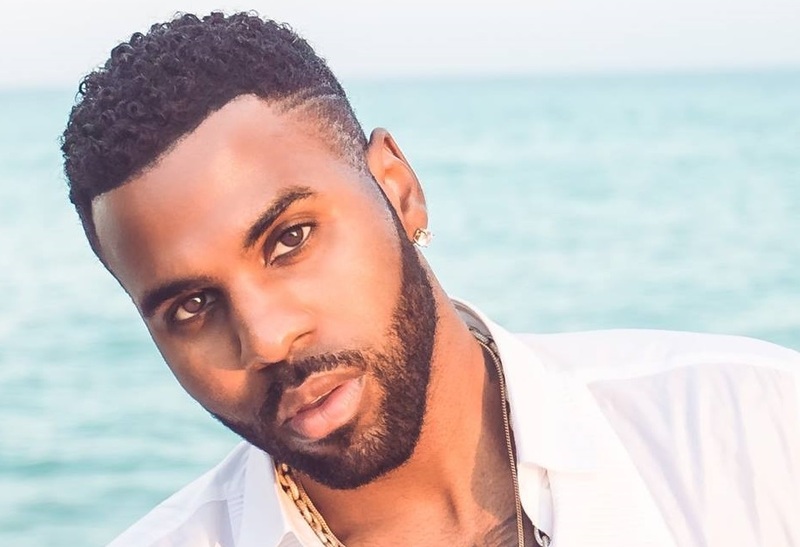 With over 17 million Facebook followers and having sold over 30 million singles, Jason Derulo brings a touch of glamour to GCOX Global Crypto Offering Exchange (GCOX) recently announced the signing of American singer and songwriter Jason Derulo, the latest luminary to join a growing list of international superstars at GCOX. GCOX is a global platform that allows celebrities to create and list their own Celebrity Tokens. Derulo will be in esteemed company, joining illustrious sporting names such as former Liverpool and Real Madrid football legend Michael Owen and Filipino boxer and senator Manny Pacquiao on GCOX’s roster.GCOX Chief Communications Officer (CCO), Evan Ngow, spoke of his excitement for the collaboration between GCOX and Derulo:“As one of America’s most famous singers, Jason needs no introduction. We are committed to assembling a diverse, multi-talented array of stars at GCOX, and Jason will certainly not be the last musician to join our ranks. We are honoured to have Jason in our line-up, and we look forward to helping him build his popularity for the benefit of his vast global fanbase. At GCOX, we believe that popularity alone isn’t the endgame – it is what you do with it that matters.”(Left) GCOX’s Ray Heng posing for the cameras with Jason Derulo (right), at the signing ceremony between GCOX and Derulo on 15 July 2018.GCOX aims to be the first platform of its kind where celebrities can leverage on blockchain technology to revolutionise and redefine popularity. It facilitates the creation, listing and trading of celebrities’ personal crypto tokens on its purpose-built blockchain called Acclaim.On Friday, the 27th tune in as MAG speaks to Jason Derulo about his venture with GCOX and how it'll benefit both his fans and him as we go into a more content filled world. All this and more on aforadio.com. 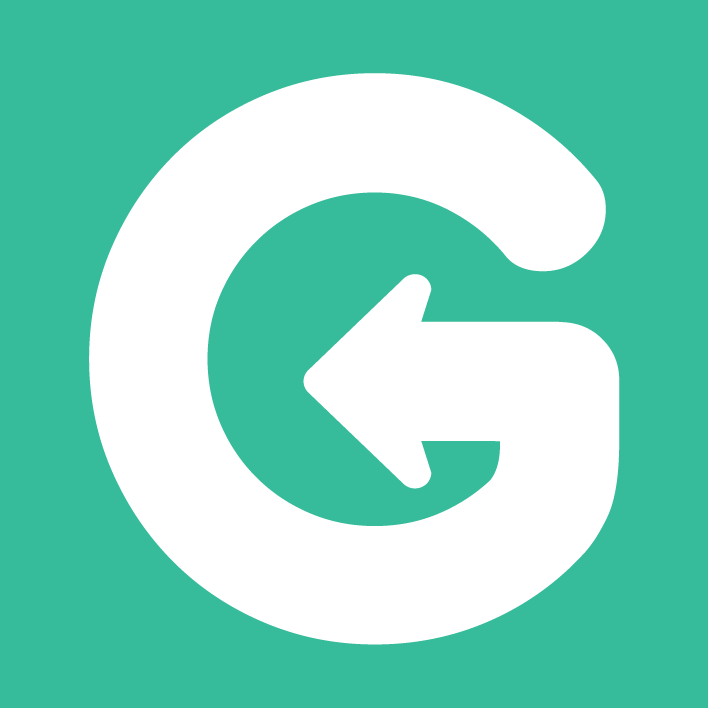 Revolutionising car rental in Malaysia, GoCar is the go to alternative for car rental focused on convenience. GoCar is a car sharing platform that allows its members to rent cars by the hour or day using the GoCar smartphone application.Unlike traditional car rental services, GoCar works on a membership basis, where all members are part of a car sharing community. Just by using their app, you can now book, unlock & access a car directly from your smartphone with pickups from several locations all across Malaysia. 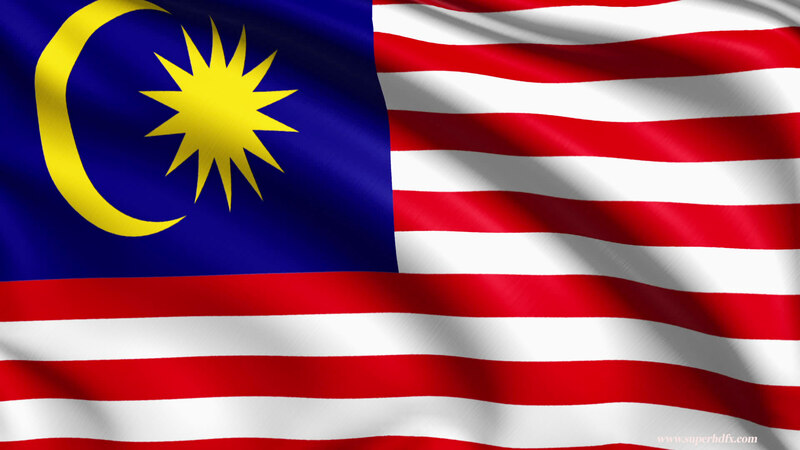 GoCar is your alternative car rental service in Malaysia! Listen in on Wednesday as MAG speak to Alan Cheah, CEO of GoCar Malaysia! Being so blessed with a variety of food from every race and culture, Malaysians often find it difficult to eat healthily. 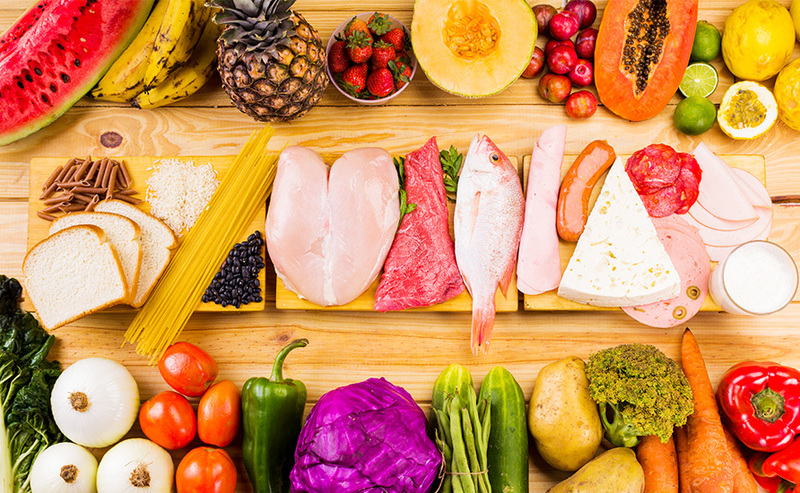 While some may already be practicing a healthy diet with meal prep and gym schedules, most others struggle to even have decent meals and not over indulge. On Monday, join Dr. Prabhjot Singh Sidhu, a Consultant Gastroenterologist, Hepatologist & Physician at Ara Damansara Medical Centre who will be in the studio to speak to MAG about the importance of eating healthy and how one can start, with 3 simple steps. Dr. Prabhjot, who specialises in the diagnosis and treatment of disorders affecting the entire gastrointestinal tract (e.g. oesophagus, stomach, liver, digestive and bowel problems) using advanced diagnostic and therapeutic endoscopic techniques, as well as other complimentary methods even helps MAG to discover simple ways to tweaking her eating habits in the process of eating healthily. Listen in to AFO LIVE on Monday, 12pm to 1pm only on aforadio.com. Alvin Chong is a singer, dancer, actor and host, he has shown great skill and versatility in different fields. Alvin started his career with a singing competition and eventually landed different roles on television dramas. 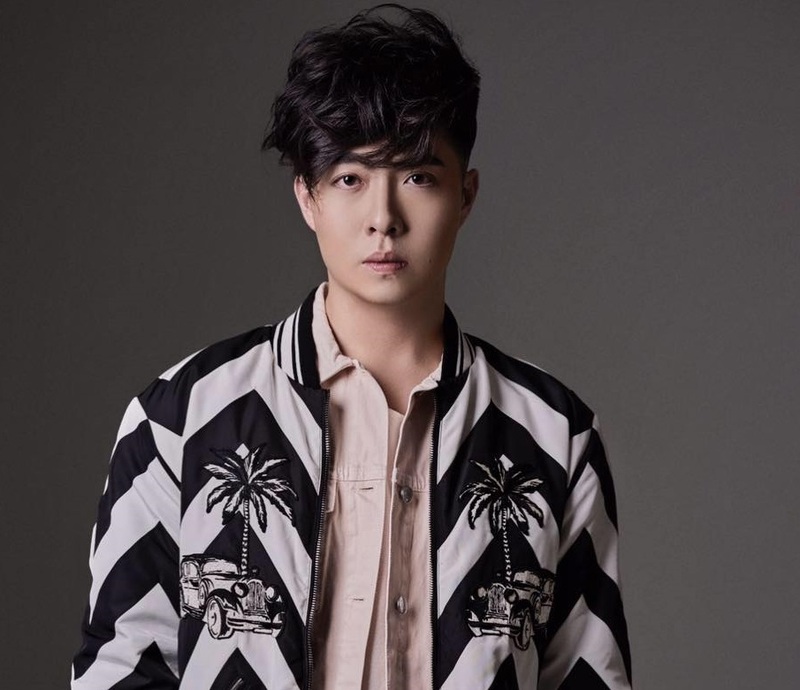 Signed with Universal Music Malaysia, Alvin released his single “Mencintaimu” has been part of Malaysia’s local drama TV drama – My Coffee Prince. Isabela Vinzon, first rose to fame as the first runner-up of The Voice Teens Philippines. 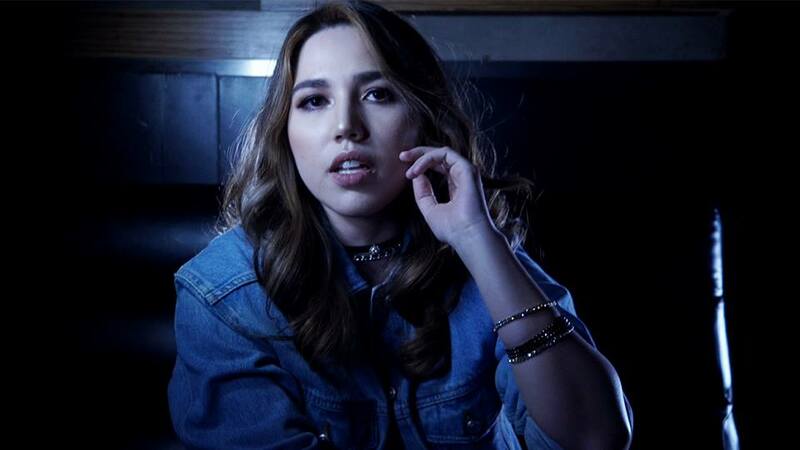 After her stint on The Voice Teens, Isabela released her very own single “Right Now” under MCA Music Inc. (Universal Music Philippines).The duo releases a pop-dance English track called “We Got This” which showcases the duo’s versatility as singers. The track talks about the endless possibilities a new city can bring with romance and meeting someone new. Being confident and being true to yourself, especially in a new environment when you keep your cool, good things can happen. “We Got This” was produced by Bryan B who previously produced names like DeFAM , Darren Espanto, Brandon Beal & Sean Kingston. 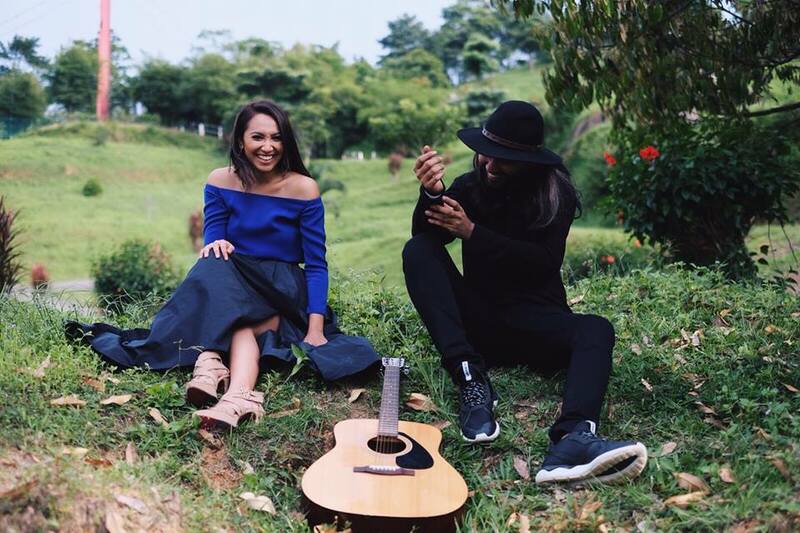 “We Got This” is a collaboration brought about by Universal Music Malaysia and MCA Music.On Friday, MAG speak to both Alvin and Isabella about the track and future collaborations. EB Duet is on the charm offensive again, with their second album. “I’ve Got A Song For You” officially released on 21st June 2018. The collection represents their first attempt at an album of original compositions, all of which self written and produced. 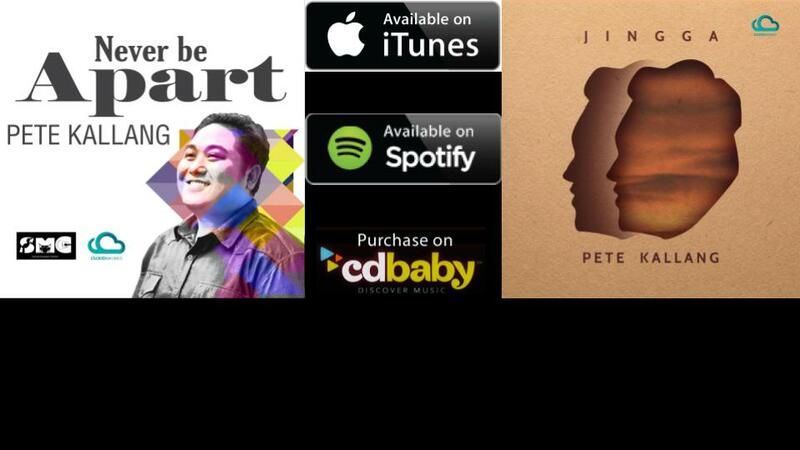 It also features “Come With Me” - a song they wrote for AirAsia’s tv commercial “ASEAN 50th Anniversary”“I’ve Got A Song For You” is a step away from the usual jazz and classic covers that they have been known and adored for. It is a passion project - a conscious fashion of only Eve’s sultry vocals and Billy’s savvy strings. The music is meant to be less complex and calmer while retaining some jazz elements. It is essentially EB Duet in their purest, most honest musical expression.The duo who will be kicking off their album tour will be on the show on Wednesday afternoon. So tune in to find out more juicy news from Eve and Billy themselves, on aforadio! iCarAsia is not just a vehicle portal, they represent an endless ocean of possibilities when it comes to buying, selling and learning about new and old vehicles. 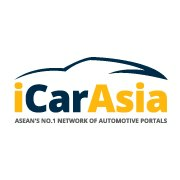 With an ever-growing base of currently more than 8 million users, iCarAsia is the leading cars portal network in ASEAN's three leading markets: Malaysia, Indonesia and Thailand.iCar Asia offers significant market opportunities for everyone through a platform that has a potential to connect more than 600 million car buyers and sellers throughout ASEAN. Their network currently enjoys more than 8 million visits from car buyers and enthusiasts each month.On Wednesday, MAG speaks to Hamish Stone, Group Chief Executive Officer of iCar Asia! 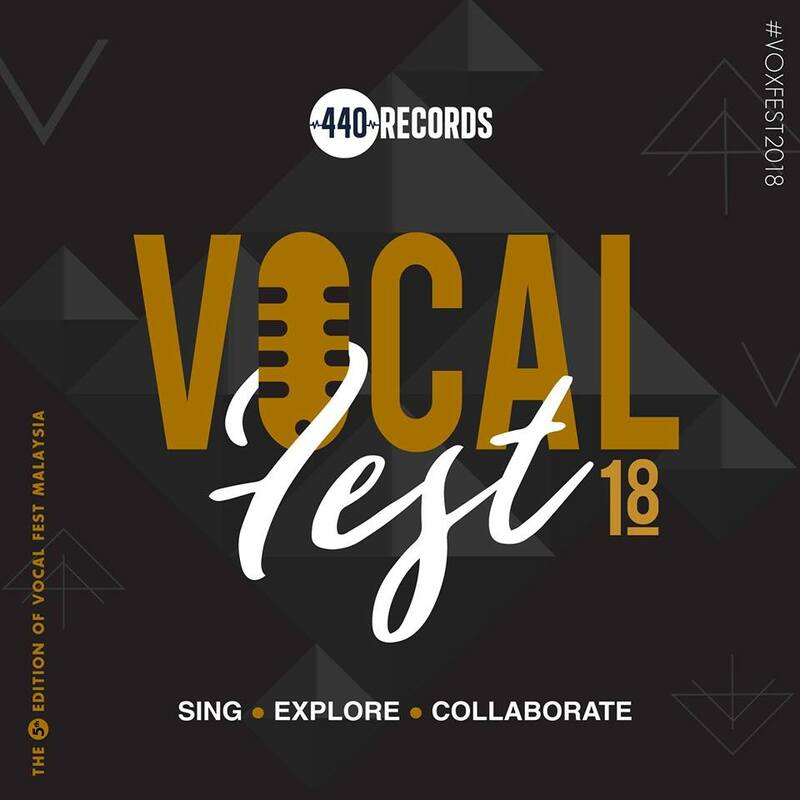 Vocal Fest (also known as VoxFest) Malaysia is a platform for singers to meet together and learn from practitioners in the music industry. It is an experience that takes aspiring singers to a whole new level; giving them a glimpse into the workings of the industry and an opportunity to collaborate with diverse talents from all over the country. Guess the dictionary describes it best. "-fest: a festival or gathering of a specified kind"! On Friday join MAG as she speaks to Juwita Suwito on this years edition of the show and the absence of Elvira, and John O shares his experience being a coach on the 5th edition of Vocal Fest Malaysia, VoxFest 2018 on AFO LIVE! “BREIS is one of the best kept secrets in British Hip Hop” – The GuardianBREIS (breeze) is a Nigerian rap artist based in the UK. His name stands for Brother Reaching Each Inner Soul. Growing up in both the UK and Nigeria has influenced BREIS’ sound, which is a fusion of Hip Hop, Jazz and Afro-beat. 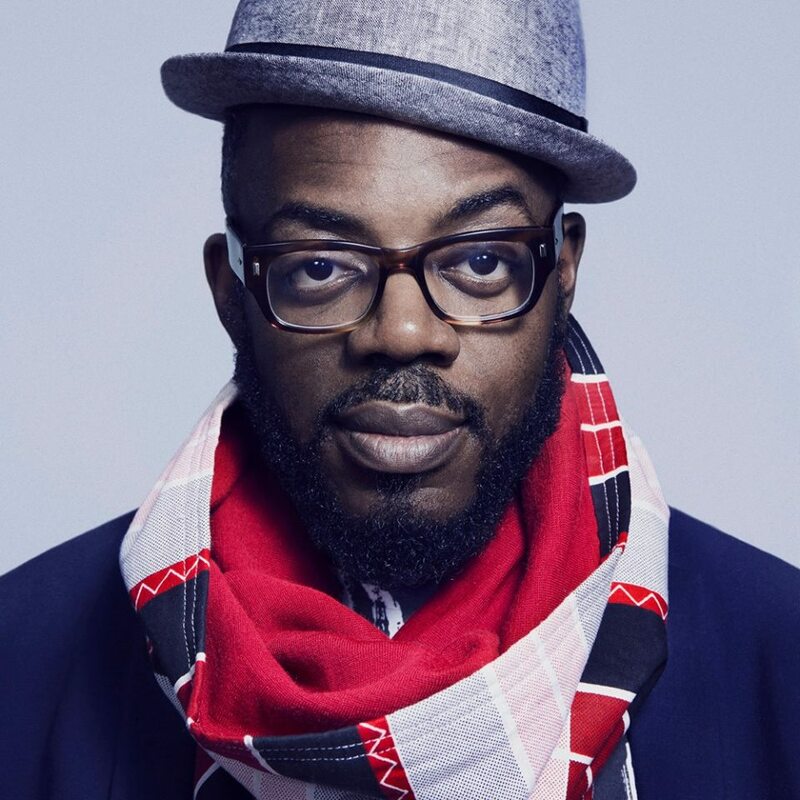 He has toured internationally and shared the stage with world class artists such as Afro beat musician, Tony Allen, Dele Sosimi, Dead Prez, Big Daddy Kane, Black Thought (The Roots), Angie Stone, Les Nubians, Omar Sosa, The Horndogz and Kim Burrell. Breis is also the author of Brilliant Rappers Educate Intelligent Students – the UK’s premiere interactive rap book. BREIS is the CEO of Student of Life Ltd, a Hip Hop Education company/Record label and does a vast amount of work in schools across the UK, Europe, Washington DC, New York, Mauritius and Mozambique.Having married both hip hop and education to assist in creating deeper interest in school, Breis travels all around the world, inspiring and empowering young people through his music and rap, whilst staying focus on education. Breis who was in town recently, dropped by for a chat with MAG on AFO LIVE! 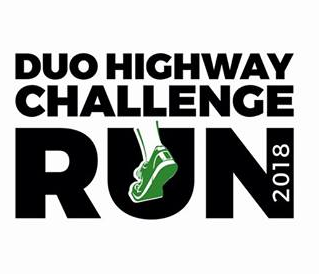 The IJM Allianz Duo Highway Challenge is Malaysia’s only duo highway challenge that highlights the accessibility of two highways and its advantages while promoting physical fitness and healthy living. Organisers, Besraya Highway (E9), NPE Highway (E10) and EC Pixels have once again joined forces this year to provide another round of exciting cruise around Klang Valley.To set things in motion, the first race will be happening at Besraya Highway [E9] which offers a 13km challenge run and a 6km run that is happening on 29 April. More than thousand over runners are expected to fill the Besraya highway where participants can look forward to running on a completely closed highway to ensure the safety of every runner while they enjoy cruising through an unprecedented view of the KL city skyline as they race to complete the challenge.On Wednesday, MAG speaks to Pn Wan Salwani Wan Yusoff, the Chief Operating Officer of IJM Toll Division and Eugene Chan, the Group Managing Director of EC Pixels about the Besraya leg this weekend. In celebration of the 30th Anniversary of the longest running Broadway Musical, Phantom of The Opera, Milestone Entertainment brings you An Evening With The PHANTOM, Songs From The Musicals. 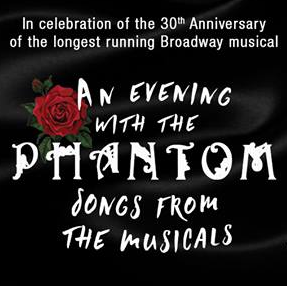 Happening tonight, 18th April at 8.30pm at the Berjaya Times Square Hotel, this evening will be an intimate evening with all your favourite music from the Phantom as well as other renown musicals. This afternoon MAG speaks to Claire Lyons and Michael Cormick, the stars of the evening to find out what's in store for the show as well as some of their most favourite memories from performing. Tune in from 11-2pm on AFO LIVE! 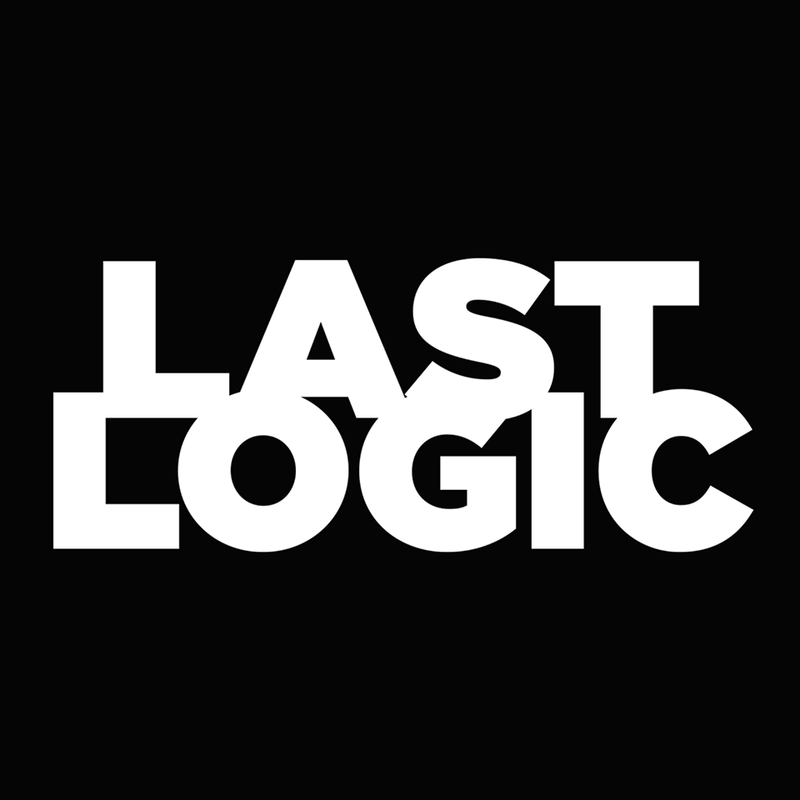 LASTLOGIC is a Malaysian alternative rock quartet which consists of actor and music producer Nick Davis, Jon Voo, drummer, educator and the main man of Heartbeat Drumsticks Malaysia. Syahir Afiq, who was from The Great Metropolitan Expressway later joined the band as the second guitarist and Travis Tan on the bass. 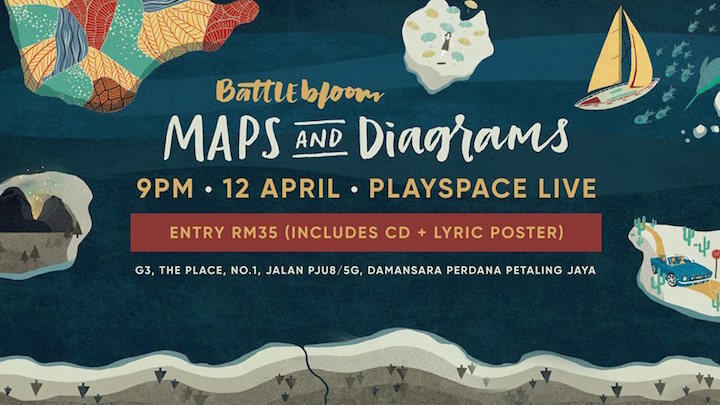 The band was formed in mid 2015 with the idea to use music to convey emotions, and it is set to release their 5 track EP on the 22nd April at The Bee, Publika! On Friday, MAG speaks to the band's lead vocalist, Nick Davis this afternoon to get to know the band a little bit more and also to find out more about their debut EP. 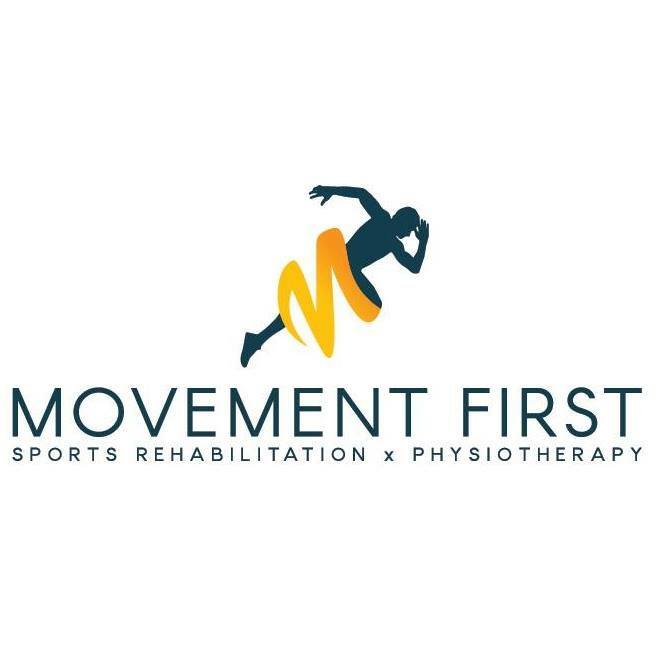 Movement First Sports Rehabilitation specializes in the diagnosis and treatment of conditions that cause joint pain, muscle pain, movement disorders, sports injuries, fitness and work injuries, and musculoskeletal dysfunctions. Treating everyone from young to not so young, the team at Movement First Sports aims to get you moving for a healthier, happier lifestyle! On Sunday, the 22nd April, Movement First Sports Rehabilitation Centre will be having their first ever child focused day of fun called MoveKids - Children's Health, Fitness & Wellness Day! And on Wednesday, MAG speaks to Suzzen Chong, the founder of Movement First to find out more about the programmes for the day as well as some pertinent information about flat feet and posture in children. Tune in to find out more! 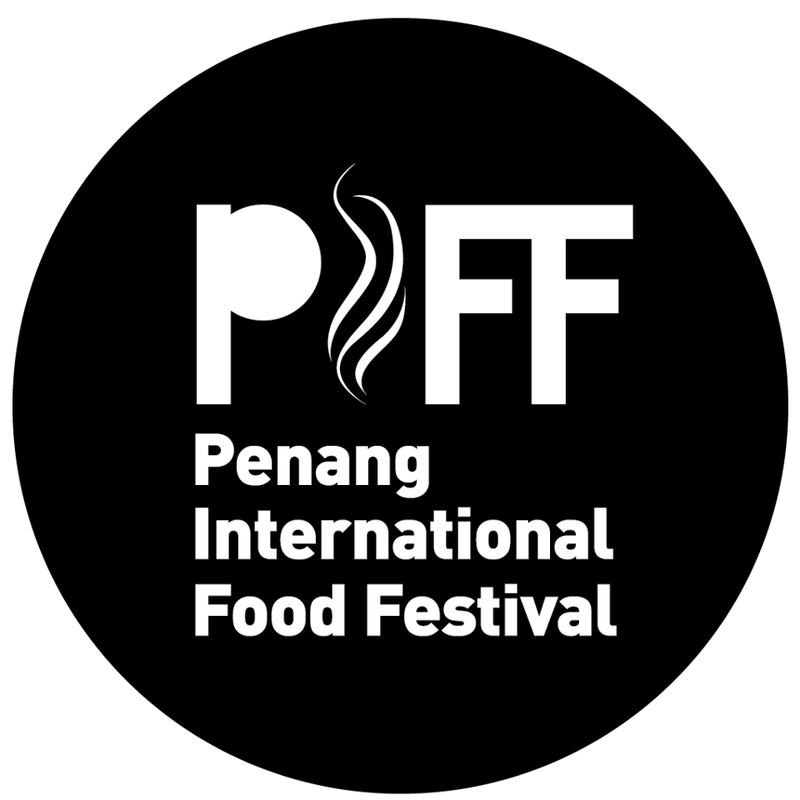 Back again, the Penang International Food Festival (PIFF) returns this year with 16 days of mouth-watering food and drinks. Penang’s culinary landscape has for decades now, brought food fans from all corners of the world to explore the rich culinary experience this city has to give! An experience like no other, when eating in Penang, one can expect a wholesome experience which combines potent flavours, intoxicating aromas, buzzing sounds, and glorious sights. Last year’s inaugural Penang International Food Festival successfully showcased Penang’s food offerings. 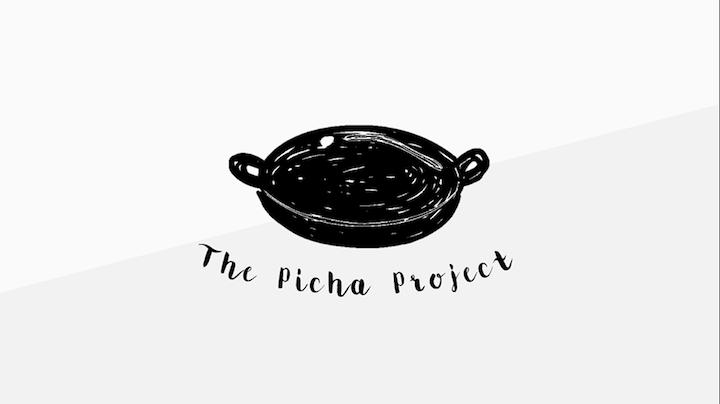 It also presented the seamless transition of Penang’s food history from the authentic culinary methods from days of the past, to the innovative fusion cooking of present day as well as future cuisines. This year, the 16-day event will demonstrate Penang’s street food, as well as the food scene at cafes, restaurants and hotels. For the very first time in Malaysia, there will be a food truck invasion at Penang’s mainland, where 150 food trucks will come together serving at one place. In addition to the three major events happening over three weekends, there will also be a series of mini festivals, themed dining experiences, and a professional chef’s challenge that is open to all professional chefs.On Monday join MAG as she speaks to Jack about the 2018 Penang International Food Festival! 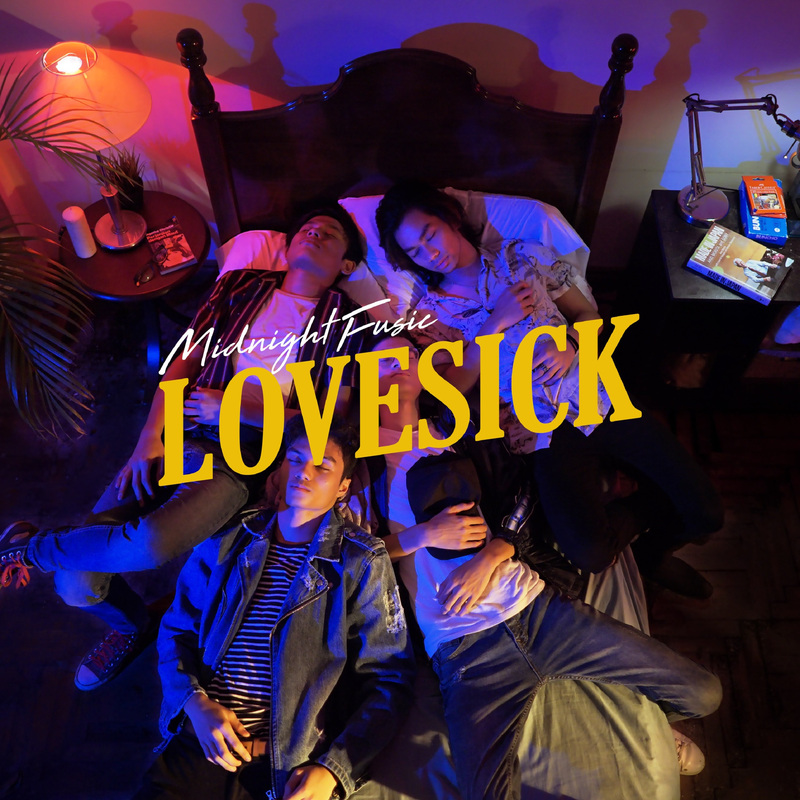 As a start to the new year and hot on the heels of their successful debut track Heart of May, alternative indie act Midnight Fusic are ready to reveal their second single Lovesick to the masses. 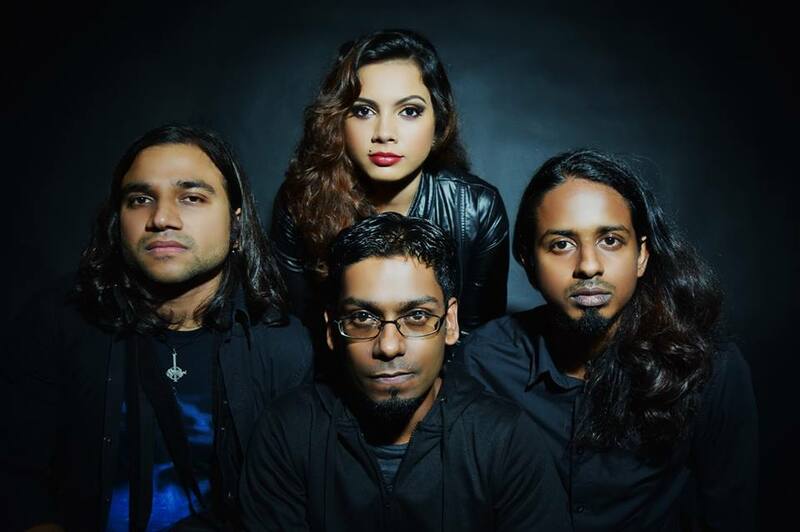 The sultry and polished grooves of the much awaited dancy track is a prequel to their first release, Heart of May.Keeping with the band's style of writing from life's ordeals, Adrian Danial, the band’s lead guitarist, penned the song based on vocalist and frontman Raja Arif Aizuddin’s experience of being stuck in a toxic relationship and finding it hard to let go. "Instead of setting the story of love lost to a slow, sad melody, we decided to put the lyrics into something funky and upbeat thus, bringing life into the song and making it an earworm of a tune," said Adrian. The band is also hard at work on their debut EP that’s in the pipeline for release sometime in April 2018. "We hope to reach out to as many people as possible and become the voices of the now where we can talk about topics and experiences of the norm through our music that people can relate to. With our EP in tow, we hope we’ll get to put out an album in the coming years and for our music to evolve in the Malaysian music industry; eventually making it internationally as well," said Arif. Listen to Lovesick by Midnight Fusic here: https://lnk.to/MFLovesickFOLLOW MIDNIGHT FUSIC ON SOCIAL MEDIA Facebook - www.facebook.com/midnightfusicTwitter www.twitter.com/midnightfusicInstagram - www.instagram.com/midnightfusicSoundcloud www.soundcloud.com/midnightfusicOn Friday, MAG speak to the guys from Midnight Fusic for an in-depth look at their latest single and their plans for the future! Road tours have always been the staple when it comes to promotions of music. If a band had a new album out, the immediate response is to pack up and get on the road, drive city to city, night after night performing and selling their CDs as well as merchandise. Do it for 2 months or 3 months and then the process repeats with every new release.Come 30th March 2018, Pop Punk darlings, An Honest Mistake with the release of a brand new release, The Corporate EP, heads out on a 6-stop college tour together with Hip Hop DJ/Producer, DJ Biggie, rising Hip Hop star, Kiddsanthe, Producer/DJ, Cuurley, award winning singer-songwriter, Aisyah Aziz as well as social media heart-throb/DJ, damnyoudan. The 6-stop tour will take place in some of the major colleges in Klang Valley namely KDU Glenmarie, UCSI, Sunway University, Nottingham University in Semenyih, Taylor’s University and SEGi University in Kota Damansara.The best part about this tour is that there will be specially tailored mentorship sessions for the students led by An Honest Mistake as well as the other ambassadors. The students would have the opportunity to hear from the artistes themselves anything pertaining to music. Such questions are to be expected and discussed, e.g. ‘How do I get into a band? Where do I start as a music producer? How do I balance studies and music?’. Apart from education, there will be a Battle of The Bands aka Summer Jamming, to encourage bands and singers at a college level to discover and hone their craft in music. The involvement of music clubs from the universities is also to give music clubs real-life experience to work with professional artistes and brand. The winner of each university will then advance to the final showdown at The Bee, Publika on 12th of May 2018. 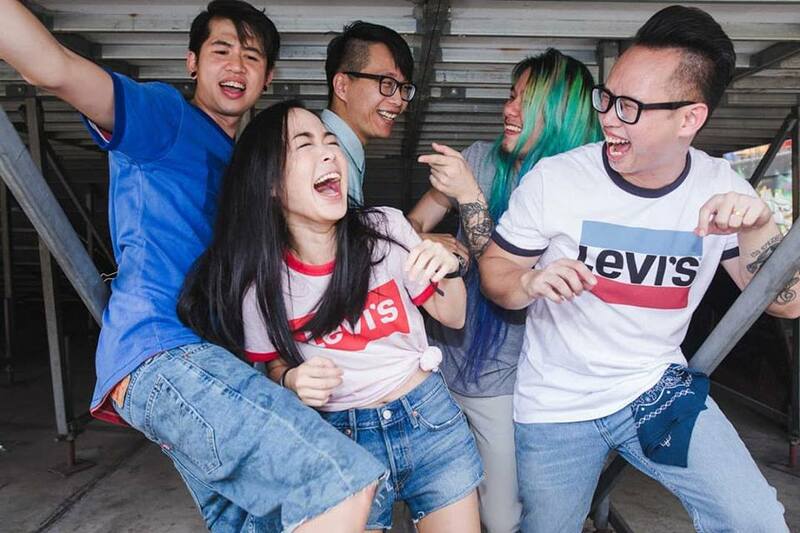 The winner will win Levi’s® apparels worth RM2,000 and a one-song recording deal with Pulse Soundworks fronted by An Honest Mistake. Bringing together the element of music and fashion is definitely ‘new old skool’. Having all these artistes together is a wholesome representation of the music scene here in Malaysia; rock, hip hop, dance and singer-songwriter. A road tour of this scale has not been done in Malaysia for a long time. With the element of education and a ‘tour’ in place, this will pave the way for future musicians to do the same while participating institutions will contribute to the growth of the music industry here in Malaysia.Darren Teh, front man of An Honest Mistakes share more about the album and the tour on AFO LIVE with MAG on Friday from 12noon onwards! The BodyMindSoul Carnival is Back! And this time, it will be held at Concourse Square, Level CC, Paradigm Mall in Petaling Jaya for two days from 31 March to 1 April, 10am – 10pm. And entrance is FREE. Specially designed for the enjoyment of the whole family, the Carnival is set to inspire visitors to live more empowered and abundant lives through the many engaging, uplifting and informational programmes lined up for the two days. The theme for the Carnival is “Inspire Hope”. Hope empowers. Hope changes lives, and with this theme, the Carnival will offer many exciting and fun activities for members of every community. Visitors will be infused with positivity and love and the courage to dream for the most healthy, happy and abundant life for themselves and their loved ones. On Wednesday, MAG speaks to Christina Teng, the carnival event director and Yeoh Lee Lee the chief editor of BodyMindSoul Magazine about the first of 4 carnivals this year! Tune in to find out more. The Will You? Café is a unique commercial café and enterprise with multiple functions. It's not just your normal cafe. While it does have an amazing array of dishes, and provides a very condusive environment to dine in, surrounded by pots and plants, and books and nice furniture to just chill in! 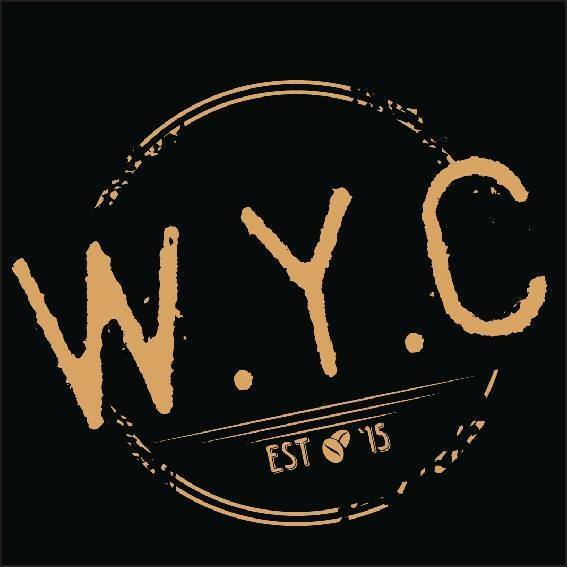 WYC is also venue for community entertainments programs in the evenings, it services the catering needs of the Upward Learning Centre and the Centre for Special Needs Education, serves as the venue for vocational training and programs for career development and a whole lot more. On Monday, MAG speaks to Chef Taufik Razak, the Head of F&B for Mindspace Group and Head Chef of Will You? Cafe to find out more about this amazing place to chill! 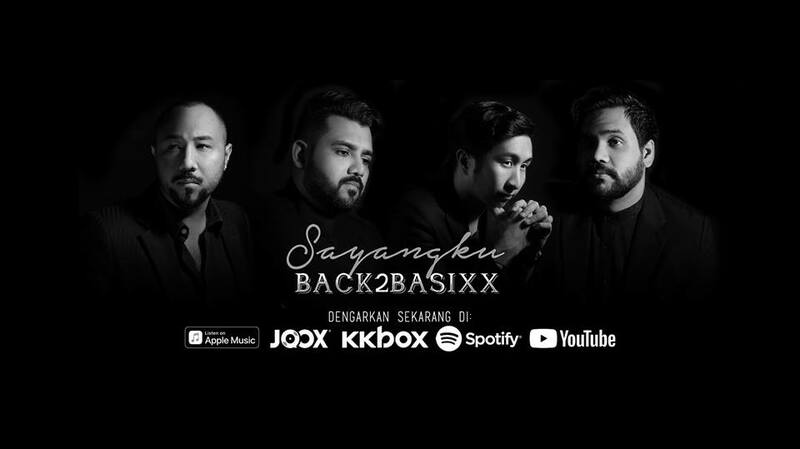 Christian, Kyle, Devon and Daryll make up the band Back2Basixx and after a very quiet 2017, the guys are back with their third single Sayangku. A song which took 3 days to write, and many recordings before the guys were happy with the final outcome, Sayangku takes you on an emotional rollercoaster of a relationship. So on Friday, join the guys as they share their stories with MAG about the inspirations behind Sayangku and their journey recording the song. Also, as a bonus, the guys spill the beans about their missing member Brandon. So tune in on Friday to find out more about Back2Basixx. "Az Samad is a master of expression. Every note he plays comes from a place of deep musical knowledge and understanding. He can use his guitar to say "I love you" in 17 languages." Jon Gomm, UK Acoustic Singer-Songwriter and Virtuoso Guitarist Malaysia's very own guitar hero, Az Samad is a guitarist-composer and educator. He has recorded with Grammy Winners, graduated & taught at the prestigious Berklee College of Music, performed all around the world, and up to recently, released his first book, Jazz Improvisation, Uncovered! On Wednesday, this amazing guitarist, composer and author drops by to talk about his music, his journey, his book and himself on AFO LIVE! "Celebrating Women" is back at The Picha Project this year!International Women's Day isn't just a day to celebrate women's achievements and our progress in accelerating gender parity - but also to stand with the women who are still fighting through wars, poverty, violence, persecution & danger.At "Celebrating Women 2.0", a Picha mother who stood up for what was right, and was empowered to make a change in the lives of her children will be sharing her personal story. There will also be a panel discussion by strong female community leaders who are dedicating the lives to protect vulnerable women and empower communities.Details -Date: 25/3/2018Time: 5.30pm-8.30pmVenue: Will You Cafe, 1Mont KiaraPrice: RM85/pax (inclusive of dinner, all event activities & gst)On Monday, MAG speaks to Suzanne Ling, co-founder of The Picha Project about Celebrating Women! With an impressive background in the work of business and technology, Tahir Hussain started in business at the young age of seventeen, earning his first million at the age of twenty-seven. He went on to become a multi millionaire at the age of twenty-eight. Tahir created over USD 1 billion sales volume within three years in the real estate industry. Tahir gained tremendous knowledge and experience throughout his immense professional wealth creation which he shares in this signature workshop “The Art of Closing”. He has helped SME Owners, Entrepreneurs, Directors, CEO’s, athletes and housewives to create increased sales of up to 300% in as less as 30days.On Wednesday, The Unstoppable Millionaire, Tahir Hussain drops by to share some tips on how you can work towards achieving your goals. With this riveting guide, Tahir will share the inside secrets from someone who has proven time and again that you don’t have be born into a wealthy family, you don’t need a fancy college degree, and you don’t need to have a JOB in order to become successful and unstoppable. First & Exclusive World PremiereSeries Premiere: Thu, 8 Mar @ 9PM New Episodes: Every Thu @ 9PMFollow hip hop artist, Lupe Fiasco, as he drops everything to embark on a cross-cultural journey throughout China in the Asian premiere of this brand new docu-series! Follow Fiasco as he chases his dual passions for music and martial arts, practising with Kung Fu Masters throughout the Middle Kingdom while exploring China’s fast-emerging hip-hop scene.On Wednesday, join MAG as she speaks to Grammy Award winner Lupe Fiasco, hip-hop star and martial artist where Lupe will dish out some of his experiences on the show while MAG tries and dig a lil more about him on AFO LIVE! 12noon onwards on AFO Radio! Two amazing and renowned rappers join MAG on AFO LIVE this afternoon. 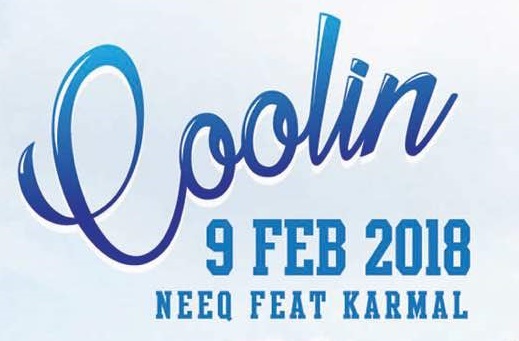 Canadian born and raised Neeq And multi talented Malaysian, Karmal The gentlement drop by the studio to speak about Neeq's new track feat Karmal called Coolin! Listen in to find out the story behind the track, the inspiration and even the track itself on AFO LIVE with MAG, Friday, 12noon LIVE! 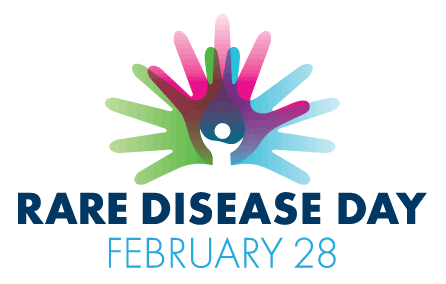 February 28th is Rare Disease Day and it aims to raise awareness with policy makers and the public of rare diseases and their impact on the lives of patients, the families and caregivers. One of the Rare Diseases around is Spinal Muscular Atrophy. Spinal muscular atrophy (SMA) is a genetic disease affecting the part of the nervous system that controls voluntary musclemovement. ... SMA involves the loss of nerve cells called motor neurons in the spinal cord and is classified as a motor neuron disease.On Wednesday, MAG speaks to Yap Sook Yee and Edmund Lim, founders of WeCareJourney and also parents of Branden, an 8 year old who was diagnosed with SMA when he was 1. Listen in as Sook Yee and Edmund share their story about their little family's journey and how they will continue to create awareness about SMA and other rare diseases on AFO LIVE! It's the season of the Lunar New Year and as we usher in the year of the Earth Dog, join our favourite Feng Shui Master, Master Kenny Hoo, the Founder and Managing Director of Good Feng Shui Geomantic Research as he walks us through some very interesting highlights for the year of the Dog! So make sure you tune in on Monday, Wednesday and Friday, during this Chinese New Year season, as Master Kenny shares with us what to expect in the year of the Earth Dog and how to enhance one's wealth, health and success throughout the year! From all of us at AFO Radio, we wish you a Happy Chinese New Year, Gong Xi Fa Cai and don't forget to join MAG as she explores the year of the Dog this 2018, with Master Kenny Hoo, on AFO LIVE! Penang born Alvin Chong started off his career in the entertainment industry when he won the Top 5 in Astro Star Quest (ASQ) 2009. 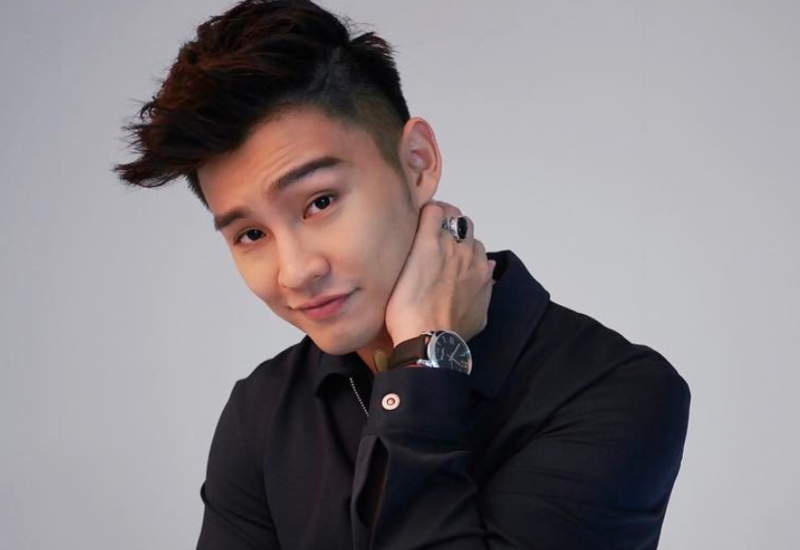 Having done extremely well in the music industry, Alvin decided to expand his portfolio into the movie industry and became an actor in several Chinese movies including The Dream Boyz, 3 Brothers & Huat The Fish, as the male lead.In October 2016, Alvin got his first break into the mass market, when he landed his first role alongside Fatah Amin in his ﬁrst Malay drama series Suri Hati Mr Pilot. His portrayal as the second lead male actor in the series received rave reviews from the public which encouraged him to continue pursuing the market, by releasing his first Malay single Lagumu. 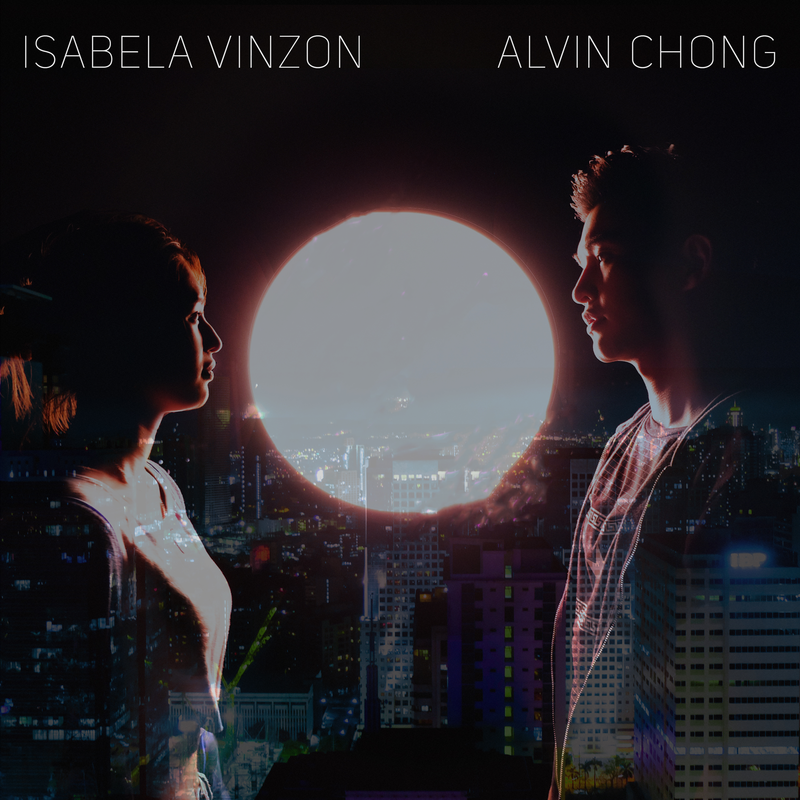 Just last year, Alvin released his second Malay single, Mencintaimu, written by singer songwriter Sid Murshid. The song tells the story of the joys and pain of loving someone and is also one of the featured songs in the OST from the much talked about TV drama series, My Coﬀee Prince; a drama series that is adapted from the famous Korean drama "Coﬀee Prince".On Friday, Alvin drops by to the studio for a chat with MAG. So listen in for more juicy details about his song, his acting career and also Chinese New Year! A familiar face in the movie industry in Malaysia, Chew Kin Wah is also no stranger in Indonesia. What started off in theatre then move progressively into movies, Chew has over 30 years of experience in the world of acting. From Kopitiam to Idaman, Belukar and many more, Chew took a leap of faith in the movie world in Indonesia with his Indonesian debut, in the hit movie My Stupid Boss. From comedy to a family drama, Chew says that he is grateful that it's been a wonderful journey in Indonesia so far. Although it's just been a few years since he dipped his toes into the industry in Indonesia, Chew has seen fruits of his labour in the form of awards for his outstanding performances. Although, he did not expect to win any award when he began working with the Indonesian productions a few years ago, he is indeed greatful to have won Best Supporting Actor at the Indonesia’s Festival Filem Tempo 2017 (FFT 2017) in Jakarta for his role as Koh Afuk in the movie, Cek Toko Sebelah.This marked his second win for his role in the comedy-drama directed by his co-star, Ernest Prakasa.In March, Chew also received a similar award at the Indonesian Box Office Movie Awards 2017 (Iboma 2017). At FFT 2017, he beat other nominees — Fuad Idris (nominated for his role in Bid’ah Cinta, Yayu Unru (Posesif), Yono Daryono (Turah), and fellow Malay-sian actor Bront Palarae (Peng-abdi Setan).Currently working on a BioPic in Jakarta, Chew drops by for a chat with MAG on AFO LIVE to speak about his achievements and his journey thus far. So listen in LIVE on aforadio! Raw Vegan Chef Yin, is on a mission to change the perception that people have about RAW food her in Malaysia. The Author of Raw Vegan Delights: Asian Edition conducts raw food demos, workshops and personal consultation sessions in Taipei, Hong Kong, Bangkok, Kuala Lumpur, Selangor, Penang and Singapore in order to spread the awareness. 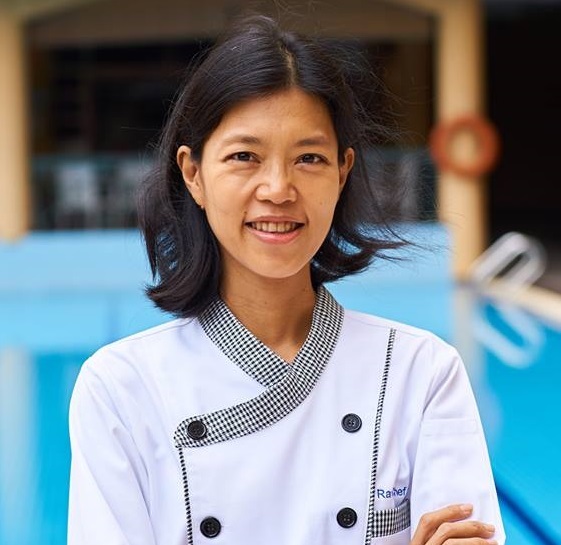 Trained at world’s first classically structured raw and plant-based culinary school, PlantLab Culinary (formerly known as Matthew Kenney Culinary Academy), Yin believes that she can change the perception that raw food is tasteless, too green and totally unappetising. She wants everyone to know that Raw Food is beautiful, yummy and super healthy too!Catch Raw Chef Yin as she drops by to the studio to speak to MAG on AFO LIVE, Monday at 12noon! 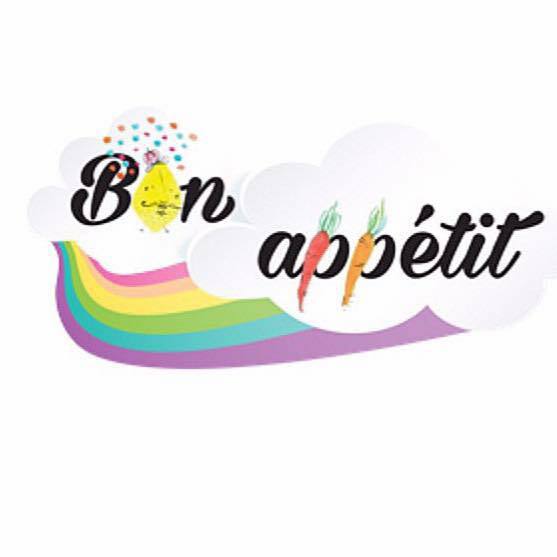 Bon Appetit Kuching is a charity mobile food truck founded by Jacqueline Chang and Lewis Fong. They provide warm meals to the less fortunate children and old folks in Kuching. With a vibrant and happy outlook on their food truck, these vivacious women, hit the streets with their team of volunteers to several areas where less fortunate school children are given a nice warm meal once a week. With the food ingredients donated by Kuchingites thru social media, Jacqueline says that this is something she set out to do because she knows how it feels to go to school hungry and not have enough to go around. Find out more about Bon Appetit Kuching on AFO LIVE with MAG, Monday, on AFO Radio. 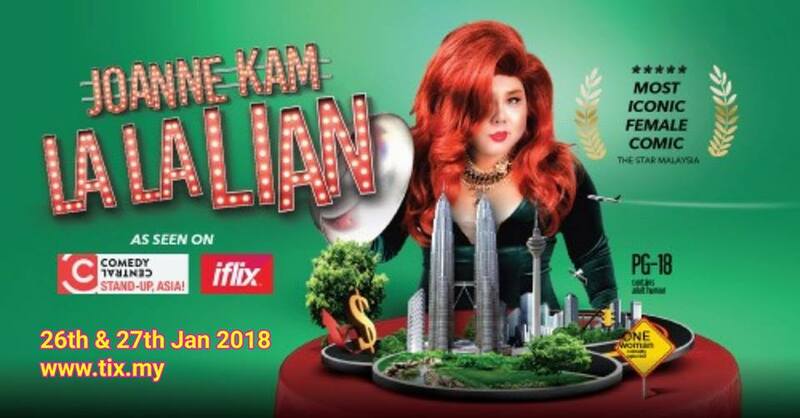 Malaysia's Queen of Comedy, Joanne Kam hits the stage this 26th and 27th January at PJ Live Arts Centre for a full on solo show after many many years. With material that revolve around her life story, this show is unlike the others! Personal, sensitive yet hilarious... Joanne dishes out her life's journey battling her weight issues, facing insecurities and being a single mom among others! Although the show is about her life's story Joanne adds that it will still be funny! However she warns fans that La La Lian is unlike her past group shows where she had many other amazing comics feature alongside with her. Joanne says that 2018 is going to be her year and she's going to make it happen! Besides that Joanne also spills the beans on what fans down under can expect from her when she heads there for her shows Laugh You Long Time in February. Sacrificing her CNY holidays with her loved ones back home, Joanne will be on the ball and at her best, entertaining in Perth and Adelaide and who knows more venues to come! So for those who have never seen Malaysia's Queen of Comedy perform LIVE ever, this is definitely a show not to be missed! Don't forget to tune in to AFO LIVE with MAG on Wednesday for an up, close and personal session with Joanne Kam Poh and to find out more about La La Lian, and Laugh You Long Time. 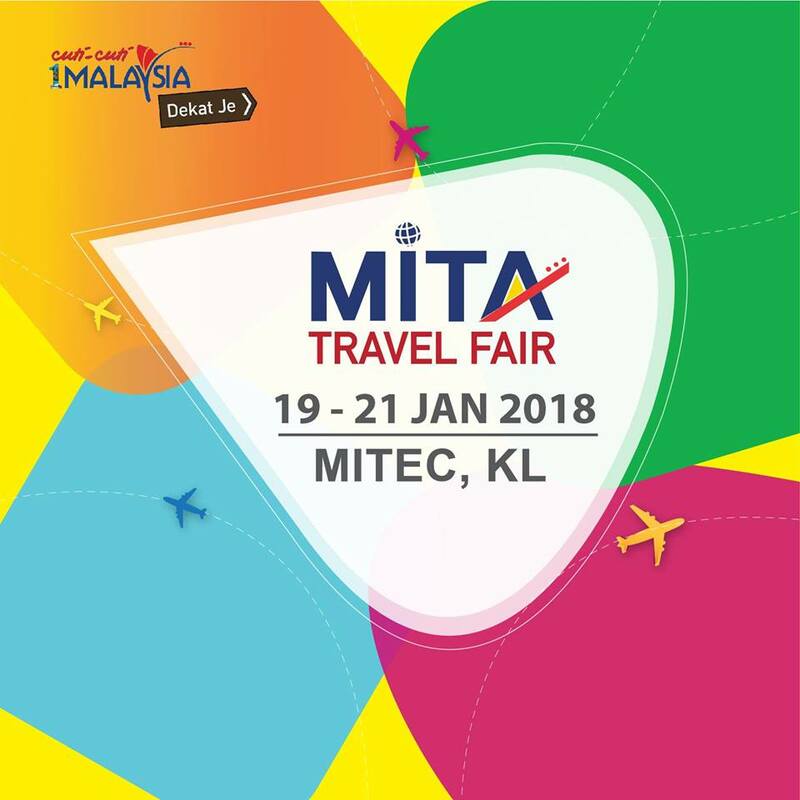 Hailed as Malaysia’s Largest Tourism Fair in the country, MITA Travel Fair 2018 is proudly organized by MITA in line with its passion for exploring the wonderful hideouts that our domestic market has to offer. With world-class destinations including the white sandy beaches of Langkawi Island to the rich history of Melaka; the food paradise in Penang to the iconic Petronas Twin Towers in the capital city of Kuala Lumpur – Malaysia indeed offers a myriad of holiday choices for the whole family.This year, MITA Travel Fair 2018 will also feature :WORLD TRAVEL FAIRMITA Travel Fair 2018 will incorporate a World Travel Fair offering amazing deals for outbound packages to many international countries giving visitors a chance to explore hassle-free international travels with the agents of their choice.The MALAYSIAN FOOD FESTIVALA much-awaited delectable and mouth-watering Malaysian Food Festival awaits visitors of MITA Travel Fair 2018 with delicious offerings of local delights. From roti canai to teh tarik; satay to Nyonya kueh....guests will get a chance to indulge in a celebration of the many cuisines available in our multi-cultural country throughout the fair.DIVE EXPODiving enthusiasts will definitely be not able to resist a pit stop at the unique Dive Expo which will be held concurrent with the MITA Travel Fair 2018. The expo is a one-stop centre for beginners to expert divers offering the latest of dive equipment and recommendations for the best diving destinations.GOLF FESTFor the latest in golfing techniques as well as expert advice on golf clubs & irons, the Golf Fest will be the perfect stop for young and old golfers alike. Look out too for the recommended driving ranges as well as golf courses for budding golfers.ECO & AGRO TOURISMCome and explore the wonders of pairing agriculture with products, services and experiences in the tourism industry.On Wednesday, join MAG as she speaks to Adam Kamal bin Ahmad Kamil, the Honorary Secretary General for the Malaysian Inbound Tourism Association (MITA) and also the Organising Chairman - MITA Travel Fair 2018. 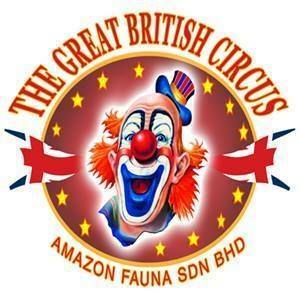 The Great British Circus is a modern circus with a fresh take on their performances and format. Relying only on God given talents to entertain, the Great British Circus keeps you glued to your seats all throughout the session even without any animal participation. Kiril Kirilov, the founder of the Great British Circus Malaysia reiterates that they do not have any animal involvement as they believe that animals have rights too! So get ready to be entertained by a modern clown, some acrobatic stunts, beautiful dancers and also the high risk globe of death! On Friday, MAG speaks more to Kiril about the Great British Circus at 12noon on AFO LIVE! Newcomer, Sophia Fredskild landed a featured singer spot with long-time producer/musician, Bo Amir’s newest project, CUURLEY’s brand new single, ‘GO’.This track is a joint-release by CUURLEY’s label, Vicious, a popular dance music label based in Melbourne, Australia as well as Paranormal Records, where Sophia has been recently inducted into.The official music video is available for viewing on YouTube. 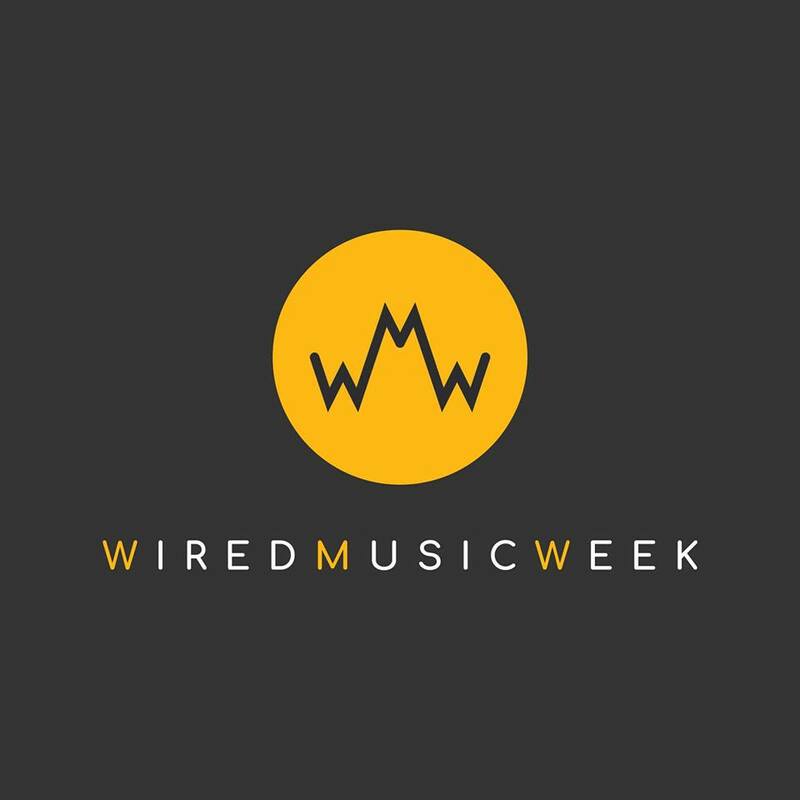 The music video features Sophia traveling from her bedroom, to an open field, to riding in a very sleek-looking Mercedes-Benz, to a campfire, to a concert where she performs and finally back in her room by going through a door that represents a gateway. CUURLEY is seen in every scene bringing to light the hook of the song, ‘I’ll follow you wherever you go’. On Wednesday, MAG speaks to CUURLEY and Sophia and discovers the story behind the song and the door! So make a date with MAG, CUURLEY and Sophia on Wednesday from 12 noon onwards! In the meantime, CUURLEY’S ‘GO’ ft. Sophia Fredskild is also available on all digital music platforms. 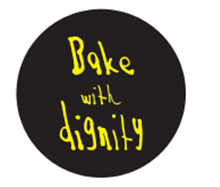 Bake With Dignity (BWD), is a project by Dignity & Services which provides paid employment for People with Learning Disabilities, especially thoses who are aged 17 and above to be able to learn and earn.On Monday, MAG speaks to Helen Teh, the Executive Director of Bake with Dignity to find out more about the initiative. 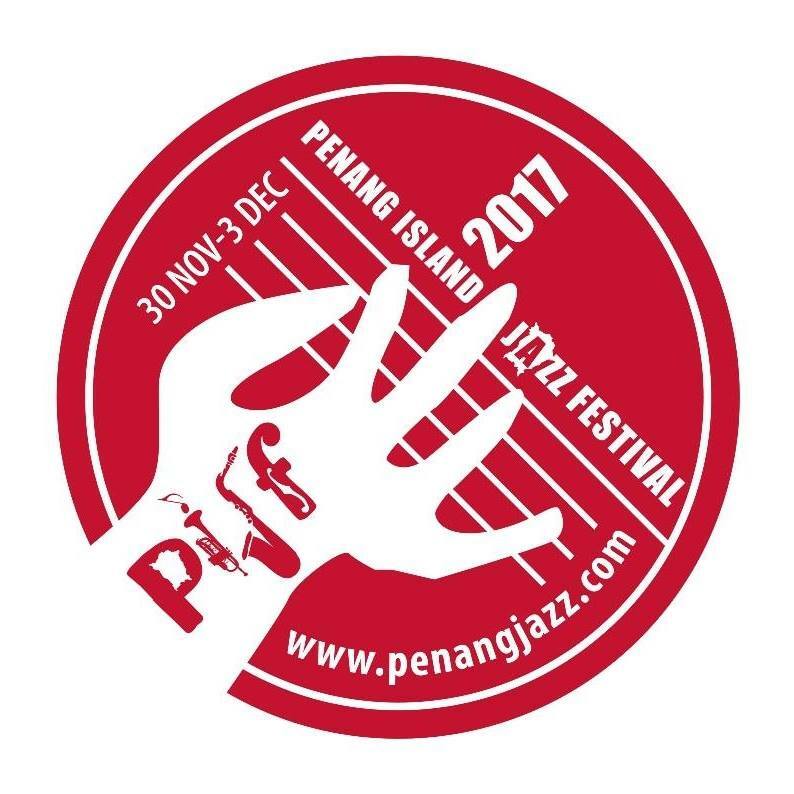 This year’s 14th edition of Malaysia’s longest running annual jazz festival, The Penang Island Jazz Festival, will be held from the 30th November to 3rd December 2017.A number of musical activities will be held in various venues on the island such as an opening performance at 23 Love Lane and an exhibition at The Black Box - Penang House of Music in Georgetown, Fringe Stages in the lobbies of Hard Rock Hotel, Penang and Bayview Beach Resort, the early morning “Sunrise@Tropical Spice Garden in Teluk Bahang and the “Jazz By The Beach” stage in the gardens of Bayview Beach Resort.Besides musical performances, there will also be workshops conducted by participating artists, the Island music forum on topics revolving around other aspects of the music industry, gallery exhibitions and the after- hours jazz jam.This year’s main stage programme showcases a diverse and eclectic line-up of performers on the “Jazz By The Beach stage” on 2nd & 3rd December 2017.The Penang Island Jazz Festival is organized and managed by The Capricorn Connection and on Monday MAG speaks to the MAN behind the festival, the Festival Director, Paul Augustin! 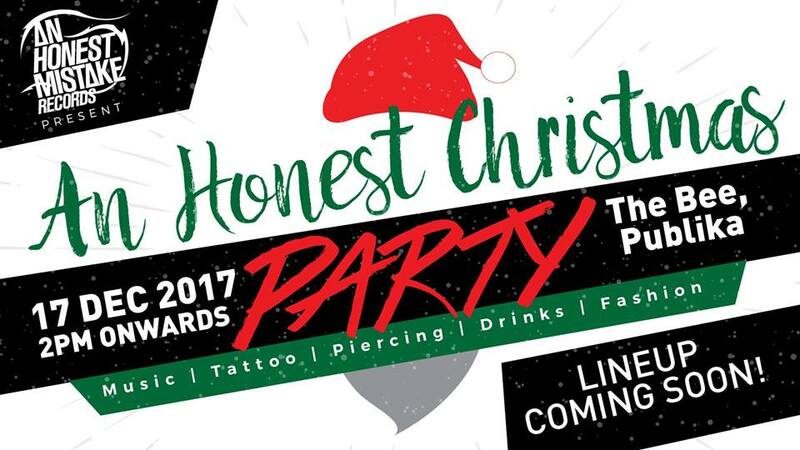 An Honest Mistake is throwing a Christmas party and it's free! Featuring some of the freshest and coolest acts who are also friends, the coolest tattoo artistes and by far the most legendary denim brand who will be a part of this super chill, super fun event. All of these happening at our favourite music venue and restaurant, The Bee. And did we mention it's ABSOLUTELY FREE? !Darren Teh, the frontman of An Honest Mistake shares more details on AFO LIVE with MAG this Friday! In the meantime, An Honest Mistake also has their own Christmas album available online. So go check it out now! Here's a track from the album. 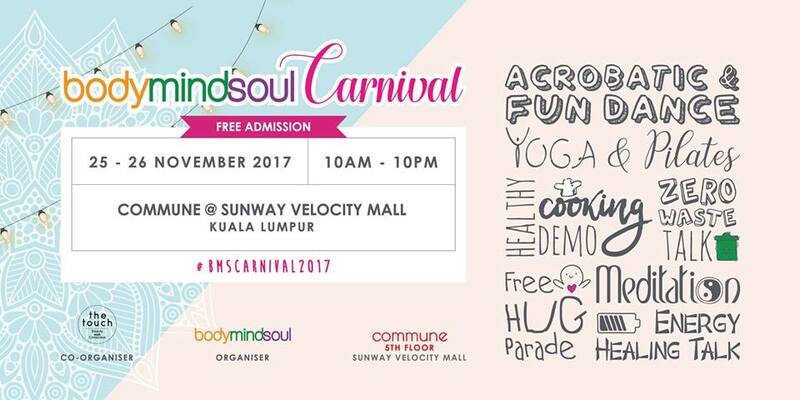 The BodyMindSoul magazine will be organising its inaugural carnival on the 25th and 26th November 2017, at Commune, Level 5, Sunway Velocity Mall, Kuala Lumpur. The theme of the carnival is Heart of Community.The carnival will engage people through activities to build appreciation of each other and Mother Nature, as well as to celebrate the abundance of their lives. The carnival will also promote the transformation of the community towards realising a world that is filled with love, joy, gratitude and harmony.In this two-day event, there will be many types of activities suitable for individuals as well as families, including but not limited to the following:* 36 booths featuring organic food and beverages, children enrichment options, natural skincare and household products, arts and crafts, alternative healing services and products. * Free experiential workshops to improve emotional well-being. * Free meditation classes to promote inner peace. * Free yoga, musical and dance activities to lighten up your mind, body and soul. * Free healthy cooking demos. * Free fun and educational children’s activities. * Latest technology to detect stress levels and health status of the body.The organisers of the event plan to send you home with lots of smiles, love, peace and happiness.On Wednesday, join MAG as she speaks more about the Carnival with the Carnival Project Leader Christina Teng and Chief Editor Yeoh Lee Lee. TripGo! is a fun walkie-talkie and GPS location sharing app that allows you to plan trips and excursions with a large group without the problems of having to call each other just to find out where they are. Tripgo allows you to locate your members via voice-communicate (a.k.a. Walkie-Talkie) in real time.A new app in the market, TripGo! is a must have! 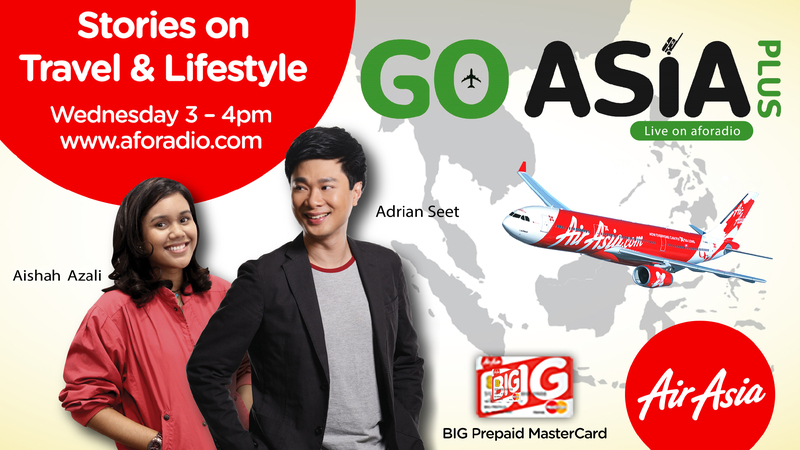 Tune in as MAG speaks to Jason Park, the co-creator of TripGo on AFO LIVE! 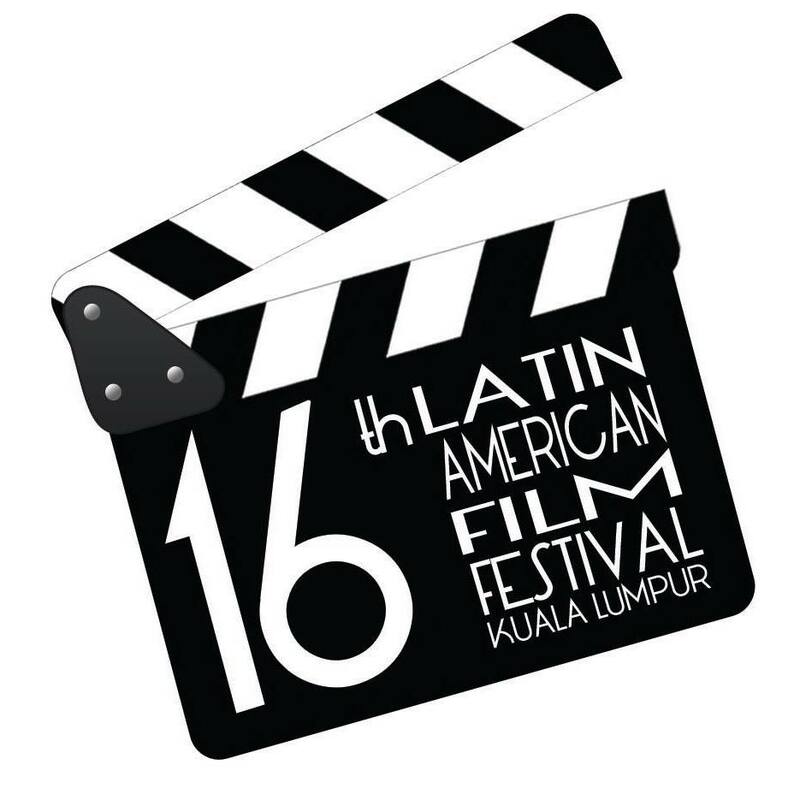 The 16th Latin American Film Festival kicked off on November 1st and will go on to November 8th. It is organized by the Latin American and Caribbean Group (GRULAC) comprising of Embassies from Argentina, Brasil, Chile, Colombia, Cuba, Ecuador, Mexico, Peru, Uruguay and Venezuela in Malaysia. The Festival will take place exclusively in GSC Pavilion KL, in one of the biggest shopping malls in Kuala Lumpur, and the public can watch these movies for FREE! The Festival offers a perfect opportunity for Malaysians to see the world through the eyes of other cultures. Each film will be shown with English subtitles every day from Wednesday 1st November to Wednesday 8th November at 9 pm, with the exception of Saturday 4th and Sunday 5th November where three films will be shown on those days at 3 pm, 6 pm and 9 pm.The show times are as follows:NOVEMBER 2015DateTimeCountryFilmWednesday1 November9pmPeruMargarita, the sweet chaosThursday2 November9pmColombiaGente de BienFriday3 November9pmEcuadorModern NatureSaturday4 November3pm6pm9pmUruguayVenezuelaSouth Africa (Guest)Anina -a mysterious round trip-The House at the End of TimeU-Carmen eKhayelitshaSunday5 November3pm6pm9pmCubaBrasilChileCuba LibreThe man from the futureAlmaMonday6 November9pmCosta RicaA ojos cerradosTuesday7 November9pmMexicoIlusiones S.A.Wednesday8 November9pmArgentinaInseparablesOn Friday, MAG speaks more to the Ambassador of Mexico to Malaysia, H.E Carlos Felix Corona about the Mexican movie Ilusiones S.A which will be shown on the 7th Nov and also shares with us a lil more on the 16th Latin American Film Festival. 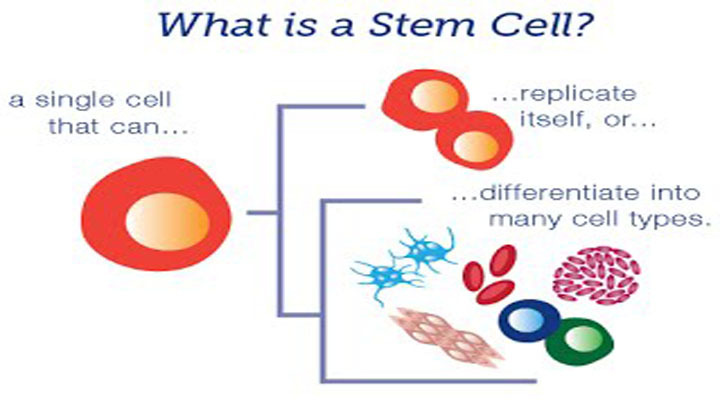 In todays world, the term Stem Cells are often heard but seldom understood. It's beneficial to the human race, however with lack of awareness, many are misinformed about Stem Cells. So on Wednesday, MAG speaks to Associate Professor Dr Angela Ng, the Head of the Tissue Engineering Centre, at UKMMC to find out more about stem cells, it's benefits, and the myths that surround it. Amrita Soon started creating music as a way to drift out from the chaos of life and has since garnered a small following online and also through her live performances. Amrita released her first EP ‘Clues’ in December 2014 and just released her brand new single, 24 years. On Friday, MAG gets to know Amrita a little bit more, and the two speak about Amrita's career as a singer-songwriter, a part time ballet and ice skating instructor and her plans for the future. With a game and a song in store, the show will surely give Amrita fans an insight to this beautiful singer. In the meantime, feast your eyes and ears on her latest single, 24years. IRONMAN® returns this year to Langkawi with two races IRONMAN® Malaysia and IRONMAN® 70.3® Langkawi. The races are set to take place on the same day on 11th November 2017 in Langkawi Island, the Jewel of Kedah.Athletes will complete a 3.8km swim along the Pantai Kok pristine white sandy beach and crystal blue waters of the Langkawi UNESCO Global Geopark, then proceed to the two-loop 180km bike course through the picturesque view of what Langkawi has to offer. Afterwards, the athletes will take on the 42.2km run course that takes participants around the core of Langkawi Island. IRONMAN 70.3 Langkawi will give athletes the opportunity to race on the same course as they will cover half the distance (1.9km swim, 90km cycle and 21km run). In the studio with MAG today, is Ahmad Fadzil Samsudin, a 65-year-old Malaysian who is a first-timer for IRONMAN Langkawiand also the second oldest Malaysian to participate in IRONMAN Langkawi 2017. The very first time in Hot Wheels® history they'll be bringing together Hot Wheels® challengers from six (6) countries across Southeast Asia for an exciting championship to compete for the first Hot Wheels Champion title and Hot Wheels prizes up to USD 2,000.Happening at LG2, Blue Concourse at Sunway Pyramid on the 21st October 2017, 12 little Hot Wheels challengers aged 5-12 years old together with their moms are finalists representing their home countries and will compete for the 2017 HOT WHEELS® epic CHAMPIONSHIP title.Every little Hot Wheels challenger and his mom will have to embrace 3 different challenge zones –Challenger Zone, Track Builder Zone and Epic Loop Zone during the finale which is designed to test skills, precision and teamwork.The first challenge zone - the Challenger zone, is designed to test skills.The second challenge zone - the Track Builder Zone, is designed to test teamwork.The third challenge zone, the outrageously cool giant Epic Loop, is designed to test precision.On Tuesday, Hot Wheels had a friendly match between celebrity influencers, Dr Jezamine Lim Iskander and her son Zander, and Shaine Wong and son Jacob. Special token of appreciation was given to Team Dr. Jezamine Lim Iskander.Special token of appreciation was given to Team Shaine Wong.On Friday, MAG speaks to Dr Jezamine Lim Iskander, Shaine Wong, and Country Manager for Mattel Southeast Asia, Mr. Ivan Franco. To find out more information about the Hot Wheels’ first Southeast Asia Championship 2017, please visit http://edm.brandthink.my/t/r-l-jlutuux-kthuhutyli-j/. 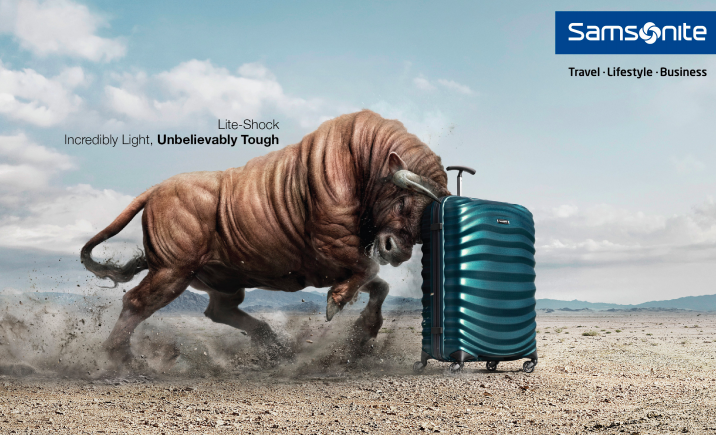 This October will see Samsonite Malaysia embarking on an extensive monthlong advertising campaign to highlight the innovative features of the Lite-Shock: the lightest Samsonite hard side collection to date. Shockingly, the Lite-Shock cabin size Spinner 55 weighs only at an extraordinary 1.7kg. This lightness is achieved by using a combination of Curv® material, which is exclusive to Samsonite in the luggage arena, and a selection of components which have been engineered for maximum strength and minimum weight.Throughout the brand’s history, Samsonite has paved the way for luggage design and the Lite-Shock collection is no exception.On Wednesday, Satish Peerubandi the General Manager of Samsonite Singapore and Malaysia drops by to the studio to speak to MAG about the Lite Shock - the lightest Samsonite hard side collection to date. 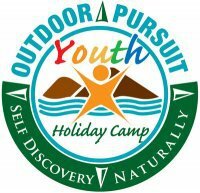 The Outdoor Pursuit Youth Holiday Camp (OPYHC) is the first of its kind organised by the Selangor Branch of the Malaysian Outward Bound Youth Association (MOBYA).Camps are annually organised by a team of trained volunteer instructors who share a passion for the outdoors and reaching out to youths. The number of participants has grown since the first camp which was held in 2002 with a total of 69 participants to almost 200 participants for the year 2008. However the numbers of participants are kept at a maximum number of 150 participants per camp annually in order to maintain quality control and instructor to participant ratio balanced. Locations for the camps would usually vary as there would be repeat participants and to keep things interesting. On Friday afternoon, MAG speaks to Song and Andrew, the co-founder, facilitators and instructors for the Outdoor Pursuit Youth Holiday Camp (OPYHC). Vocal Fest (also known as VoxFest) Malaysia is a platform for singers to meet together and learn from practitioners in the music industry. It is an experience that takes aspiring singers to a whole new level; giving them a glimpse into the workings of the industry and an opportunity to collaborate with diverse talents from all over the country. Presented by Four Forty Records in partnership with Rockschool Malaysia #VoxFest2017 which will run from the 20th - 22nd Oct 2017 is now open for video entries!!! And this is how you can start... On Wednesday, MAG speaks to Juwita Suwito, singer-songwriter and co-founder of Vocal Fest to find out what's in store for VoxFest2017.In the meantime, if you love to sing, and you're looking to grow in the industry, then send in your videoa and check out http://www.fourfortyrecords.com/myvoxfest/voxfest2017 for more information! #MYWritersFest (previously known as #MYWritersBookFest) is a month-long festival in October that celebrates local writers and their writings, where writers meet readers in intimate settings, and writers are given the opportunity to showcase their creative works. A series of Meet & Greet sessions, a mass book launch, book sales, readings and signings are held at various locations in Malaysia. The public is invited to meet and mingle with local writers, find out about their writings and publications, buy their books or bring your own copies, take wefies and get autographs!Organised by the Malaysian Writers Society, the whole month of Oct is packed with activities for readers and writers alike! So here are some of the programmes lined-up for the fest this year:FESTIVAL KICK–OFF & MASS BOOK LAUNCH1 Oct (Sun, 2pm) – Main Stage, Wiken KL, Level 2, Sunway Putra Mall, Kuala LumpurMEET & GREET SABAH7 Oct (Sat, 2pm) – Jesselton Artisan Market, The Walk, Riverson, Kota KinabaluNUTMAG LAUNCH + MEET & GREET PENANG 15 Oct (Sun, 2pm) – The Art Assembly, George TownMEET & GREET PERAK 21 Oct (Sat, 2pm) – Sharpened Word, Old Andersonian Club & Café, Jalan Hospital, IpohMEET & GREET SARAWAK 21 Oct (Sat, 8pm) – Word Of Mouth KCH, Le Café Rouge, KuchingMEET & GREET PAHANG 28 Oct (Sat, 2pm) – BACA – The Reading Room & Cafe, TemerlohFESTIVAL FINALE – MASS MEET & GREET 31 Oct (Tues, 7:30pm) – Commune @ Sunway Velocity, Kuala LumpurBesides that, a series of professional and practical workshops/trainings are also held to equip and enrich the journey of a Malaysian writer. On Friday, MAG speaks to the President of the Malaysian Writers Society, Gina Yap Lai Yoong about the MY Writers Fest 2017! GREEN LIGHT FOR THE SOS CHALLENGETrio team from HELP University awarded best idea to help make Malaysian roads saferTune Protect, a leading digital insurer, announced Team Green Light as the winner in its Safety on Streets (SOS) Challenge. The team from HELP University proposed Walk Tune as a simple yet effective navigation service aimed at guiding pedestrians from point A to point B through the safest routes on foot. The team won the grand prize of RM5,000 cash and each team member received a 1-year personal accident insurance and 3-month internship with Tune Protect.With prevention as the best form of protection, Team Green Light’s idea is targeted at reducing the high rates of road fatalities in Malaysia which affect not only motorists but pedestrians as well.“We are so excited and also surprised that we won as we initially started the team just to have fun,” said James Lau, 18, representing Team Green Light with his two teammates Nicole Kiew, 18 and Max Yong, 18. “Being frequent pedestrians ourselves, we felt this was an app that was very important and relatable to people, including tourists. We will definitely go on to join more competitions like this as it gives us the opportunity to learn new things and meet people we would not have met before.” Coming in at second place was Team Hoff from KDU University College whose app idea limits a driver’s phone usage while driving, which is a key factor in many road accidents. In third place, Team Carma from Multimedia University presented a concept that combined three elements - a game, rewards and guardianship through parental notification - into a single app. Their creativity won each team RM3,000 and RM2,000 respectively, while each team member also received a 1-year personal accident insurance and 3-month internship with Tune Protect.The SOS Challenge, launched in June, was developed in partnership with the Malaysian Global Innovation & Creativity Centre (MaGIC), the Road Safety Department Malaysia (JKJR), and Malaysian Digital Economy Corporation (MDEC). The Challenge, open to tertiary students in Malaysia, called for unique app concepts targeted at improving road safety in Malaysia.For more information about Tune Protect SOS Challenge, please visit http://cr.tuneprotect.com/In the meantime, on Wednesday, join MAG as she speaks to Team Green Light about their victory and inspiration in creating the winning app! 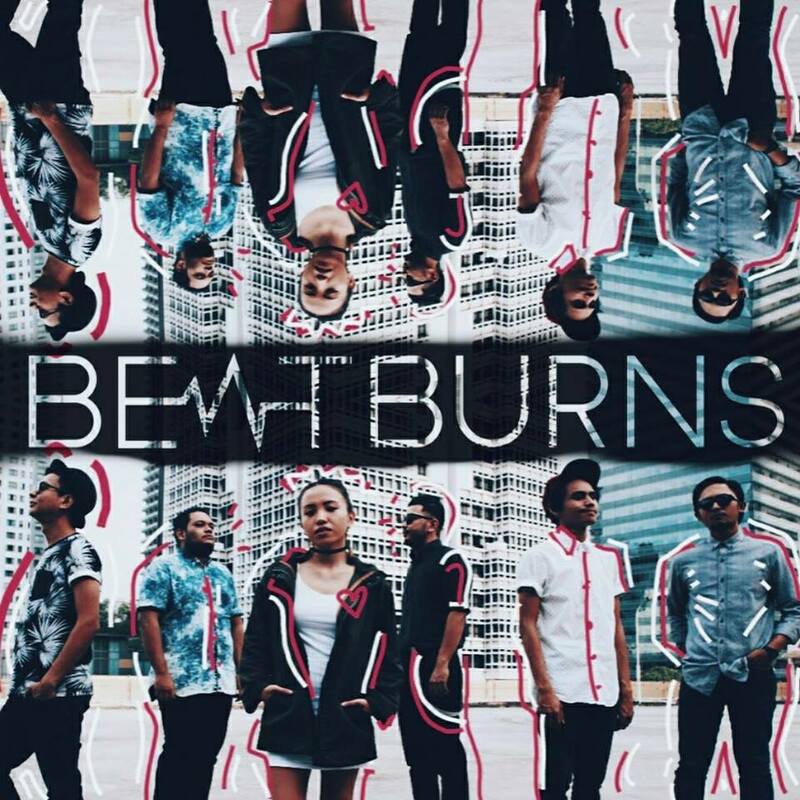 Beatburns is an alternative indie band from Kuala Lumpur. Consisting of 6 members, the band consists of Lynd (vox), Moe & Zik (guitars), Aron (bass), Eman (Synth) and Gast (drums). On Friday, MAG speaks to Moe and Lynd about the release of their latest album, Rebirth and Beatburns' journey thus far! Tune in to AFO LIVE with MAG from 12noon onwards. The Brand Stickman is calling on all children age between 4-12 to join in the Largest Participation of Children In a Hand Washing Educational Awareness SessionPart of The Imaginarium by Stickman, this attempt hopes to inculcate the habit of washing hands the fun, simple and effective way, that will remain in the minds of children for a long long time! 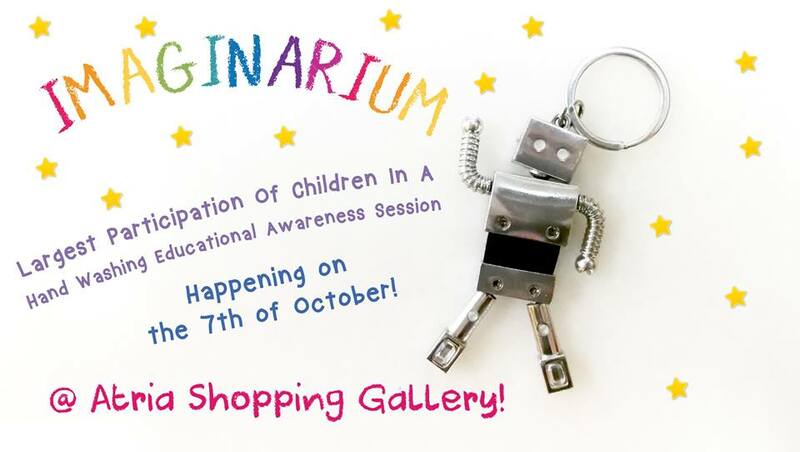 The Imaginarium, a place where children can simply imagine and have unlimited fun takes place from the 6th October - 8th October at the Atria Shopping Gallery. MAG speaks to The StickMen, Kyle and Terrence, to find out more about The Imaginarium! Nasi Lemak is a staple in Malaysia. A humble dish which comes with a variety of side dishes, Nasi Lemak has a magic spell that keeps everyone happy! On Monday, MAG speaks to Govin and Jason, the founders of The Nasi Lemak Guys. 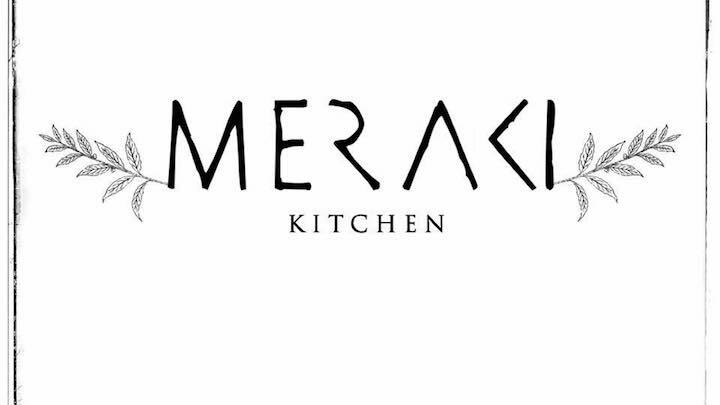 With the idea of presenting a non halal version of Nasi Lemak, these guys embark on their quest to add a twist to the Nasi Lemak side dishes. With pork added to the menu, patrons are now able to have pork rendang with their plate of nasi lemak. Operating only at night, these guys are your answer to nasi lemak for dinner and supper or to kick off the weekend. Come find out more about the Nasi Lemak Guys on AFO Radio on Monday at 12noon! 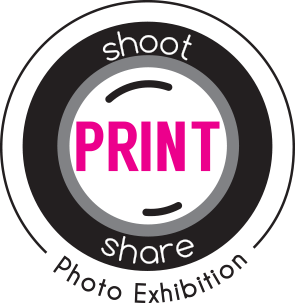 Fujifilm “Shoot.Print.Share” Photo Exhibition 2017 is the first largest photo exhibition in Malaysia and is opened to everyone. A National Community Program initiated by Fujifilm Malaysia, Fujifilm aims to raise awareness among the public and bring people together to share their stories and memories of Malaysia through photography. This exhibition will act as a reminder for Malaysians to appreciate the values of photographs.On Thursday, in conjunction with the Fujifilm “Shoot.Print.Share” Photo Exhibition 2017, MAG speaks with the Managing Director of Fujifilm, Mr. Yoshitaka Nakamura. The world's leading and trusted source of advice for education, career and migration to Australia, Blue Education Australia is on the lookout for potential candidates looking for an opportunity to grow, and reside in Australia through education.With a bagful of scholarships to offer deserving Malaysians, Blue Education Australia is inviting anyone with the passion to further their studies down under to try their hand at getting these scholarships, given by some of the most prestigious schools in Australia.Sonia Ong, the executive director of Blue Education Australia drops by to speak with MAG on the lifestyle and the opportunities that lie ahead in Australia for Malaysians. On Friday, MAG meets up with EB Duet at the CLoser Kitchen & Espressor Bar for a chat about their latest music video, Come With Me. Come With Me which was produced and written by both Billy and Eve together, collaborated with Air Asia and had their music video aptly shot to promote 10 ASEAN countries in conjunction with Air Asia's celebration of ASEAN 50. So find out about their journey to these 10 countries and their experiences all on AFO LIVE on Friday afternoon. R U Tough Enough? : The Ultimate Edition is back again to search for Malaysia’s toughest!On Wednesday, join MMA champion Peter Davis, the returning ambassador of KIX HD’s R U Tough Enough? (RUTE), DG Leoniel a flight attendant turned pastry chef who proved that looking lean doesn't mean that one isn't tough. 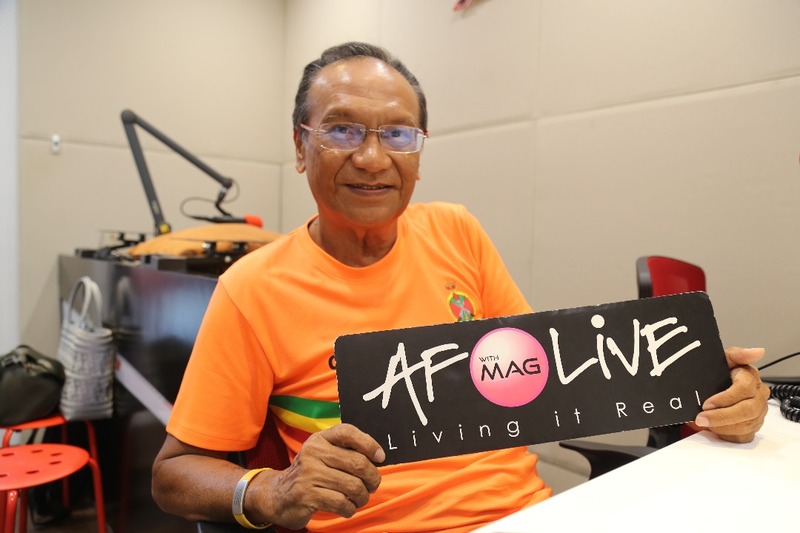 Leoniel is the (2015 RUTE winner) and Benny Yeoh, a fitness trainer who believes that age is not a problem and lives by the motto that one should "try everything" and "you never know until you take the first step" (RUTE 2016 winner) on AFO LIVE with MAG. Cake Together is an online hassle-free cake delivery service that delivers awesome cakes to your doorstep in the quickest time of just 4 hours.With the aim to share love and happiness through cakes, Cake Together provides an extensive range of cakes on their website www.caketogether.com to sweeten up your day! On Monday, MAG speaks to Brent Chan, co-founder of Cake Together and finds out more about this amazing initiative! Fresh from her concert last August, Sheila Majid drops by to aforadio to chat a little bit about her latest single Boneka and her plans for 2018. It's the week leading to Merdeka and as we prepare to celebrate our nation's 60 years of independence, MAG speaks to 6 celebrities on Merdeka Moments... Catch these celebrities answer a list of 6 things all uniquely Malaysian! On Monday, MAG speaks to dancer, performer and the founder of the Sutra Foundation, Datuk Ramli Ibrahim. On Tuesday, MAG speaks to Back 2 Basixx, Malaysian accapella band. On Wednesday, MAG speaks to Dato' Sheila Majid, Malaysia's Jazz Queen, performer and singer-songwriter. On Thursday, MAG speaks to EB duet and Beverly Matujal. And on Friday, MAG speaks to Niki Cheong, writer, author, speaker. Merdeka Moments on AFO LIVE with MAG - 28th August to the 1st September 2017, only on AFO Radio. 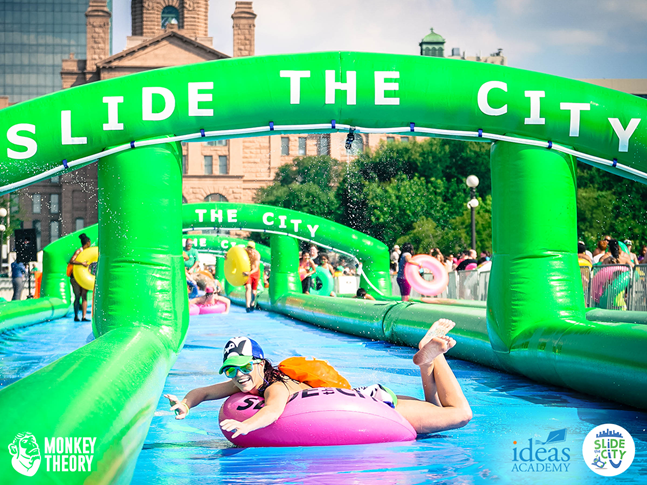 The Interstate Ride is back again! And this time they are taking East Malaysia by storm! Happening in Kuching, Sarawak, and covering a distance of 470KM within 3 days, crossing tough terrain and a river, this will test the riders like never before! On Tuesday, MAG speaks to James Bak, the event director together with the ride ambassadors, Katie, Sarah and Agnes about the Lee Onn Insterstate 2017, The Sarawak Edition! The Federal Hotel Kuala Lumpur marks another milestone this year as it celebrates its 60th Diamond Jubilee years in the Malaysian Hospitality industry, coinciding with the nation's 60th Merdeka Celebrations. As part of the Federal Hotel’s Merdeka celebrations, The Federal Kuala Lumpur and Bukit Bintang Event Spaces together with Modern Nanyang jointly launch the Modern Grand Hotel, a Storytelling Live Concert on Monday, 7 August 2017 at The Verandah lobby lounge at The Federal Kuala Lumpur. The Federal Kuala Lumpur is more than just a Hotel. It’s a piece of Malaysian History & Heritage, and it’s the Hotel for Merdeka. The Federal Hotel proved to be an icon and inspired others to venture into the Malaysian tourism and hospitality industry. Throughout its 60 years, The Federal Kuala Lumpur have always been at the forefront in the hospitality industry as they were constantly on the lookout for the creation and evolution of the hotel products and services in order to meet the wants and needs of today’s business and leisure travelers. Throughout the 6 decades, the Federal Hotels International (FHI) and The Federal Hotel Kuala Lumpur maintained their belief and commitment to providing their guests with excellent quality hotel accommodation and consistent services, as well as continuous commitment to meet all the challenges locally and globally. In conjunction with the hotel's 60th anniversary, combining the historical elements and its nostalgic value, the team decided to coin the theme of the storytelling concert to "Modern Grand Hotel". Modern Grand Hotel is a storytelling musical concert with cast of local established musicians and actors. As the title goes, narration and storytelling will be a major element of this concert. The lineup includes Nanyang Songstress - Yudi Yap, renowned Chinese dialect conservator Chong Keat Aun, actor Goh Wee Ping, from NTV 7’s Age of Glory II, award-winning acclaimed theatre director Loh Kok Man with multitalented music director Tay Cher Siang leading WVC Jazz Ensemble collaborating for this event. This extraordinary concert will be presented in multi lingual environmental theatre by Modern Nanyang. Based on the entertainment scene surrounding the Federal Hotel in the era of 1950’s to 1960’s. Yudi will sing and act in a story told in classic songs of Nanyang heritage. Chong Keat Aun in narration will speak of the long-forgotten stories of the entertainment scene at that time. 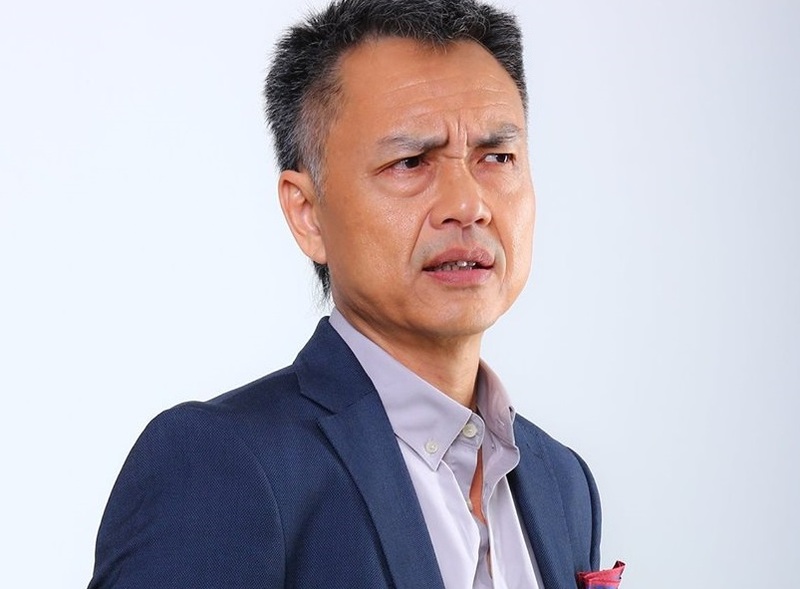 Goh Wee Ping will play multiple characters, telling the retracting the stories of Kuala Lumpur of the past till present time. These elements will be consolidating by Director Loh Kok Man to present them theatrically. The songs will be rearranged in Nanyang flavor by Musical Director Tay Cher Siang, performing live with Jazz ensemble WVC. On Monday, join MAG as she speaks to Ms. Nancy Huang, the Room Divisions Manager for The Federal Hotel Kuala Lumpur and Ms Yudi Yap who will be part of the Modern Grand Hotel performance. In conjunction with the Blossom Arts Festival, supported by the Malaysian Chinese Culture and Arts Consultative Council (MCCACC), Sutra Foundation presents Odissi Dancing Sutra in this second edition of Blossom Arts Festival Malaysia in 2017.Dancing Sutra, Sutra's offering to the Blossom Festival, will feature five highlights from its Odissi repertoire (duration 1 hr 20 mins without interval) specially commissioned and directed by its artistic director, Datuk Ramli Ibrahim.Established in 1983 by Ramli Ibrahim, Sutra Dance Theatre has groomed a generation of Malaysian dancers and has taken original Malaysian works to reach out to national and international audiences, promoting the cultural diversity and vibrancy of Malaysian dance.On Friday, MAG speaks to Datuk Ramli Ibrahim, the founder of Sutra Foundation. 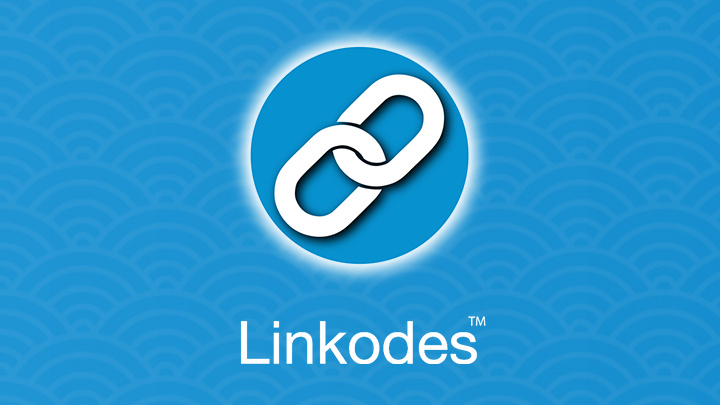 Ever imagine how to make full use of your name cards and manage your contacts more efficiently?Introducing Linkodes, a Fully Digital Business Card App that allows users to create your own digital business cards.How Linkodes work:– Register an account, fill up your personal details, choose a template and create your own e-business card.– Choose name card background from templates & upload your own logo and profile picture.– A fully digital business card will be created.– Share your virtual name cards through social networks such as Facebook, Whatsapp, WeChat, etc. and merge in data effortlessly.– You can always edit & decide which fields of information to share with whom on your cards.– Exchange your name card with others through a QR code, with the convenience of a one-touch button. – The system will then auto-sync and instantly update all the changes you've made in your business card to ensure your contacts have your latest details.⁠⁠⁠⁠On Wednesday, MAG speaks to Eden Yap, founder and creative director of Linkodes on AFO LIVE. Tahir Hussain started off his business and earning his first million at the age of 27.Tahir gained substantial knowledge and experience throughout his immense professional wealth creation where he shares through his highly successful signature workshop called "The Art of Closing" and he has helped networks worldwide to increase sales of up to 300% within just 30 days!On Tuesday, MAG speaks to Tahir about wealth creation and gets a tip or 2 to succeed in the industry. It's Monday and it's all about food and today we talk to Mark Felix, owner of Makan House, Bangsar. With a variety of food available, patrons are spoilt for choice and are often left over indulging in truly authentic, finger licking delicacies. 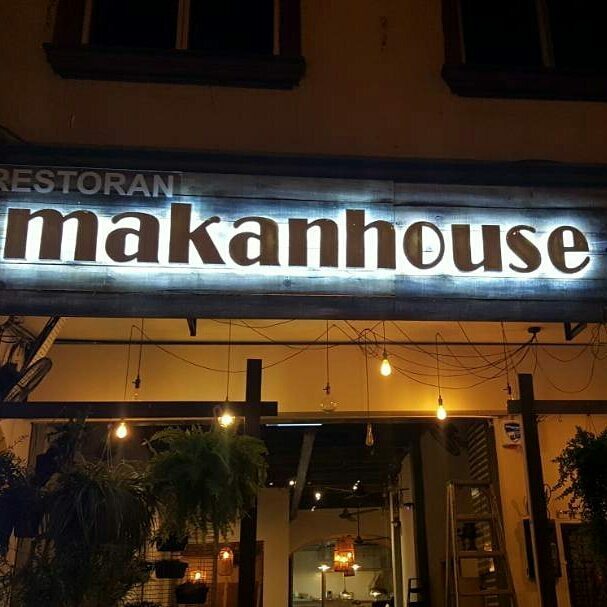 So listen LIVE on Monday and find out more about Makan House, Bangsar. Returning for its 3rd year, the Butterworth Fringe Festival is a vibrant, free and public street event celebrating the arts, culture and heritage of Butterworth.Held concurrently with the George Town Festival, this weekend will see a whole lot of exciting, family friendly, acrobatic, comedy shows and cultural performances for everyone.On Friday, MAG speaks to Murali Ram, the Programme Director of Think City's Northern Region - for George Town and Butterworth about the Butterworth Fringe Festival. 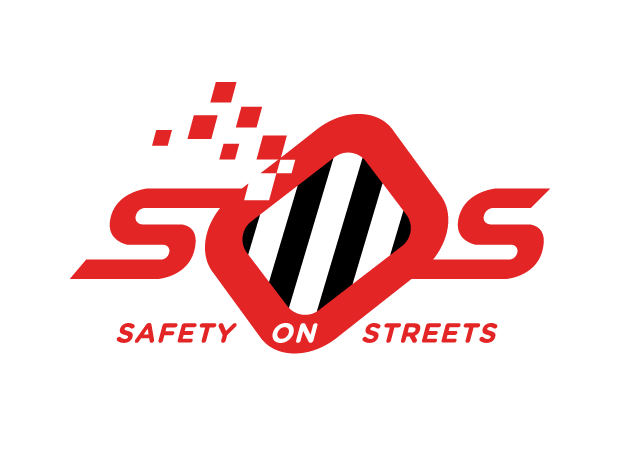 SOS FOR SAFETY ON STREETS In partnership with the Malaysian Global Innovation & Creativity Centre (MaGIC), the Road Safety Department Malaysia (JKJR), and Malaysian Digital Economy Corporation (MDEC), the Tune Protect SOS Challenge takes a stand for improved safety for all road users – including pedestrians. The Challenge is open to tertiary level students of all backgrounds, calling for unique concepts of road safety applications that resonate with the younger generation, with the intention to develop the idea into applications in the future. Participating teams must be able to articulate how their ideas would: elevate awareness of road safety issues or cultivate behavioural changes; stand out among existing offerings; and be user-friendly. Students who are interested to do their part can sign up for the SOS Challenge online at cr.tuneprotect.com. 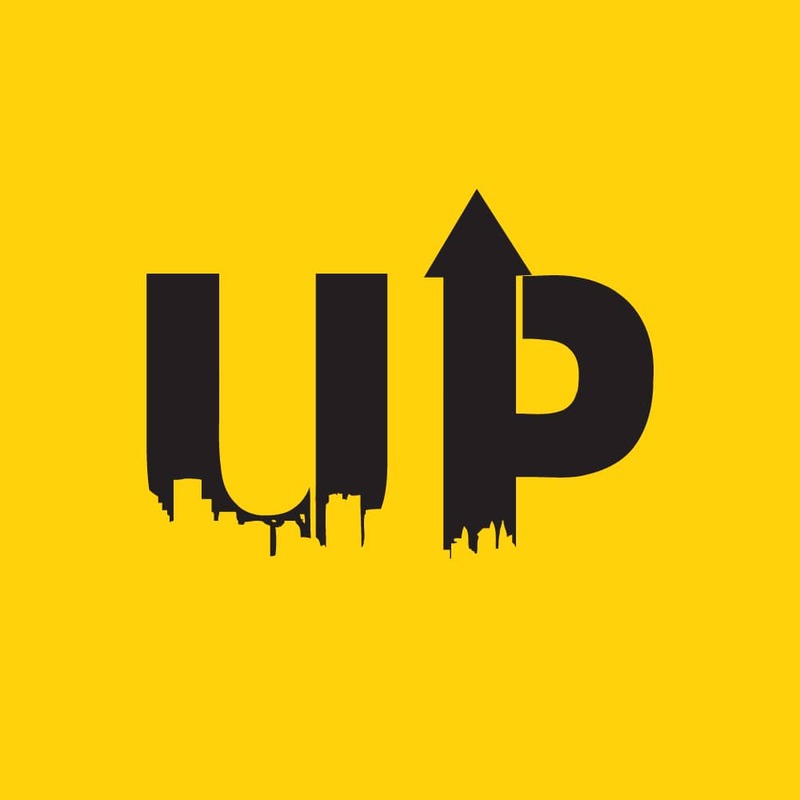 To assist students with idea conceptualisation, Tune Protect organised an INSPIRE Session on 15 July, an exclusive kick-off workshop with two distinguished speakers: Jason Lo, CEO of Tune Talk, and Captain K Bala, Director of Code Red Survival Academy. Their combined expertise will give participants valuable insights on how to think like an innovator, as well as practical tips on survival skills for all road users, which will aid them in ideating their road safety applications. Seats at the INSPIRE Session are FREE. However, they are limited and registration at cr.tuneprotect.com is on a ‘first come, first served’ basis.“Being a leader in digital insurance, with youth empowerment as a key focus of our corporate mission, we chose to champion a digital innovation initiative that reaches out to young people in a meaningful way, inviting students to channel their creativity to saving lives on the road,” said Razman Hafidz Abu Zarim, Group Chief Executive Officer, Tune Protect Group Bhd. “The SOS Challenge is aimed at providing a platform to enrich the learning experience for students, who will be exposed to the foundations of creative processes like ideation and innovation in the digital space, and guided in ways to apply this knowledge for the betterment of society. We hope these skills and the knowledge gained will also help them in their future endeavours.”“Road safety is everyone’s responsibility, and any effort to spread awareness is greatly welcomed. We are happy to see that companies like Tune Protect are getting involved in this area, which is the reason why we are supporting this effort,” said YBhg Dato’ Rosli bin Isa, Director General of JKJR. “This Challenge is a good way to engage with young people, as they represent the highest number amongst road fatalities.”Similarly, the spirit of the Challenge is also aligned with the aims of MaGIC, which is to foster a supportive environment in Malaysia for tech-driven startups.“Through entrepreneurship, creativity and innovation, countless opportunities are opened up for future generations. Hand-in-hand with education, this enables individuals, as well as the nation, to remain competitive in a rapidly changing world,” explained Ashran Dato Ghazi, CEO of MaGIC. “This Challenge is a worthy initiative that encourages students to direct their efforts towards a serious issue like road safety.”On Wednesday, MAG speaks to Yap Hsu Yi, Head of People & Culture, from Tune Protect Group Bhd about the challenge and its hopes for the future of road safety! 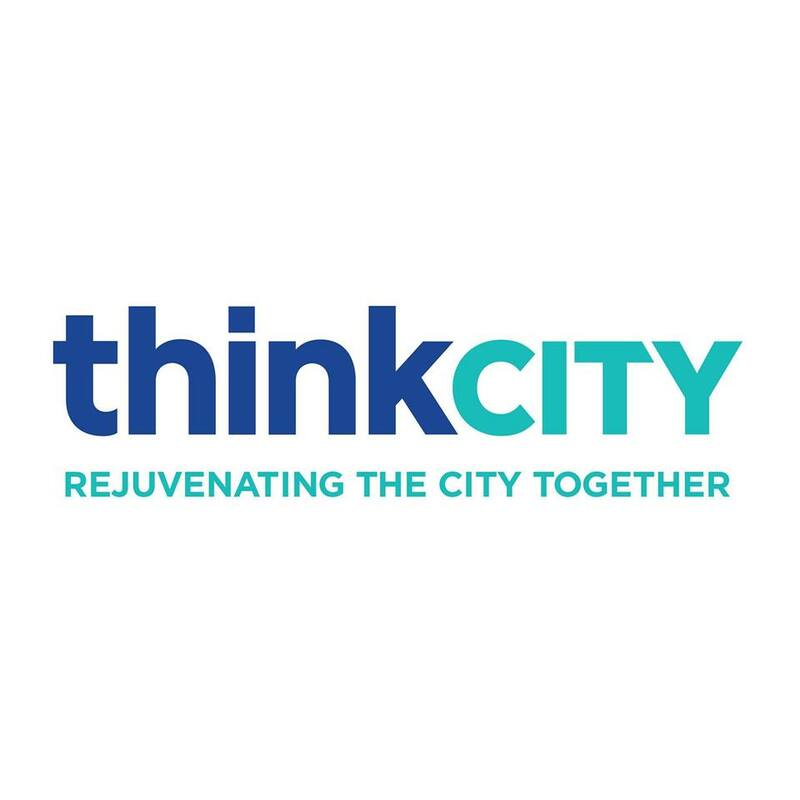 Think City is a community-focused urban regeneration organisation that aims to create more liveable, resilient and people-centric cities.Think City is a wholly-owned subsidiary of Khazanah Nasional Berhad and funded by Yayasan Hasanah. Established in 2009, its first task was to rejuvenate the historic city of George Town, Penang. The success of this led to the expansion into 3 other cities, Butterworth, Kuala Lumpur, and most recently Johor Bahru.Today, Think City works closely with local governments, international agencies and various local communities, building effective partnerships and enhancing capacity along the way. Through this, we hope to be able to deliver long-term holistic and sustainable solutions for generations of today and tomorrow.On Wednesday, MAG speaks to Duncan Cave of Think City to find out more about these sustainable solutions for our cities, on AFO LIVE! Aisyah Aziz kicked off her musical career after placing 6th in Akademi Fantasia. Since then Aisyah has released 3 singles in the past years and have recently collaborated with Haikal Ali for Senyum Saja.Aisyah, not a stranger to the scene has won many awards here in Malaysia as well as in Singapore and on Friday she drops by for a chat with MAG on AFO LIVE! The Kota Kinabalu Jazz Festival 2017 (KKJF) is in its 11th edition this year. 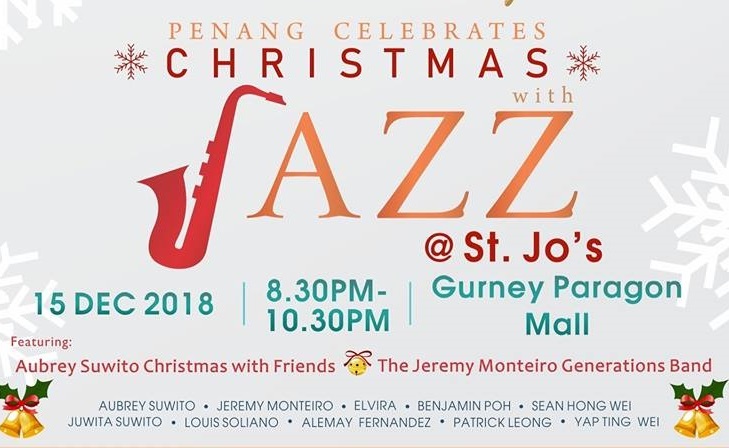 The annual fund-raising jazz extravaganza is jointly organised by the Rotary Club of Kota Kinabalu (RCKK) and the Society of Performing Arts Kota Kinabalu, Sabah (SPArKS). Staged in the picturesque nature city of Kota Kinabalu, Sabah, the jazz festival brings together a musical melting pot of talents from around the world.Making the line-up for the exciting two-night concert are three international bands and musicians, together with nine award winning Malaysian talents and bands. Famous Malaysian celebrity TV host & emcee, Sabahan’s Daphne Iking, is back to emcee for this year’s festival.Among the list of entertainers at this years edition of the KK Jazz Festival are... On Friday MAG speaks to Roger Wang, the co-organising chairman of the KK Jazz Festival. 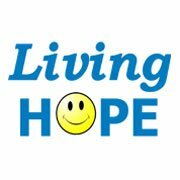 CHILDREN’S NGO Living Hope is marking its first decade this year. Over the years, Living Hope has helped thousands of poor children of all races through programmes such as One Egg-One Child, Educate a Child, Channel of Hope and Festivities-on-Wheels and has also set up 110 mini toy and book libraries as well as five education resource centres in 14 states since July 2007.To mark their 10th anniversary, there will be a charity carnival on July 15 at The School, Jaya One in Petaling Jaya from 11am to 5pm. One can expect a whole lot of great food, fun and games, musical performances and a variety of products for sale at 70 stalls gathered under 1 roof! On Wednesday MAG speak to Living Hope founder, Dr. Peggy Wong. Social media is a huge factor in most of our lives. Connecting social media to the longest most effective marketing tool = the t-shirts, comes the good people of the SocialNetworkMerchandise.com. 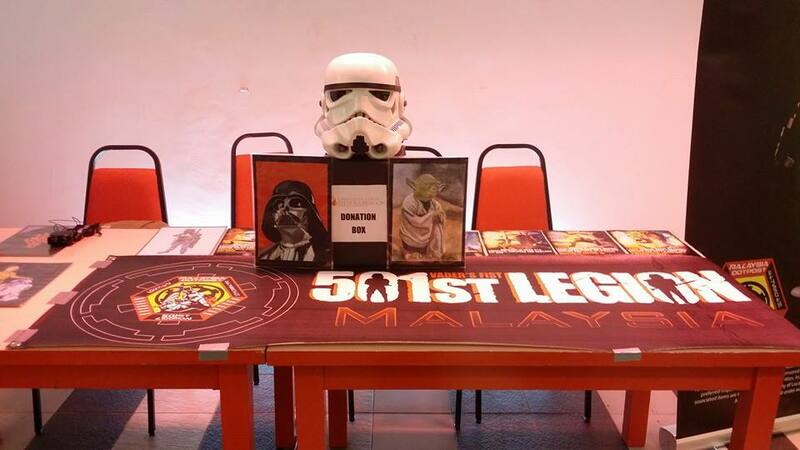 They specialise in Social Media inspired merchandise and have also created Malaysia's First T-Shirt Vending Machines. 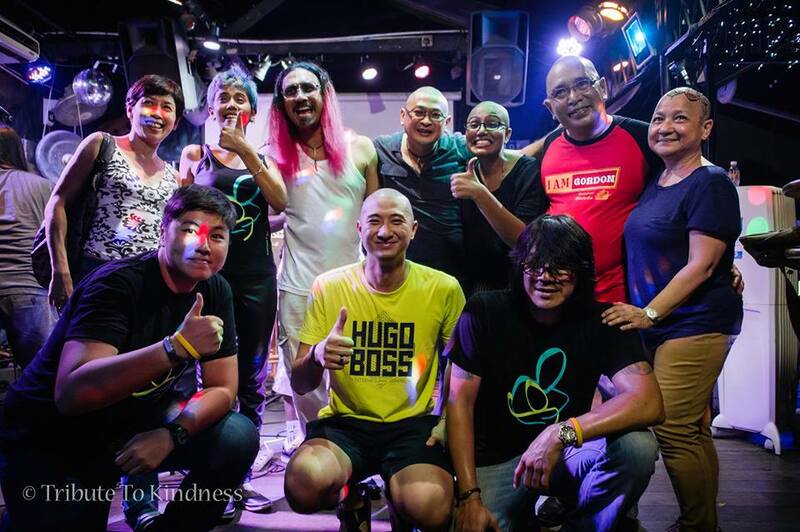 With the most current issue being bullying, the good people at the SocialNetworkMerchandise.com launched the Malaysian's Against Bullying Campaign. By doing this, they hope to be the VOICE OF CONSCIOUSNESS through their merchandise. According to them... "Bullies have never had a ‘visual’ to see and know that these acts are not socially accepted and is in fact, criminal". So with people wearing the ANTI BULLYING T-Shirt designs, there will be a community of visuals to get the message across. This afternoon MAG speaks to Deborah De Silva, the Business Manager of the SocialNetworkMerchandise.com to find out more about their Anti Bullying T-shirts. Mondays we talk about Food! 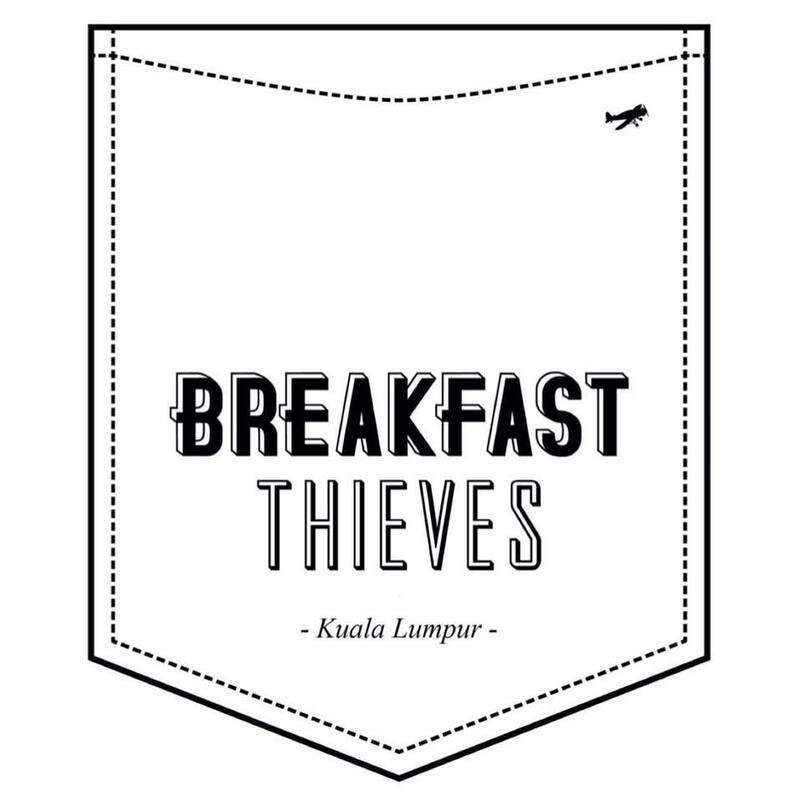 And on Monday we speak to Brandon Chin, co-owner and head chef of the Breakfast Thieves...Breakfast Thieves Kuala Lumpur is the twin sister of the original Breakfast Thieves neighbourhood cafe - which is housed in the remains of an old chocolate factory in Fitzroy Melbourne, Australia. Often listed as one of the top 5 cafes in Melbourne, Breakfast Thieves has made a name for itself since being founded in 2012.Now, Breakfast Thieves is flying home! Co-Founders, Brandon Chin, Kevin Foo and Edwin Koh are Malaysians through and through, therefore it only made sense to open another branch in the bustling capital that is Kuala Lumpur. Staying true to the origins of the industrial-chic themed BT Melbourne, BT KL is located in the heart of Bangsar amidst a 63-year old commercial printing factory.Patrons can expect to be whisked away by modern Australian cuisine with a touch of Asian influence. The open space provides a nice relaxing environment for everyone, where friends chat over brunch, business lunches are conducted, families gather and coffee enthusiast get their daily fix.Join MAG and Brandon on Monday to discover more about the Breakfast Thieves. Nafas is a collaboration that began by chance on the island of Langkawi, Malaysia in 2013. Both Tommee Balukea and the ‘Madu’ siblings Aminah, Salim were playing at the Kita Kitar festival, Pantai Cenang. 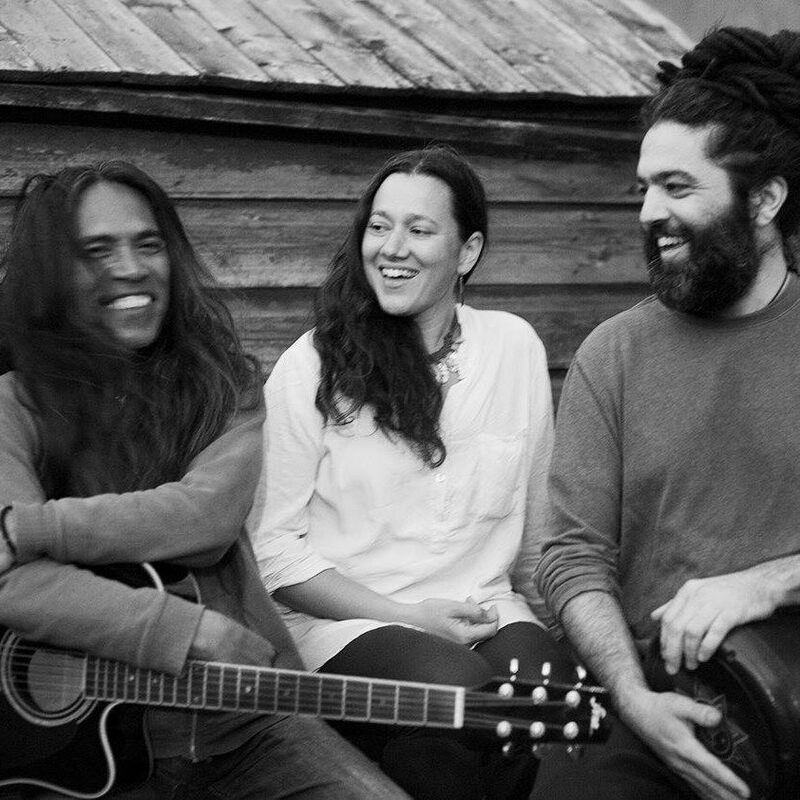 Each year since there have been reunions into sound and musical conversations, leading to the creation of new pieces of music produced and created by this trio. Tommee Balukea is a world-class instrumentalist, an adept world-music artist. 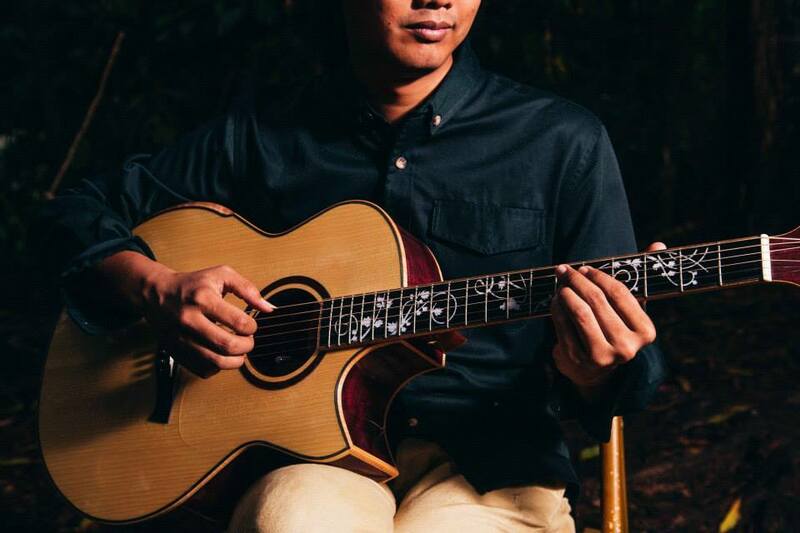 Playing guitar, kecapi and a powerful vocalist, is a prolific composer with 7 original albums and several tours in both the Southern and Northern hemisphere’s. From his origins in Simbawa island and many years living in Australia have given his music a unique sound, very much influenced by island life. Aminah Dastan as a vocalist and song-writer is influenced by her Asian and European roots, with a slant on urban culture. Salim Dastan is both a skilled producer and artist. With a schooled background in sonic-arts he composes his productions from a keen relationship with Dub and Reggae music, inspired by jazz arrangements. Together, the formed Madu. As a collective group, they formed Nafas. The sound that this trio presents is a diverse mix of influence, each bringing their own musical experience, expressing a bass-culture, world-jazz sound that is a pleasure to the ear and for audiences not to miss. So tune in to AFO LIVE with MAG on Friday, 12noon to find out more about Nafas! 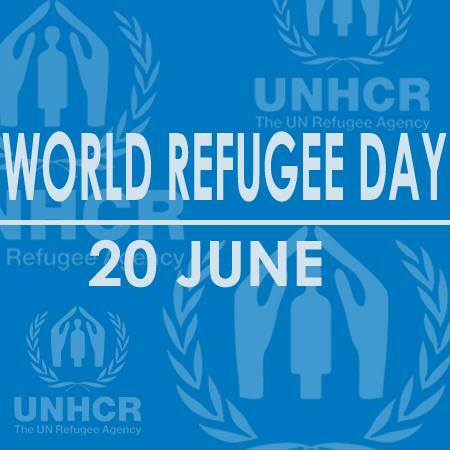 WORLD REFUGEE DAY is celebrated worldwide on 20th June to recognise the courage of refugees in rebuilding their lives despite the horrors they have faced, and to create awareness and garner public support for creating a humanitarian space for refugees. This year, World Refugee Day will be commemorated in Malaysia through a unique event to connect corporate and private sector support directly to refugee projects. This is the first time that such an event has been held.On Wednesday MAG speaks to Yante Ismail from UNCHR to speak about the Refugees in Malaysia. 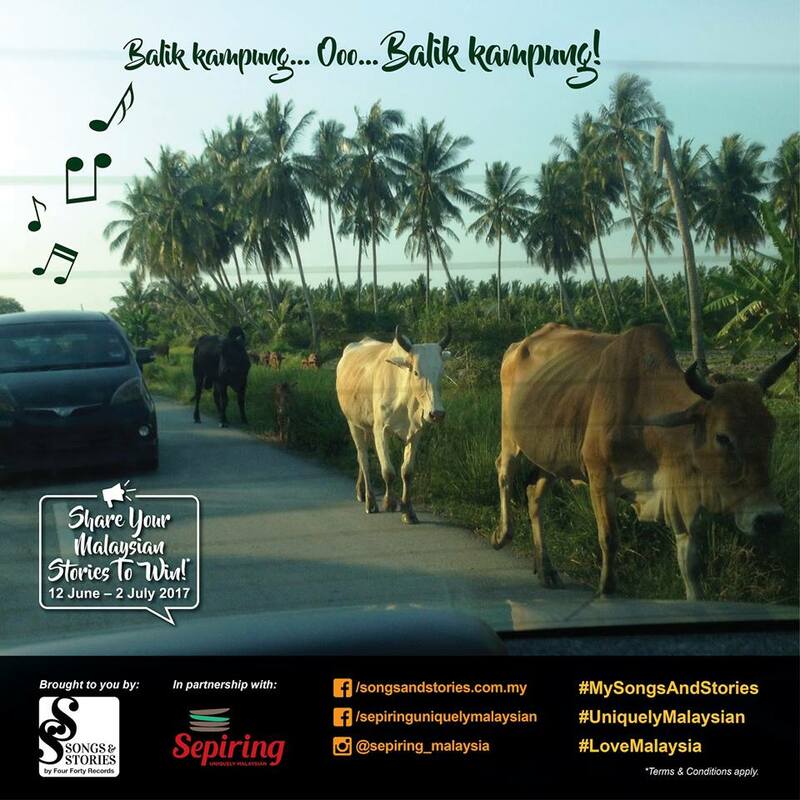 Songs & Stories' Balik Kampung ContestAlready known to be one of the most active societies in social media, Malaysians will be flooding timelines with photos of mouth-watering delicacies and rustic destinations. Thus, the duo who initiated Songs & Stories – Juwita Suwito and Gina Yap Lai Yoong, are on a mission to make these postings more meaningful. They are encouraging Malaysians to pause, dig in a little deeper and accompany their photos with fond memories and favourite hometown stories.According to storyteller and writer Gina Yap Lai Yoong, “The big idea is to get people to share their stories via photos or videos on Instagram and Facebook. It is something that most Malaysians are already doing on a daily basis – sharing bits and pieces of their daily life online. 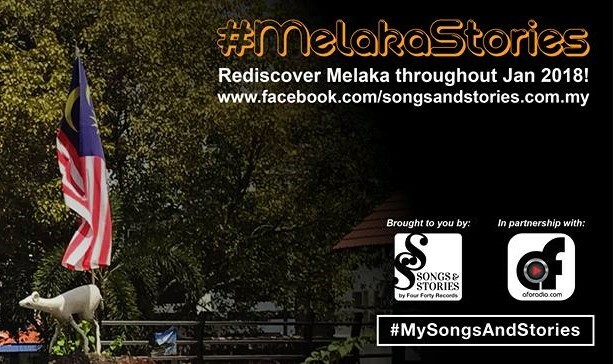 But through this campaign, we would like to encourage them to share something positive, something they love about their hometown, something uniquely Malaysian.” Knowing full well that Malaysians always look forward to a good meal, Songs & Stories decided to collaborate with Sepiring, to provide that extra bit of encouragement. On Friday, join MAG as she speak to these 2 amazing women on collecting Malaysian stories, this Balik Kampung season. Selamat Hari Raya from the team at AFO LIVE with MAG... This week, MAG speaks to 3 amazing personalities who celebrate the season, and get up close and personal about their Hari Raya celebrations. On Monday, the beautiful ladies of De Fam, Manggis and Fya chats with MAG about their hometown Perak and how they celebrate Raya.... On Tuesday, Zamil Idris shares his stories of his dad and his family during Raya... And finally, new and upcoming, singer and beatboxer Raja Syahiran drops by for a chat with MAG on the 4th day of Raya So don't forget, join MAG as she finds out more about the other side of these personalities as they head back home for Hari Raya. The timeless traditions of the Flamenco art are the very foundations of Origen, the new Flamenco show by Alberto Marin. The pure elements of a concert of Flamenco music are combined here with a dance structure on stage, creating an audacious and innovative atmosphere, full of sentiment. Origen takes the public into a trip, a journey in life, the life of the artist, which is, at the same time, the living history of Flamenco. Deep roots that feed from the vast heritage of the Spanish Culture, and will transport you to the colourful nights of Andalusia.The old and dry sound of the Flamenco guitar is united in stage to the tradition of the cajon, a perfect complement for its percussive and bright voice. From the stunning Flamenco cry of the singers, to the fineness of the flute, in Origen the music does not only sound, the music speaks, it lives. And this life explodes thanks to the massive impact on the scene of the dancers, culminating with strenght, passion, and sweat. Eight spanish artists will be will be performing in Kuala Lumpur on their ASEAN tour, providing Malaysia with the rare opportunity to experience the true flavour of the Flamenco “Tablao”, directly from the born place of this fine art. We bring Spain to you, and it is an honour and a pleasure to do so and to be allowed to present this pure form of art to the public in a country as rich and diverse as Malaysia.On Friday, MAG lets you feel the magic of Flamencoas she speak to the great people behind Origen. Pure Flamenco, pure passion! The 100PLUS ACTIVE ALL MALAYSIA Badminton Team Championship was established as an avenue for social badminton players to gather, share knowledge & skills, build friendships, compete against each other and to attain the highest possible glory in its category.This year, the 100PLUS ACTIVE ALL MALAYSIA 2017 Badminton Team Championship returns bigger and better! With 3 circuits which includes Melaka and Penang, as well as central KL, this year..the competition will also allow you to have a professional player on your team! So much excitement is in store for the tournament this year and it is definitely one not to be missed!With Circuit #1 kicking off at Berapit Badminton Hall, Bukit Mertajam, Penang on the 1st and 2nd July 2017, MAG speaks to former World No 1. Professional badminton player and co-founder of Pioneer Sports, Wong Choong Hann as the disclose more details on the 100PLUS ACTIVE ALL MALAYSIA 2017 Badminton Team Championship. It is not everyday that we hear about the triumphs and achievements of our very young local talents especially when that talent is being showcased at an international platform.On 26th April 2017 Malaysians were fortunate enough to hear about Xtreme, Team Malaysia who represented the nation at the 2017 International Cheer Union - Junior World Cheer Championship at The Walt Disney World All-Star Sports Resort, Florida USA. The championship which ran from the 26th April to the 28th April 2017 saw approximately 70 participating countries, including host country USA, Canada, Mexico, European countries such as Germany, France, Ukraine and Asian countries such as Taiwan, Thailand and Philippines. The estimated crowd numbers were at least 100,000 excluding officials, tourists, local and travelling fans.It was indeed a very proud moment for all Malaysians as this was the first time the International Cheer World Championship had organised a world cheer competition for a junior category (age 12-16) and our extremely excited junior team were able to compete at an international level. 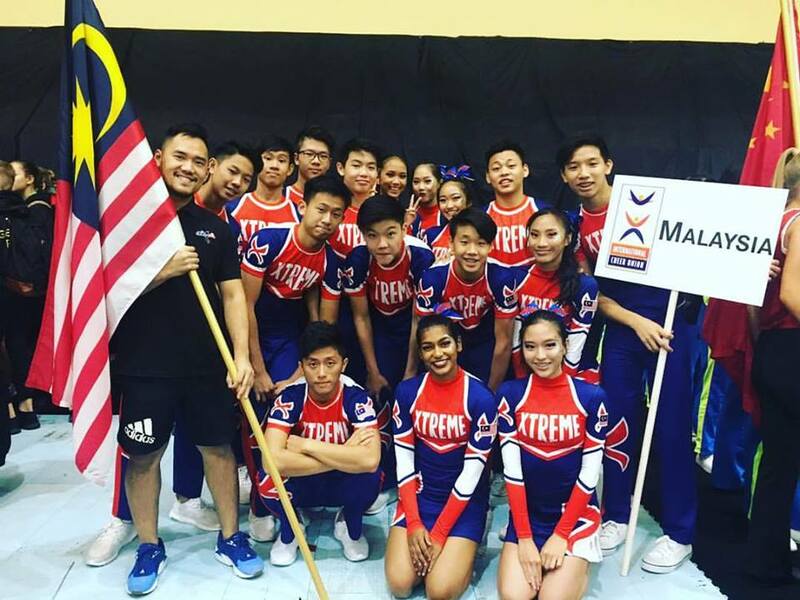 Xtreme Team Malaysia is a cheer team consisting of 16 young and talented Malaysian high school students aged between 14 to 16. These students come from various schools namely Sekolah Menengah Kebangsaan Kepong, Sri KL International School and Sri KDU International School. A whole year of vigorous training coupled with consistency, perseverance and unrelenting efforts, these amazing individuals came in 3rd in their category, bringing home the bronze medal. This afternoon MAG speaks to Lim Chin Hao, the Head Coach of Xtreme Team and finds out how he feels about his outstanding cheerstudents. Misconceptions of Aesthetic TreatmentsAlthough aesthetic medicine is becoming more mainstream in Malaysia, there are still several misconceptions surrounding these procedures. The top three misconceptions or myths of aesthetic treatments are:Myth #1: Aesthetic treatments will make you look “fake” and “done”To the uninitiated, aesthetic treatments are often associated with over-filled bee-stung pouts or frozen foreheads and faces. 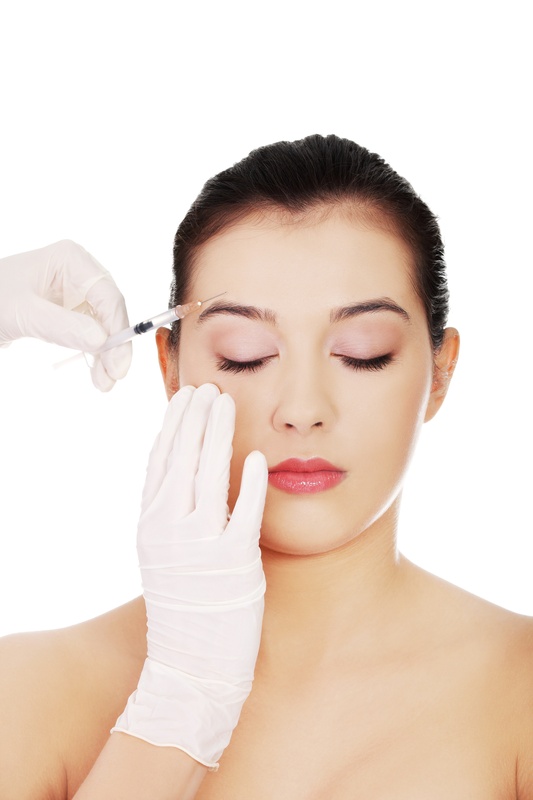 In reality, aesthetic treatments and technologies have improved by leaps and bounds over the years. These days, minimally-invasive treatments are used to correct a host of problems in a subtle and refined manner, achieving a look that is not too “done”, without having to go under the knife.Myth #2: Aesthetic treatments are unsafeAesthetic treatments are manufactured using the highest safety standards and have to be approved by national medical authorities before being made available to the public. Because these treatments require a good understanding of facial tissues and muscles, only licensed medical doctors who are trained in facial anatomy are allowed to practice aesthetic medicine. If you have ever seen or heard of horror stories of botched aesthetic treatments, it is highly likely that these were performed by unlicensed beauticians or using counterfeit products.Myth #3: Aesthetic treatments are only for women or metrosexual menMore and more men of all ages are seeking aesthetic treatments for various reasons, such as to gain an edge in their careers, to slow down signs of ageing, to look refreshed or simply to present their best faces to the world as they embark on a new phase in their lives. From removing facial scars and acne, to diminishing crow’s feet and frown lines, aesthetic treatments can also give patients a much-needed boost of confidence.On Tuesday, Dr Hew Yin Keat, the Medical Director of M.A.C. 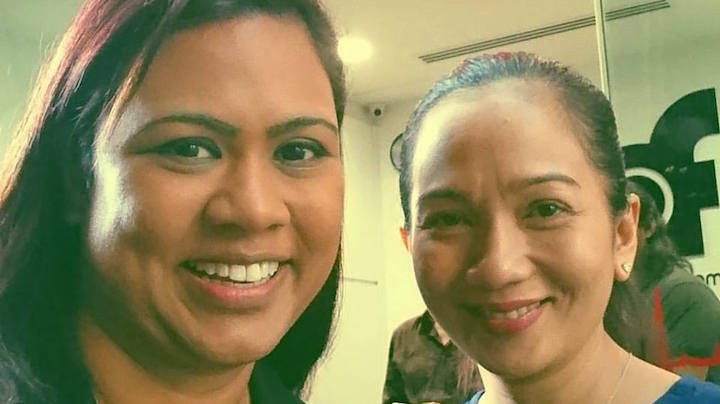 Clinic and Founding Member of Malaysian Society of Aesthetic Medicine (MSAM) speaks to MAG on some of the above issues and more, surrounding the practice of aesthetic medicine in Malaysia. 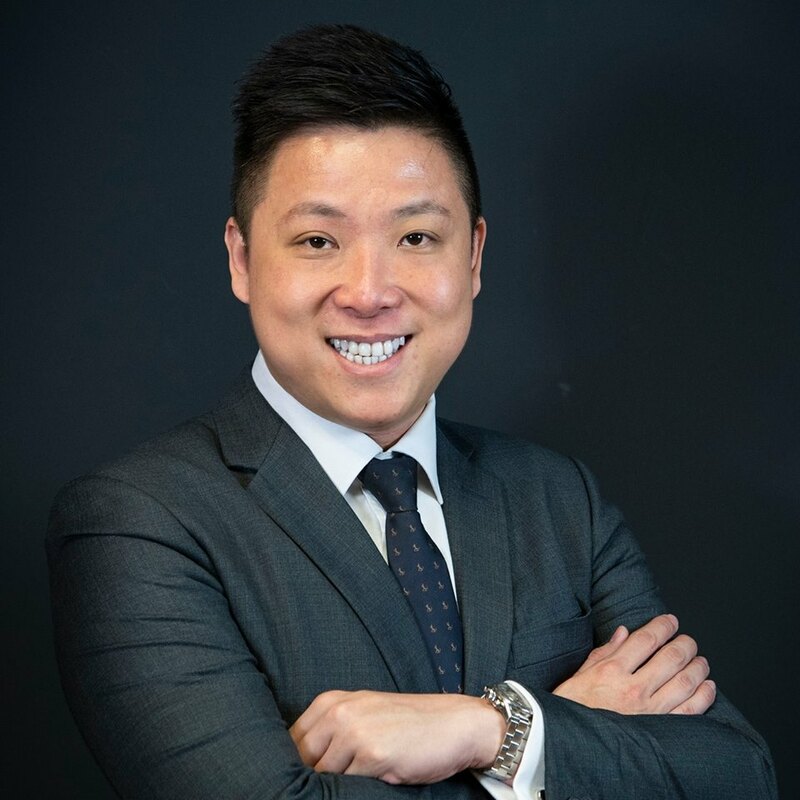 Recognised as among a handful of pioneering doctors in aesthetic medicine in Malaysia, Dr Hew seeks to promote the safety and advancement of the field through his work. 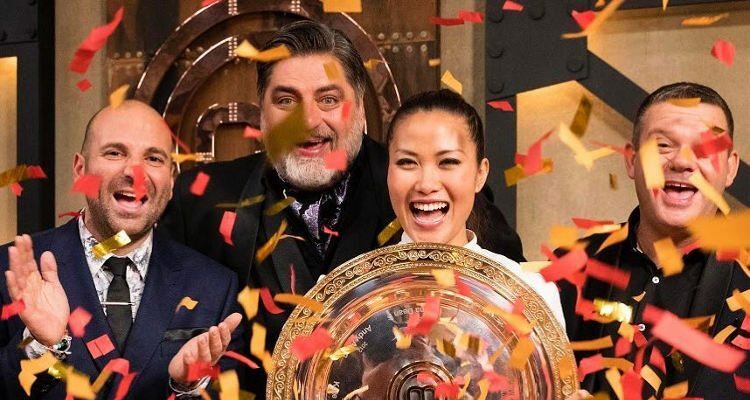 Returning for its ninth exceptional season in 2017, MasterChef Australia Season 9 is set to make things bigger, brighter and bolder than ever before, combining more big name international guests with bright new talent and exciting challenges to create a truly remarkable series. 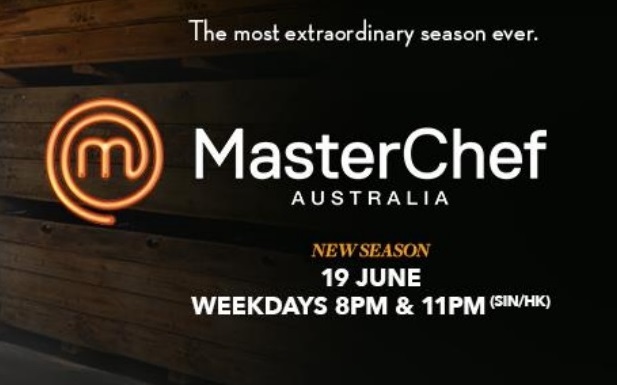 After scouring the country for the best amateur cooks, the confident and the humble will cook side by side, putting themselves in the spotlight during a rigorous judges’ audition process that sees only the most deserving and talented cooks prevail.Gary Mehigan, Matt Presto and George Calombaris are back to share their own unique talents and insights with the newest bunch of contestants. Encouraging and challenging, they will push the contestants to cook smarter, extend their creativity and overcome obstacles in ways they never dreamt possible.On Monday, MAG speaks to Sarah Tiong, a risk consultant. Inspired by chefs and cooks including Ben Shewry, Brent Savage, Clayton Wells, Shannon Bennet and Sam Miller, there is no question that this fiercely competitive cook will put her nose to the grindstone to get the most from this once-in-a-lifetime opportunity. Born and raised in Sydney, Sarah has always been involved in the kitchen and her mother would routinely teach her the recipes and techniques from her own childhood in Malaysia. She remembers fondly her cooking an array of cuisines growing up and recalls the unique aroma of fermented beans, wine and ginger as a marinated pork belly was prepared for family dinners. Cooking for friends and family since she was 15, Sarah began taking her passion seriously and developing her own recipes from when she was 17.Join MAG and Sarah on AFO LIVE at 12noon, Monday, the 19th June. Singer songwriter NADHIRA is back! After taking a break from the scene for a lil while, this petite star is now working on releasing an EP towards the end of the year.On Friday, Nadhira drops by the studio to speak about her newly released track, Feel That. Taken from her first album titled “From Malaysia With love” released in 2010, it was in 2013 that they finished recording the video for the song and finally ready to be released in 2017. "This song is pretty much a blast from the past but I really do like this track. It was one of my favourite ones from the album." Nadhira said. So join MAG as speaks to Nadhira on Friday to find out more about what's been happening in this R&B singer's life. The beautiful Sabahan songbird and body positive icon, Rozella Marie speaks to MAG today on her new single, You, produced by Darren Ashley.MAG finds out what inspired the song as well as dig a lil more about her song the Dark Side as well. Listen in LIVE from 12noon today. Born in the United States, Sasha Nichole, is a mix of both American and Malaysian ethnicity and has both traveled and lived in Orlando Florida, Kuala Lumpur Malaysia and is now currently residing in Melbourne, Australia.This young lady is an all rounder who proves to be more than just a triple threat. A social media influencer, Sasha who models in Melbourne is leaving no stone unturned as she diversifies her talents into travel/food blogs, being a dancer and now an R&B singer.Sasha, who had just released her first debut single "Selama Lamanya" a collaboration with Altimet drops by to speak to MAG on AFO LIVE, on Friday! 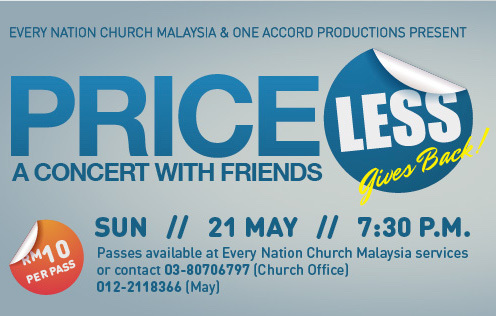 Price Less is an original pop musical about friendship. It revolves around the lives of people that work and shop in a neighbourhood supermarket.After 2 straight weekends of sold out sessions, the organisers have decided to take the musical to another level - a concert! With the concert, one should get ready for an evening full of music, dance and friends! All your favourite songs from the musical performed by One Accord featuring Kweeny Libutan. To top it all off, musical guests Relent and Sulyn Ooi will bring the house down with their hits!On Wednesday, MAG speaks to Kelvin Lim the musical director of the concert, all on AFO LIVE. 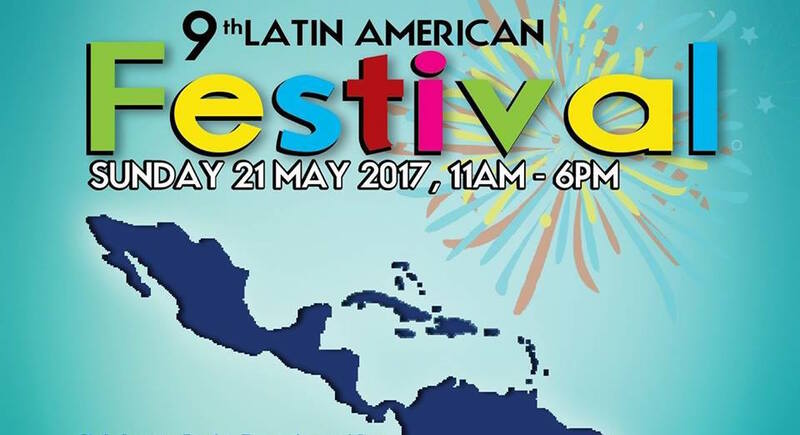 The celebration of Latin American culture, cuisine, dance and music is set to takeover Kuala Lumpur again with the annual Latin American Festival.The 9th Latin American Festival will be held on 21 May 2017 in BB Park. With the support from Dewan Bandaraya Kuala Lumpur (DBKL), this cultural festival is jointly organized by the embassies of Argentina, Brazil, Colombia, Cuba, Ecuador, Mexico, Peru, Uruguay and Venezuela, together with the Low Yat Group to celebrate the multi-ethnic and cultural diversity of Latin American and Caribbean region.The Festival is a great opportunity for Malaysians and the expat community living in Malaysia as well to witness the lively festival and experience firsthand the rich, diversified, and passionate culture of Latin America and the Caribbean.During the festival, the visitors will have the opportunity to see, taste, and enjoy the various aspects of the region’s culture. ¨This year the topic of the festival will be ¨Rhythms of Latin America¨ , and on Friday, MAG speaks to the Ambassador of Mexico and Ambassador of Argentina to Malaysia to find out more about the 9th Latin American Festival! 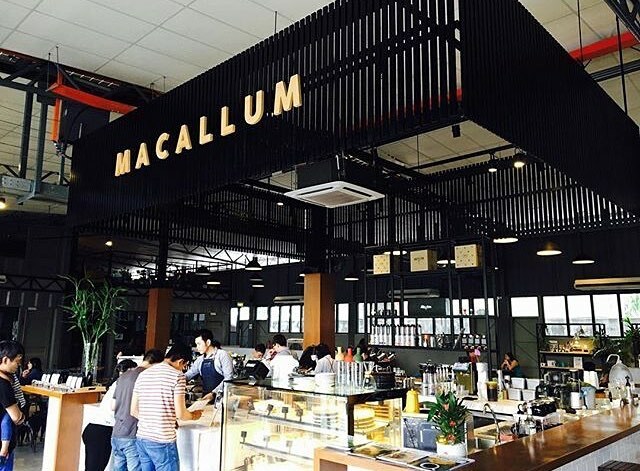 Macallum Connoisseurs Coffee Company is a coffee business founded by coffee enthusiasts, combining the twist of modern sense into the local culture, the venue is a roastery, cafe, restaurant and academy - all under one roof.The cafe space of about 8,000 square feet is big enough to accommodate events and special occasions, such as art exhibition, team building, or even wedding dinner, yes we have done that.Located at the heart of Georgetown City, Macallum Connoisseurs is placed at the Gat Lebuh Macallum, or famously known as the "Goh Tiao Loh" locally. What used to be a factory is now a warehouse café (the first of its kind in Penang), which is also a roastery (they roast their own blend of coffee beans!) and a coffee academy for baristas. The café serves a variety of Western-style brunch and mains, with their signature Smoked Duck Breast a must-try and their amazing Aglio Olio! DVA drops by to the studio on Friday to speak to MAG! Both who spent their time in college together, worked in the same radio station together and now turn singers, these 2 are the yin to the yang of the other and are now going places with their music. Sher "bflat" and Juanita speaks to MAG about their debut single, Free The Music and share their stories on AFO LIVE with MAG on Friday! 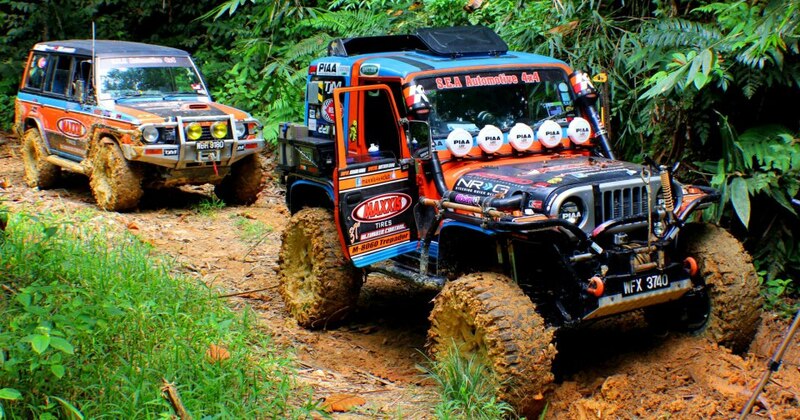 On Wednesday, MAG speaks to the guys from Team Maxxis 4x4 on AFO LIVE!These guys who aim to create a brand presence in the local 4x4 community, come from various parts of the country to express their love for the sport while harnessing the brand's name within the four wheeling community. Don't forget to tune in to AFO LIVE on Wednesday at 12noon. 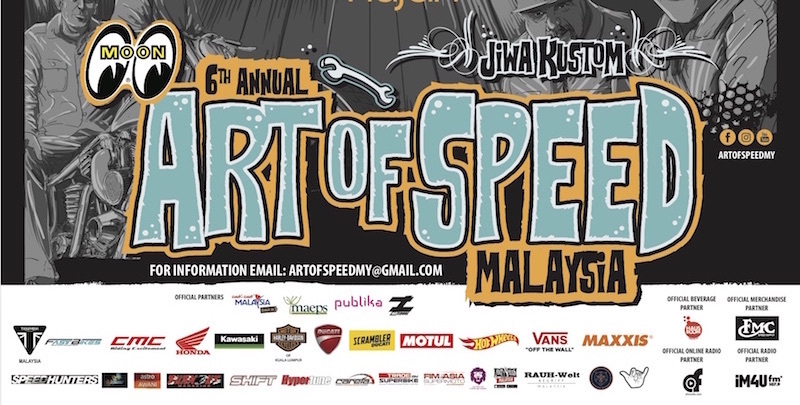 Malaysia's most Gempak Festival is here again... The Kuala Lumpur International Comedy Festival 2017! Considered to be Asia’s Best comedy festival, you can expect some of the biggest and best comedians from around the world take the stage to entertain audiences across three consecutive days from the 21st to the 23rd April. On Monday, MAG speaks to the World's Funniest Person, Harith Iskander, the organiser of the festival. On Tuesday, the hilarious Japanese-American Paul Ogata speaks about his show on AFO LIVE.And finally on Wednesday, MAG speaks to Fakka Fuzz, from across the border, down south in Singapore.Find out all the details you need for the KL International Comedy Festival from AFO LIVE with MAG all this week. Skies Are Red, formed in 2011, is a rock band that is serious about sending out a message via the universal medium of music.As music unites and heals, so do they intend to fill the atmosphere with their sound. Consisting of 5 members, namely - Danielle Williams on Vocals, Dervin Frank on Guitar, Malcolm Ambrose on Drums & Percussion, Fabien Thomas on Bass and Tinesh, the band manager, these amazing musicians are all ready to take on the scene with their brand of music and unique perspective on life through music. On Friday, MAG speaks to Dervin Frank about the bands brand new single LightBearer. Battle Bloom is an acoustic band hailing from Kuala Lumpur, Malaysia. The band members are Fariz Salleh (Guitar), Melissa Toh (Vocals), and Dianne Lim (Vocals/Keys).The band's mellow music is best recognised by its fresh summery vocals accompanied by unique metal-inspired riffs which poetically texture their song arrangements.Since their inception, Battle Bloom (previously known as Saturday Afternoon) has played at various shows around Kuala Lumpur such as Moonshine, Discovery Thursday at Laundry Bar and Feedback at The Bee.The band's mellow music is best recognised by its fresh summery vocals accompanied by unique metal-inspired riffs which poetically texture their song arrangements.Since their inception, Battle Bloom (previously known as Saturday Afternoon) has played at various shows around Kuala Lumpur such as Moonshine, Discovery Thursday at Laundry Bar and Feedback at The Bee.On Friday, MAG speaks to Battle Bloom about the launch of their debut album 'Maps and Diagrams' which will be celebrated with a special album release show on 12 April at Playspace LIVE. 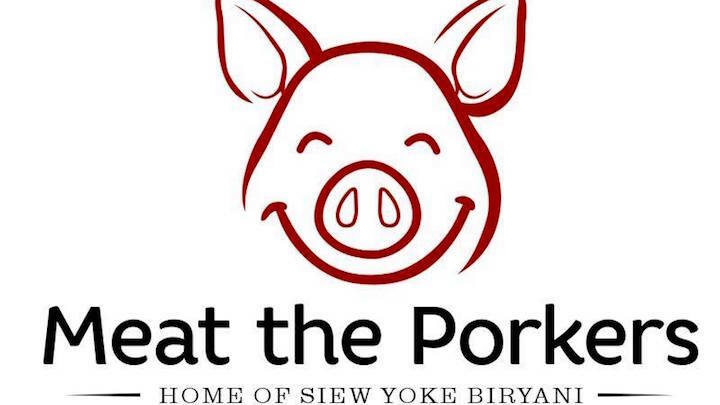 Meat The Porkers, the first non-halal Porky Indian restaurant in Asia!Combining ancient and delicious Mughal cuisine with everyone's favourite "other" white meat... Pork!They specialize in Siew Yoke Biryani, Tandoori Pork Ribs and Bacon & Cheese Naan!Sounds delicious???? Well, MAG speaks about it on Monday on AFO LIVE!! 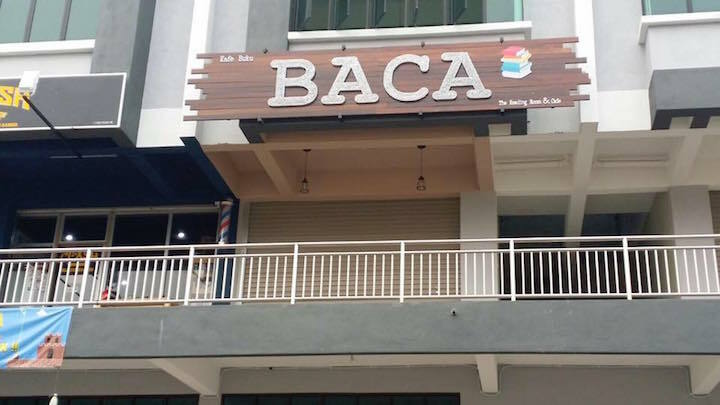 BACA means READ in Bahasa Malaysia...and on Tuesday, MAG speaks to Surina, founder of BACA, The Reading Room and finds out more about this independent bookstore which strives to promote reading in our local communities. BACA hopes to bring back the reading habit! 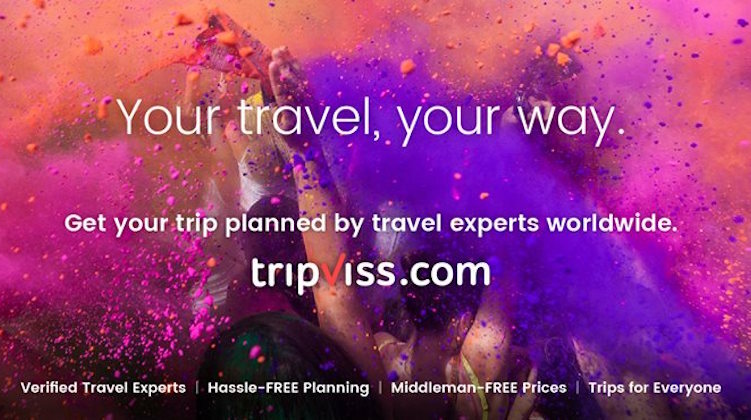 Launched in July 2016 and based in Malaysia, Tripviss is a global online travel platform and community where travelers can meet other travelers and craft personalized trips to/from anywhere around the world.Their partnership with over 200 tour operators from more than 30 countries ensures travelers are connected to the right local travel experts who know their destinations best.With Tripviss, travelers can sit back and relax while our travel experts plan your customized holidays - everything from your travel arrangements to your accommodation and itineraries.On Wednesday MAG speaks to Jacky Chan, the founder and CEO of TripViss and Rachel Bulen, the ambassador manager of TripViss. 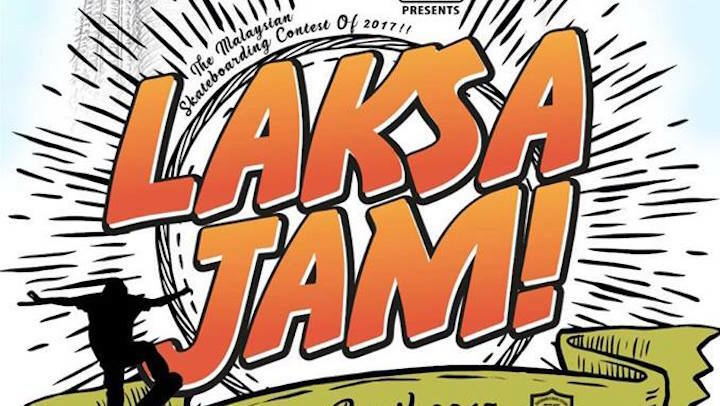 Since the next Olympics (at Tokyo 2020), will feature skateboarding as a competitive medal sport - The 1st LAKSA JAM by Laksamana Skateboards is a local Malaysian tournament with one mission: To find Malaysia's potential Olympic skateboard medalist starting first with sending Laksa Jam's 'Gold' medalist to Grandprix Beroun, a World Cup Skateboarding sanctioned event in Czech Republic.This event, in collaboration with the Ministry of Youth & Sports and Laksamana Skateboards, will be held at Mont Kiara Skate Park on the 1st of April.A jaw-dropping crowd-cheering demonstration from Street League's newest Pro Dave Bachinsky, 3 times X Games medalist and 2 times WCS overall rankings winner Tomas Vintr, plus one of the most iconic U.S Professional skateboarders out there, Sierra Fellers will showcase the best that skateboarding has to offer! Also in the Pro mix are Japan's Daisuke Nakaura, Koya Miyasaka and Malaysia's own MOhd Fikri Bin Zulkifly.If that isn't enough cause for excitement, double dare the person next to you to get a bird’s eye view from the zip-line across the roof of the skatepark to see which of you has the toughest nerves.While most will be at Laksa Jam for the excitement of extreme sports, some may also enjoy a stroll through our 'local street wear bazaar’ or perhaps snacks and refreshment from the wide variety of food trucks made available only meters away!Though we too are including the standard ambient music of every event, at Laksa Jam prepare yourself for performances from entertainment's rising stars in the local band and hip hop scene. Amazin’ Graze is an Asian purveyor of fun, yummy and healthy snacks. Their mission is straightforward, which is to change the way we snack.All of their products are freshly baked on a daily basis and are hand-made and then sealed quickly to ensure freshness.To ensure their snacks are healthy, they steer clear from reﬁned sugars and salt, and also adopt the no artificial preservatives, ﬂavouring or colouring approach across all product ranges. On Monday MAG speaks to Amy Zheng, the executive director of Amazin' Graze and finds out what makes their healty snacks different and yummy! 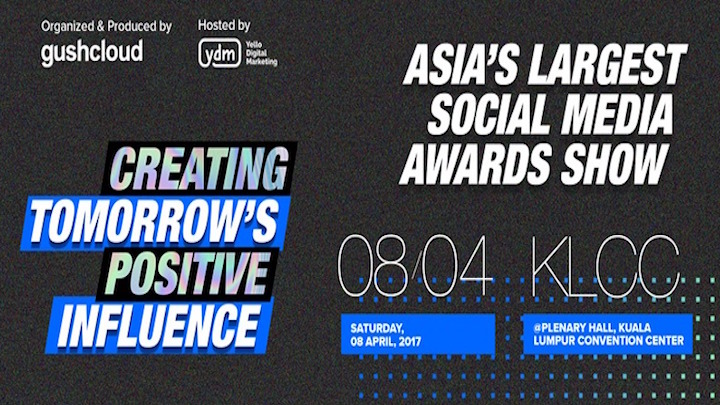 Influence Asia is a biennial awards show that brings together the region’s top social media influencers to honour their achievements.Produced by Gushcloud, a leading influencer marketing and media company headquartered in Singapore, and hosted by Yello Digital Marketing Group, South Korea’s leading and fastest-growing digital marketing company, the awards show aims to build respect and legitimacy in the industry.With 9 categories for 7 Asian countries, top influencers will all be gracing the awards.On Tuesday, MAG speaks to Siang Ng, the COO of Gushcloud Group & the Executive Co-Producer of Influence Asia 2017 and Amar Halim, a partner in the Gushcloud Group. 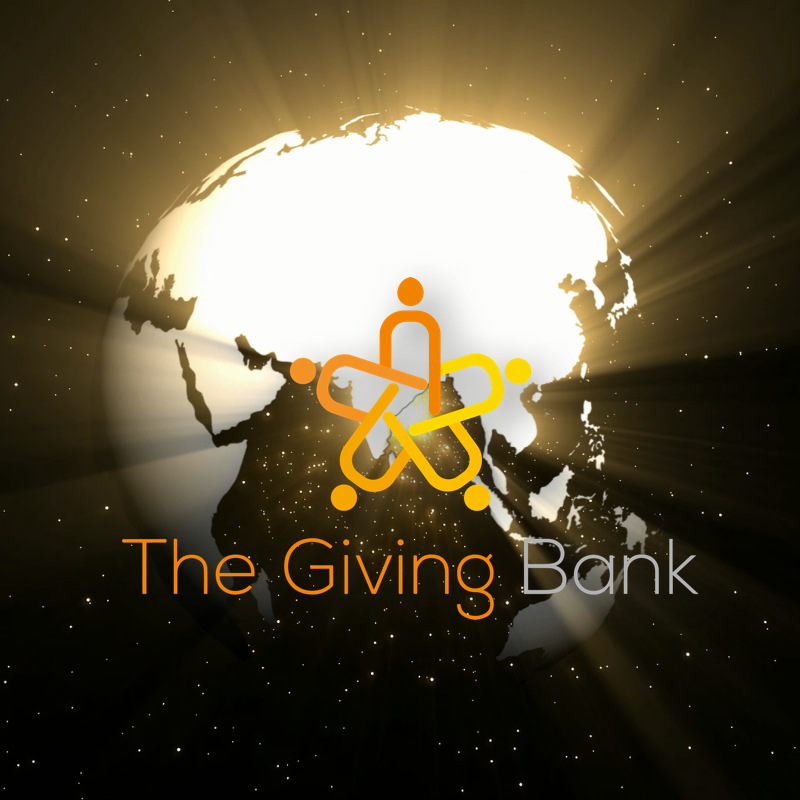 The Giving Bank is a registered NGO and also a Non Profit Organisation.They aim to serve and help the less fortunate and under privileged communities in the country. They serve all people of race, ethnicity, religion, and gender and they focus on 3 main segments which are education, health & culture. On the 30th, The Giving Bank will be officially launched and on Wednesday, MAG speaks to Dr Janson Ang, the Group CEO of The Janson Group and founder of The Giving Bank to find out more about The Giving Bank. 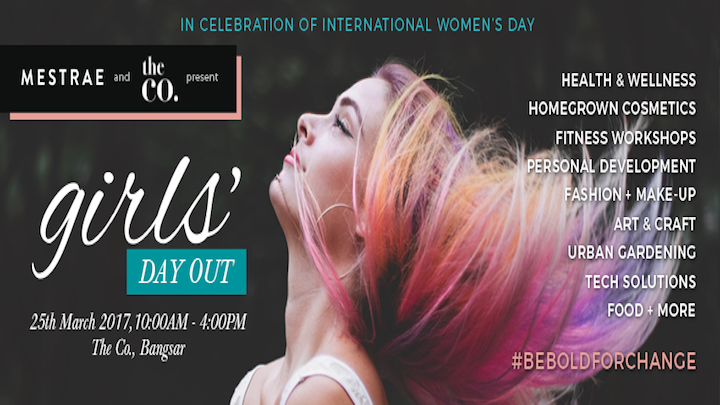 Mestrae and The Co. Kuala Lumpur along with 21 Women Founders of Malaysia are throwing a fun filled day of celebration themed "Girls' Day Out" this Saturday, 25th March 2017 from 10am to 4pm.In conjunction with International Women's Day on the 8th March, the Girls' Day Out will be a day where women let their hair down, let loose and just relax and have fun! Bring your friends to this fun filled carnival and enjoy the day with activities such as fitness workshops, personal development consultations, free makeovers, urban gardening, fashion sales , arts and craft for kids, cosmetics, food and more...all powered by 21 Women Founders of Malaysia! 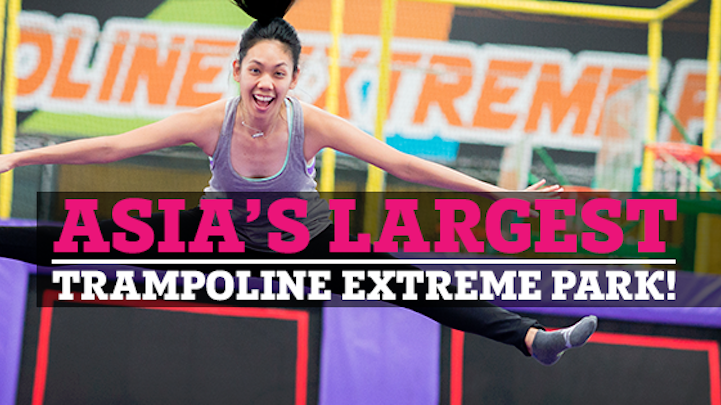 Asia's Largest Indoor Trampoline Extreme Park, EnerZ is now opened with over 80,000 square feet of space, and a wide range of activities.From trampolines, to gladiators, meltdowns and wall climbing, as well as children's gut builder and edutainment programmes.... EnerZ has something for everyone of all ages.EnerZ Extreme Park is not only a venue for a fun day out but is also perfect for birthdays, corporate entertainment, family days, product launches, and team-building events. Tune in on Tuesday, the 21st March as MAG speaks about EnerZ Indoor Extreme Park. Just like the age-old game, LAT TALI LAT, there is now a cafe that allows you to wind the years back to the good old days! 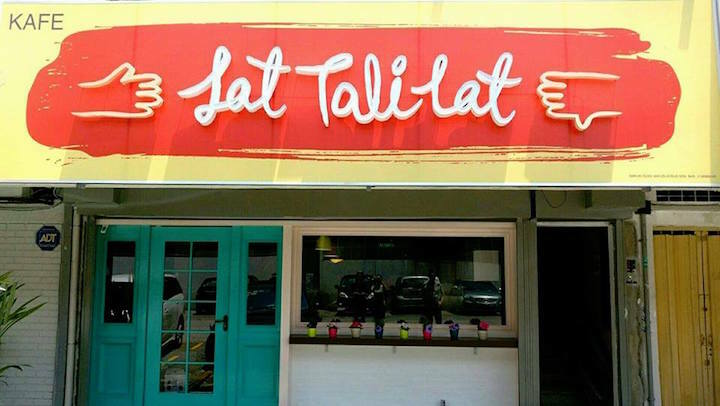 Introducing, the Lat Tali Lat Cafe. At the cafe you can play games, do a little dance and if the staff aren't too busy, they'd even watch a movie or two with you. A place to hang out, and chill while having a good wholesome meal, Lat Tali Lat is definitely a place to check out. So when you’re done with your thing – classes, meetings, bla and bla – head on to the cafe where they'll be there for you to let your hair down with while you cozy up to some of the comfiest food in PJ.MAG speaks to Joanne from Lat Tali Lat cafe on Monday and finds out some juicy details about this amazing hideout! You've seen it trending, you can now have it in person too!!! 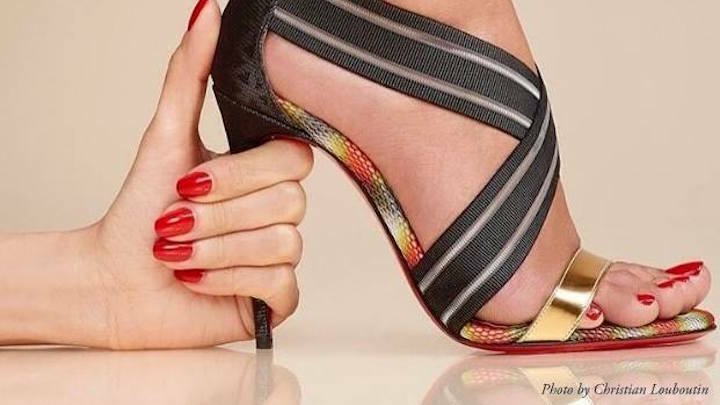 Ladies, now you can swap your heels by just removing it!Interchange between stilettos, block heels, 3.5 inch, 2.5 inch and flats versions with a slide of a button with Mestrae, Asia's 1st Interchangeable Heels. MAG speaks to CEO and founder of Mestrae on AFO LIVE on Wednesday. 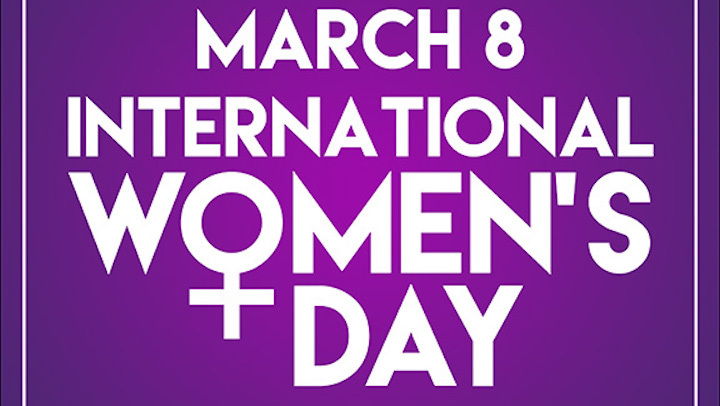 It's International Women's Day on the 8th March and this Wednesday MAG celebrates it with an outstanding woman, Cheryl Ann Fernando. City girl Cheryl Ann Fernando, was once a PR consultant and one day discovered that she loved teaching more than doing PR and so, in 2013, she joined Teach for Malaysia, a non-profit NGO that sources and trains volunteer teachers who will then be based at rural and/or underperforming schools under a two-year contract.Under Teach for Malaysia, she was trained for eight weeks with many different teaching strategies such as how to engage with the students, how to plan and how to make things interesting... and those became her tactics to deploy in her classroom.After her training, she was then sent to SMK Pinang Tunggal, Kedah. There she was challenged with illiteracy and poverty, but Cheryl persevered through it all, helping the children to form a choral speaking team which went on to become a top qualifier at a district-level choral speaking competition.Cheryl's story caught the attention of film director and producer, Eric Ong and Jason Chong and they made a movie of her journey and on Wednesday MAG speaks to Cheryl about her experiences and celebrates her as a female icon! Having started in Europe back in 2001, jump fitness arrived in Asia for the first time in 2014 in the land of K-pop. 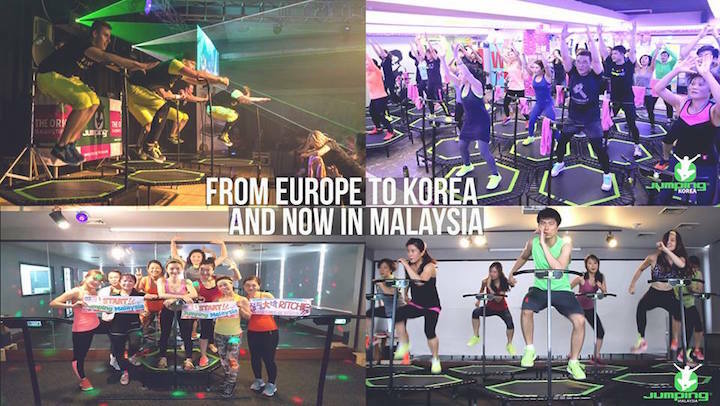 With over 150 branches and 400 certified Jumping instructors in Seoul and other regions in South Korea, it has garnered huge popularity for its uniqueness.As of 2016, Malaysia too have been hit with this revolutionary workout which uses a mixture of rave and K-pop music.About JumpingJumping® is a dynamic fitness training system, conducted on specially developed Jumping® PROFI trampolines.Jumping® was born of the idea of developing a training program, that would considerably strengthen body and mind while keeping fun in mind.The basis of Jumping® is a combination of fast and slow jumps, variations of traditional aerobic steps, dynamic sprints and ”power sports” elements. The complexity of the exercises guarantees that one’s whole body will be strengthened.Jumping® is three times more effective than jogging. This is due to the constant gravitational changes, which involve more than 400 muscles being tightened and relaxed at the same time. Far more than is the case with most other types of endurance sports. 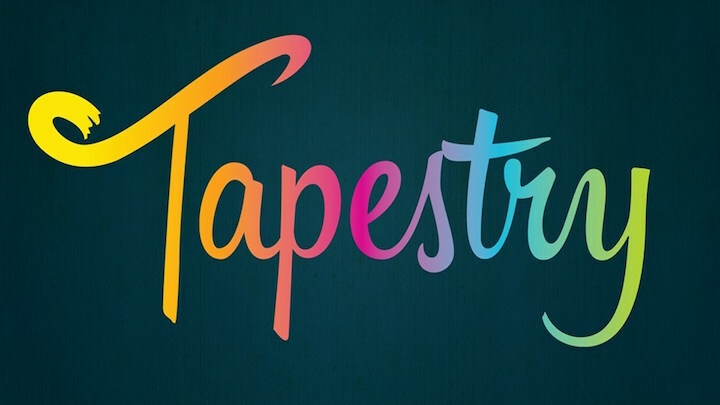 Tapestry is a group of friends, with a passion for music and singing!Tapestry is a meeting of different lives, different voices, different talents and different journeys, all woven into one and this year, this relationship turns 5. And MAG speaks to Charity Lee about their upcoming 5th anniversary performance, celebrating music, passion and friendship! 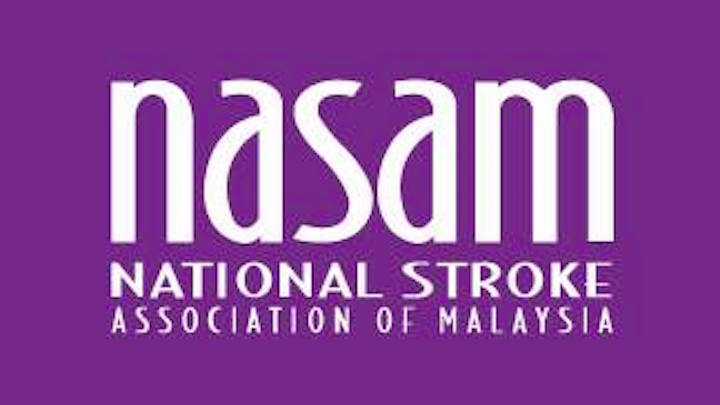 The Stroke Games is a first-of-its-kind sporting event to be held on 4th March 2017 in conjunction with NASAM’s 20th Anniversary celebration.The Games will empower stroke survivors to be courageous champions and super heroes. Activities include basketball shoots, table tennis, carrom, bowling, darts, obstacle walk, baton relay and many more which have been modified to be safe for stroke survivors. The event will showcase the remarkable possibilities of life despite the crippling effects of stroke.On Tuesday, MAG speaks to Qamer Iqbal Khan - NASAM's Rehab Training & Development Head about the inaugural NASAM Stroke Games. 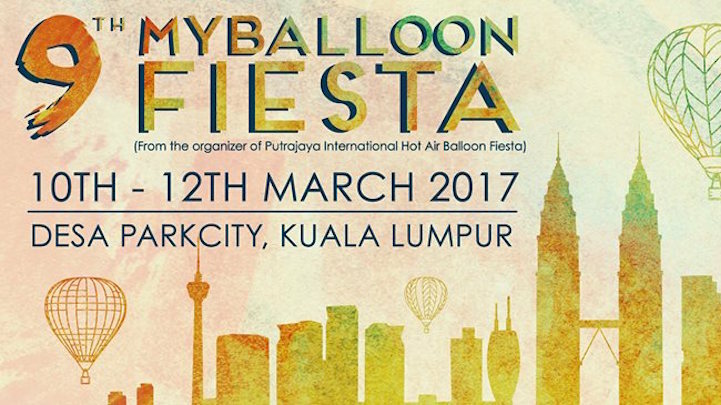 After eight consecutive years of hosting the event in Putrajaya, MyBalloonFiesta has finally found itself closer to the heart of Malaysia, Kuala Lumpur!Nestling itself in the scenic neighbourhood of Desa ParkCity, the 9th MyBalloonFiesta is back with its aptly themed “Balloon in the Park”. Eighteen balloons from eleven countries comprising of special shapes and colourful designs are expected to be in town this year, as the hot heat rises from 4pm - 10pm, March 10th - 12th 2017.The Fiesta is expected to see a diverse crowd of local and also foreign tourists attending this annual event.Morning sessions are dedicated exclusively for MyBalloonClub members with live jazz performance, gourmet buffet breakfast and complimentary balloon tethered ride. General Admission for the public will only be in the evening session where there will be a Hot Air Balloon Display and Night Glow Show from Friday - Sunday. 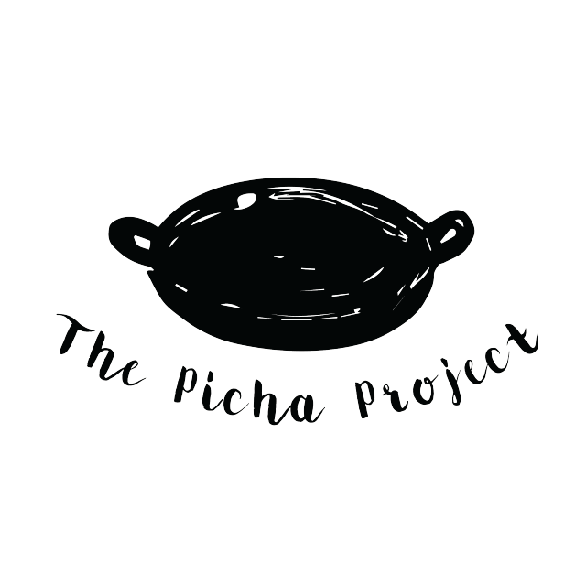 The Picha Project is a social enterprise that aims to empower marginalised groups in Malaysia to be more self-sustainable by providing them a platform to cater food to the public. They run a food delivery and catering business where all meals on our menu are prepared by refugee families to generate income for their family.Currently, there are 8 families from Syria, Palestine, Iraq, Myanmar and Afghanistan preparing their authentic traditional food from their home-country to cater to companies, universities, events, trainings, etc.Today MAG speaks to Kim Lim, one of the founding members of The Picha Project and finds out about this amazing initiative. 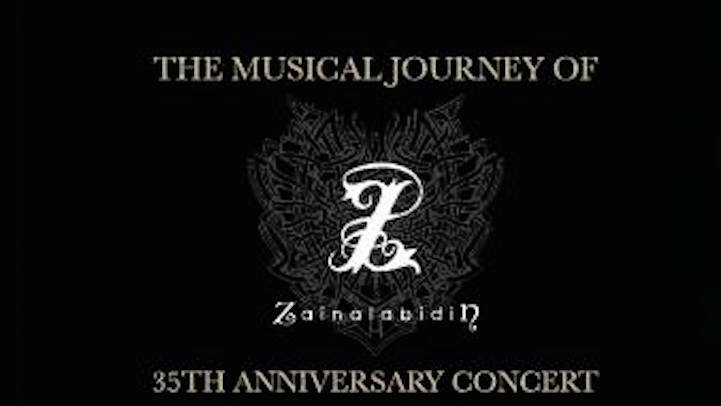 The Musical Journey of Zainal Abidin Concert is to celebrate Zainal’s involvement of over 3 decades in the music industry. The much awaited concert will be a showcase of Zainal’s musical journey which began as a musician at 15 years old, his breakthrough in the mainstream music industry with Headwind, followed by his solo career which has left a lasting footprint in the local music industry.The two and a half hour concert will be backed by some of the biggest names in the music industry such as Mac Chew, Jenny Chin, Andy Peterson, Aji, Steve Thornton among others. The show promises a combination of his soulful voice backed by top notch musicians.Musically directed by Zainal himself, the concert is Zainal’s way of celebrating the immense support he has received from his loyal and devoted fans in Malaysia. Aptly titled The Musical Journey of Zainal Abidin, each song has been carefully selected to express and spread his message of love and caring for mother nature to all his fans. Fans of Zainal will get to hear some of his classic tunes that are close to his heart such as Hijau, Orak Arek, Puteri, Bongkar, Kau Di Hatiku, Debu Liar, Damai and many more.The concert will also showcase the band that gave Zainal a breakthrough in the music industry, Headwind. Fans have been waiting for the reunion and watch Zainal perform with Headwind at a major concert. They are waiting to see Zainal Abidin, Zulkif, Nicky Ooi, Kudin, and Razak share the same stage and relive their golden days.The wait will finally come to an end with the concert set to take stage at Plenary Hall, Kuala Lumpur convention Centre on 25 February 2016.